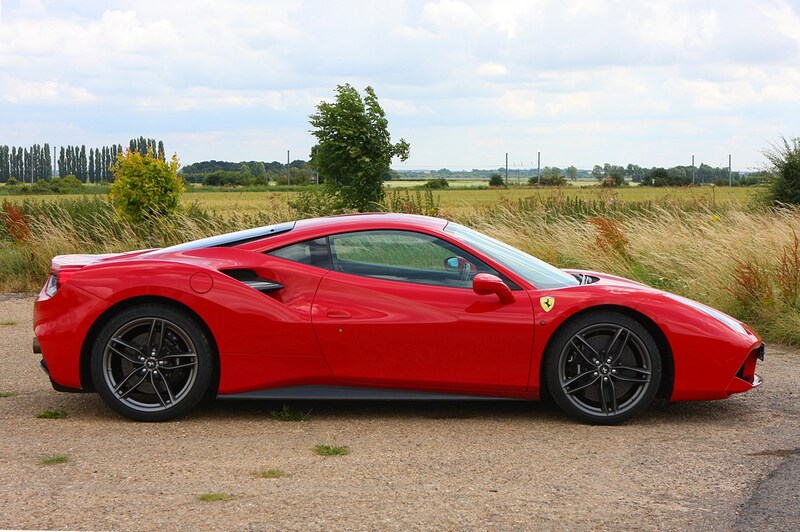 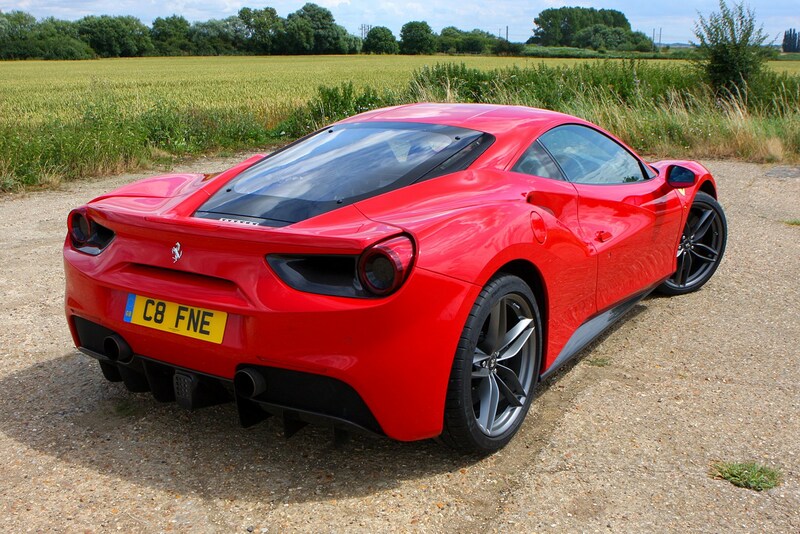 The burden of expectation can weigh heavily, especially as the Ferrari 488 has an illustriously rich V8-powered coupe lineage behind it, so let’s do away with agonising cliff-hangers: this is an exceptional mid-engined sports car and is superior to the 458 it replaces. 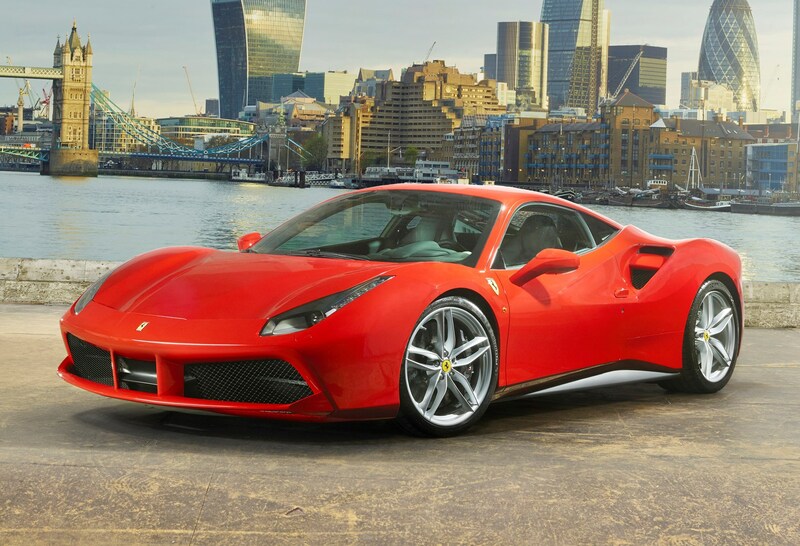 That’s not to say Ferrari has this 200mph sports coupe market segment sewn up neatly for itself – there’s the omnipresent Porsche 911 Turbo to consider, as well as its old adversary’s latest offering, the Lamborghini Huracan. 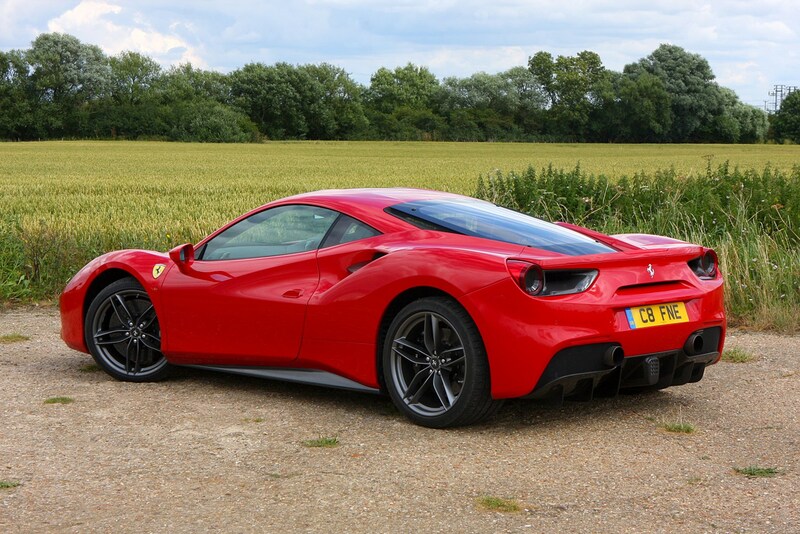 And it’d be churlish to overlook the increasing popularity of the McLaren 650S or the astonishing all-round ability of the second-generation Audi R8. 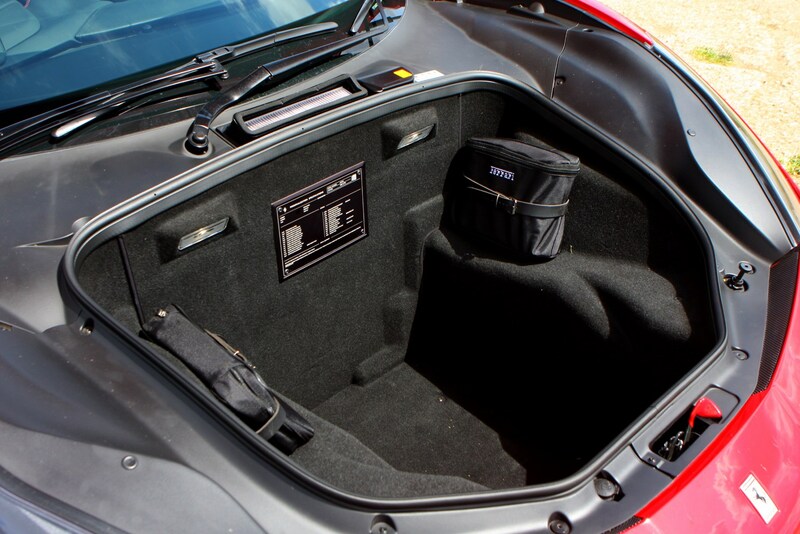 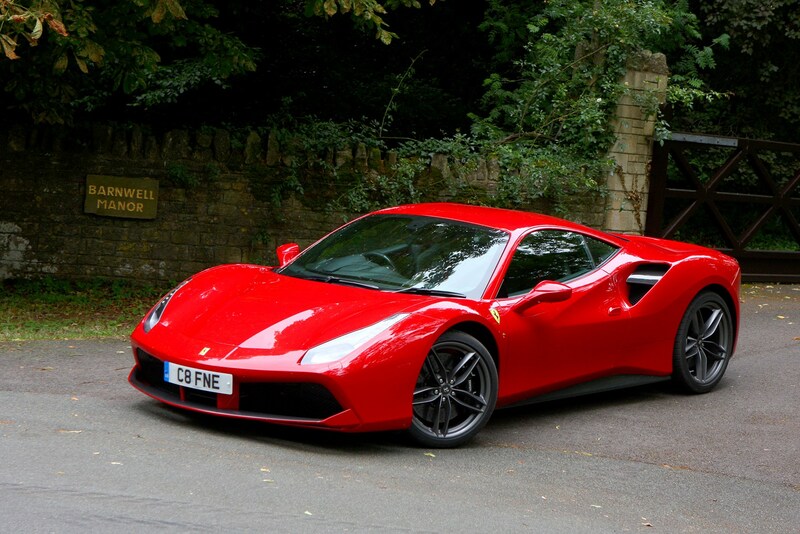 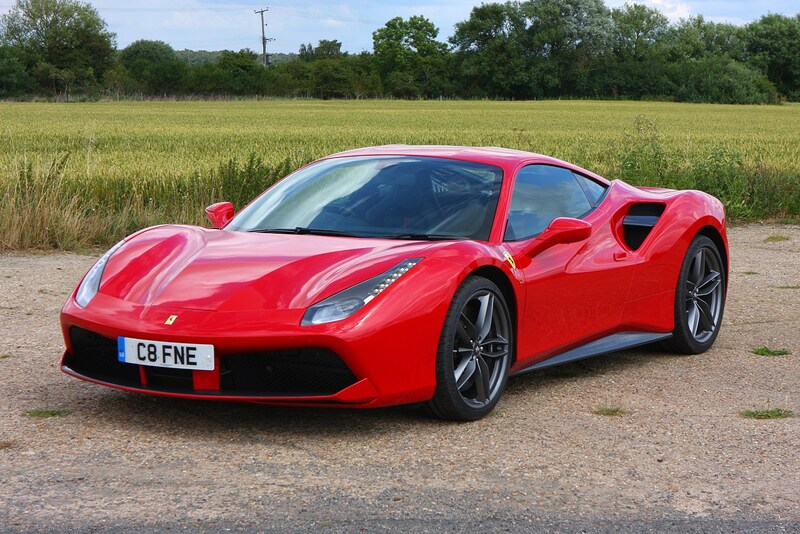 As per tradition, you can also order this car in convertible format as the Ferrari 488 Spider. 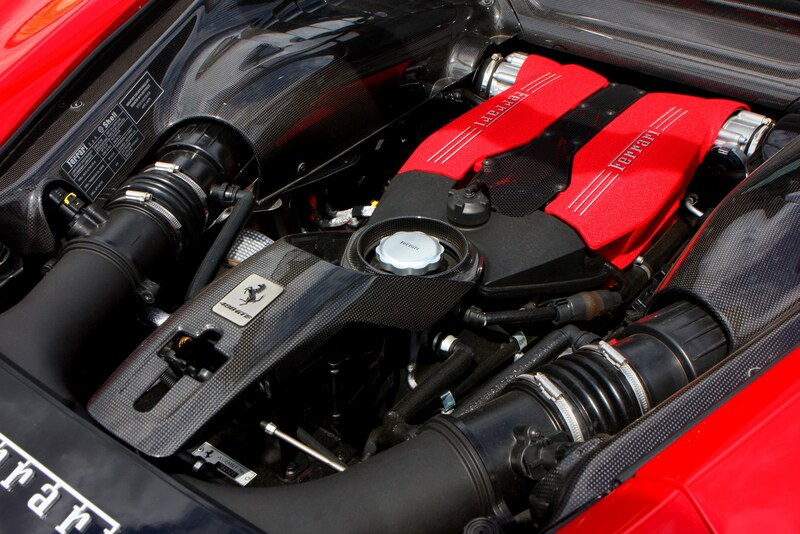 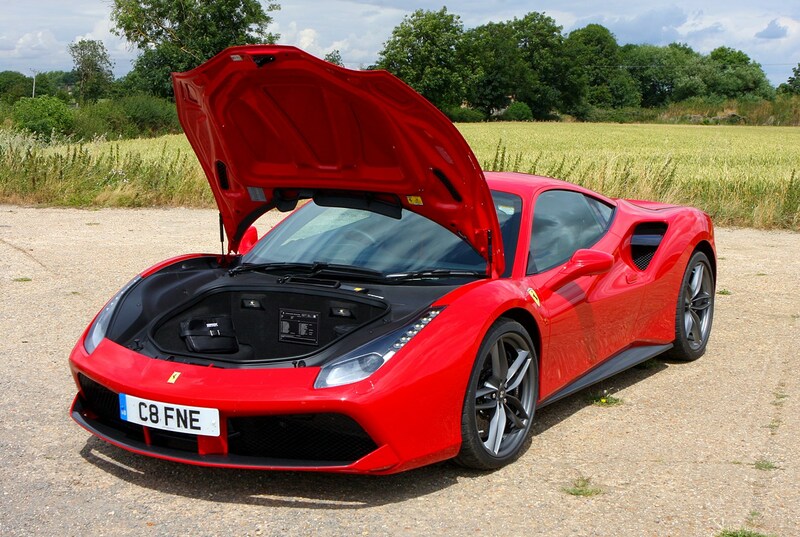 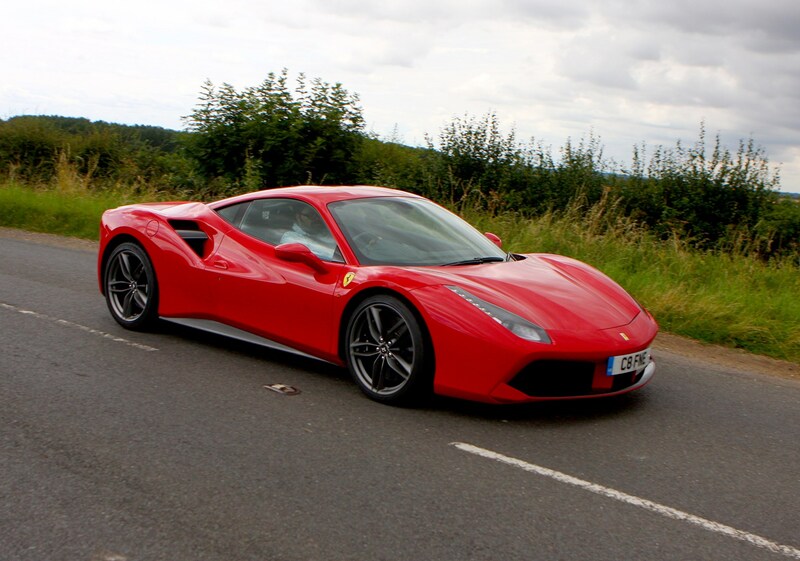 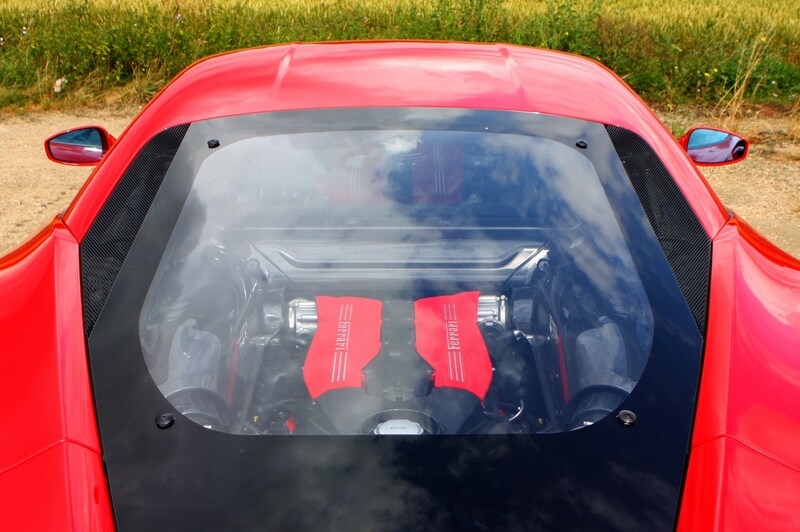 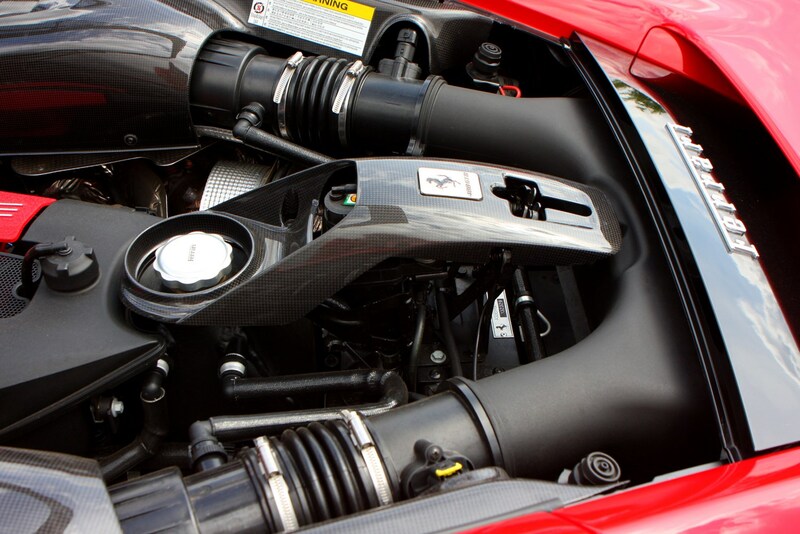 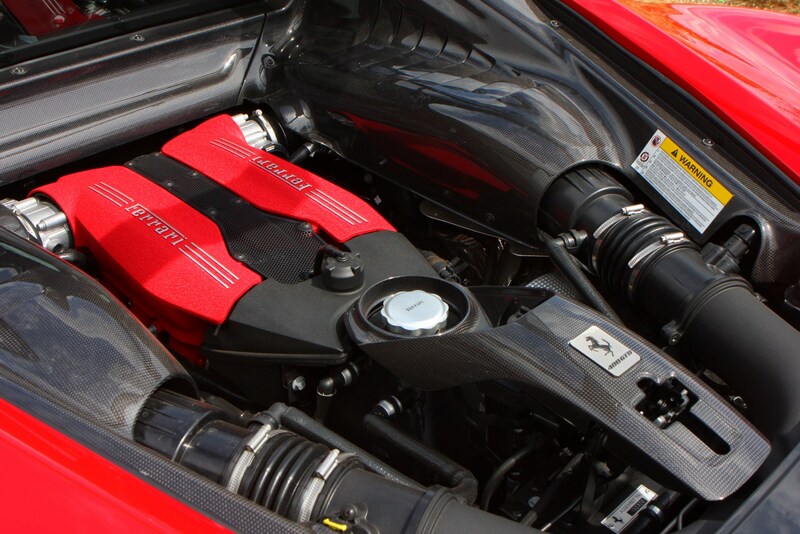 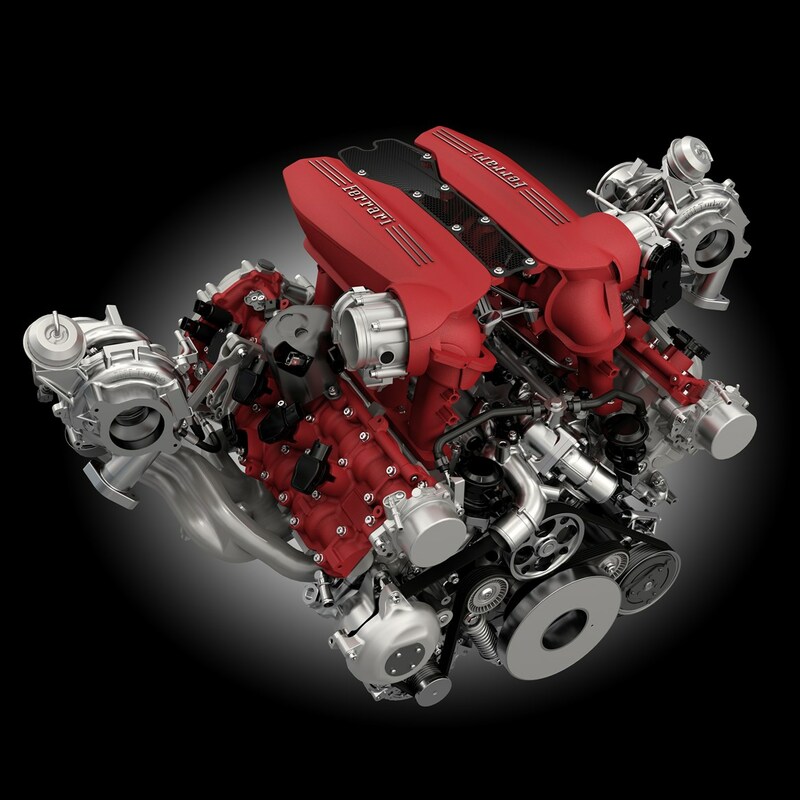 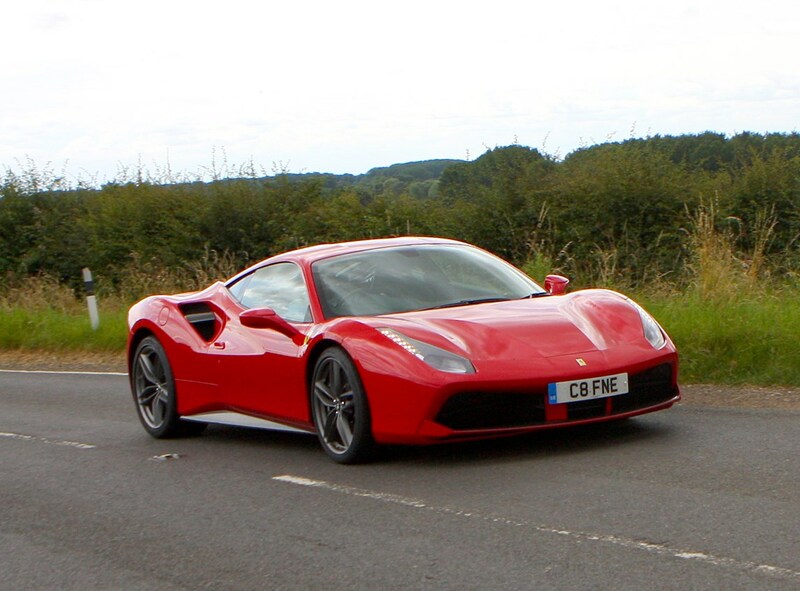 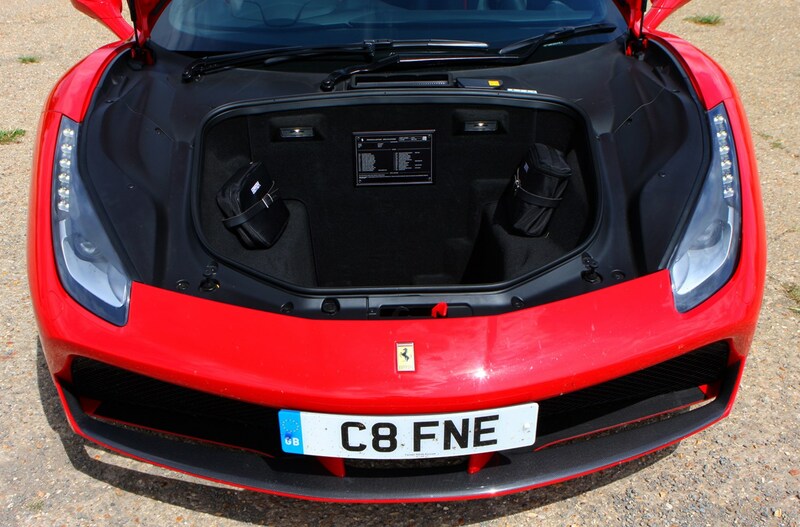 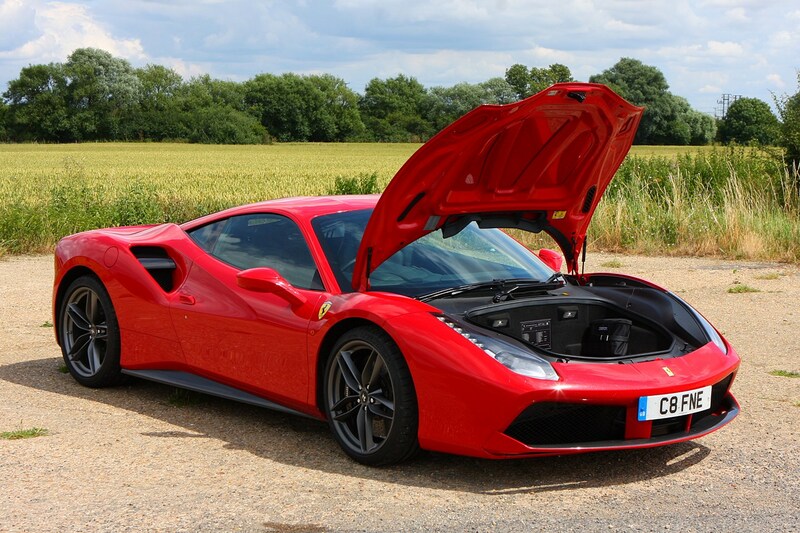 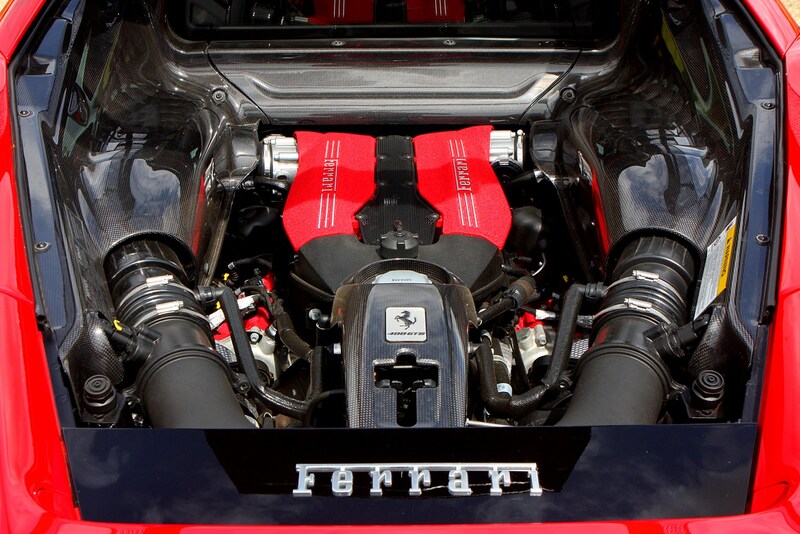 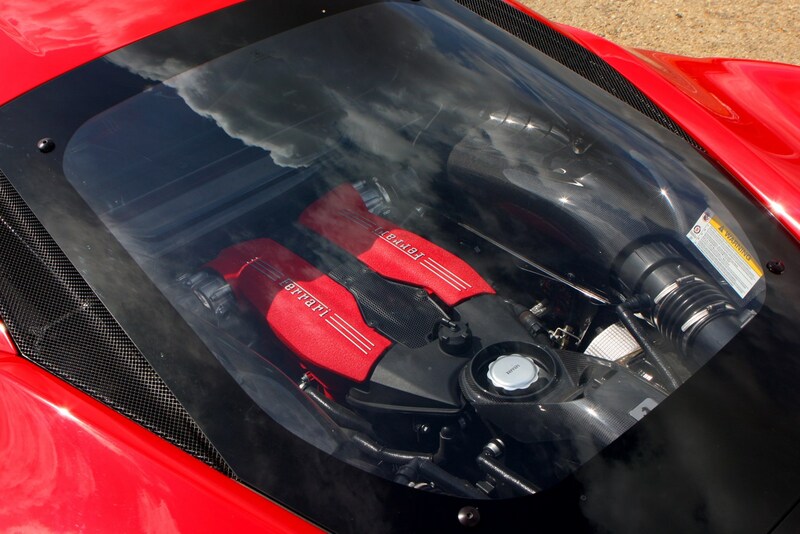 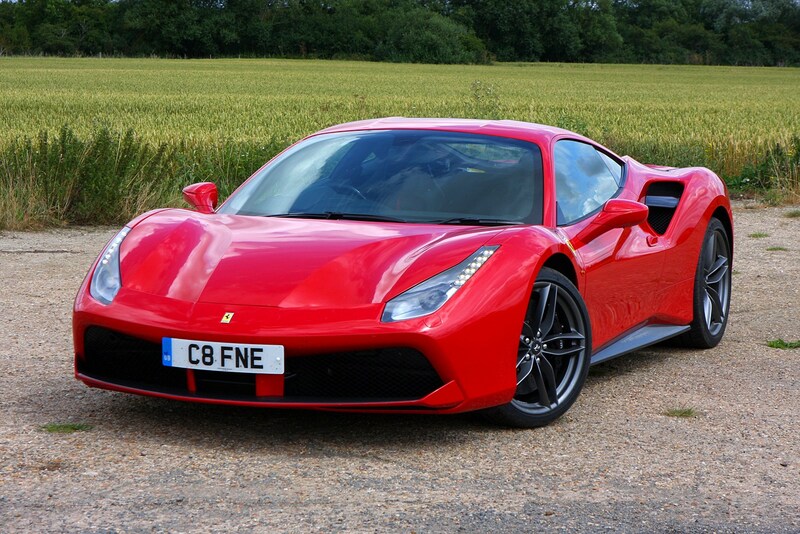 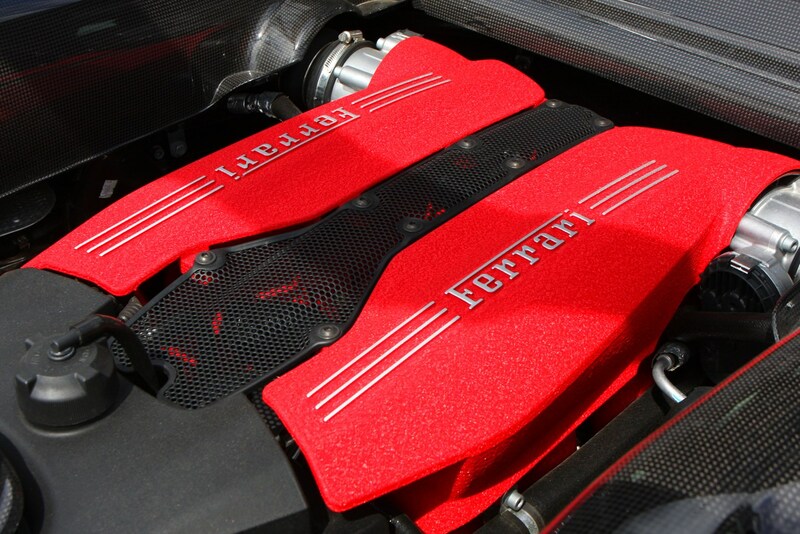 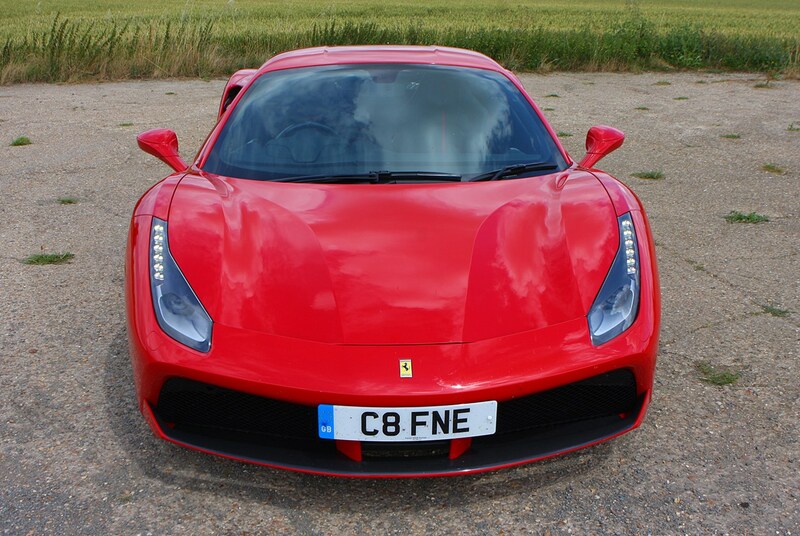 One common thread linking the 488’s seven forebears is that they all featured a naturally aspirated V8 powerplant nestled immediately behind the two seats but ahead of the rear axle, each motor growing in size compared with the model it ousted. 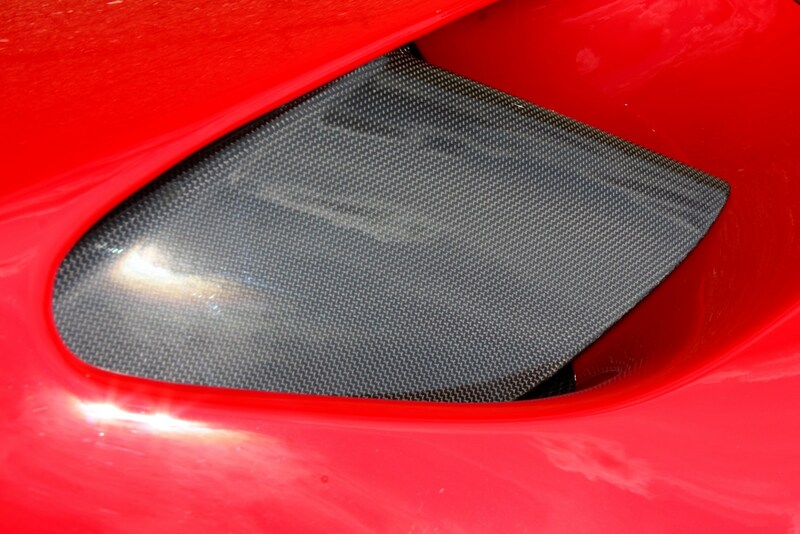 Here Ferrari’s rung in the changes. 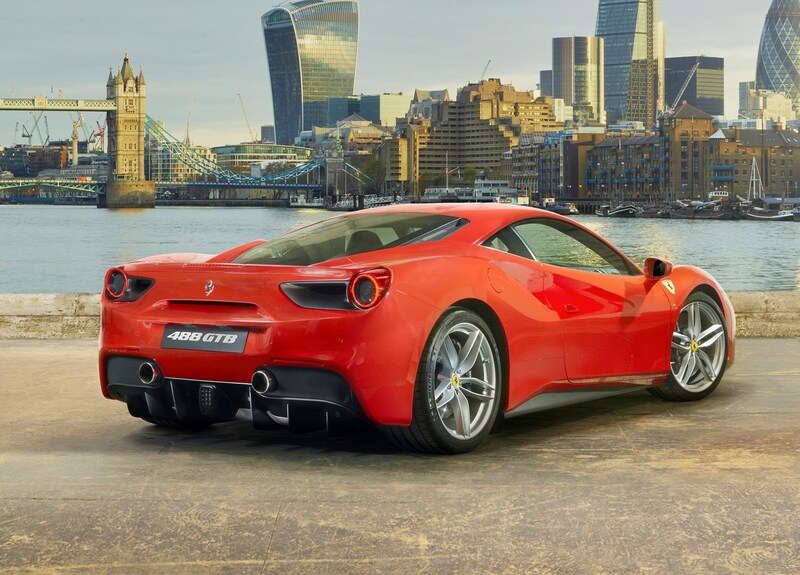 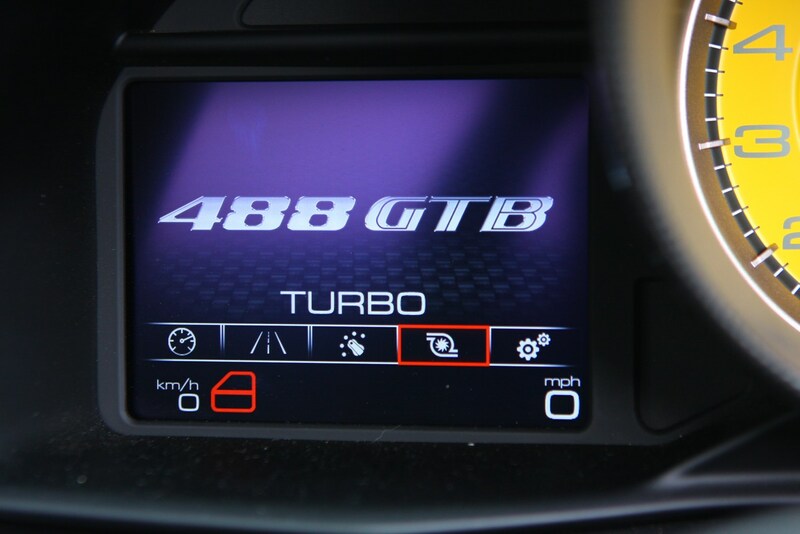 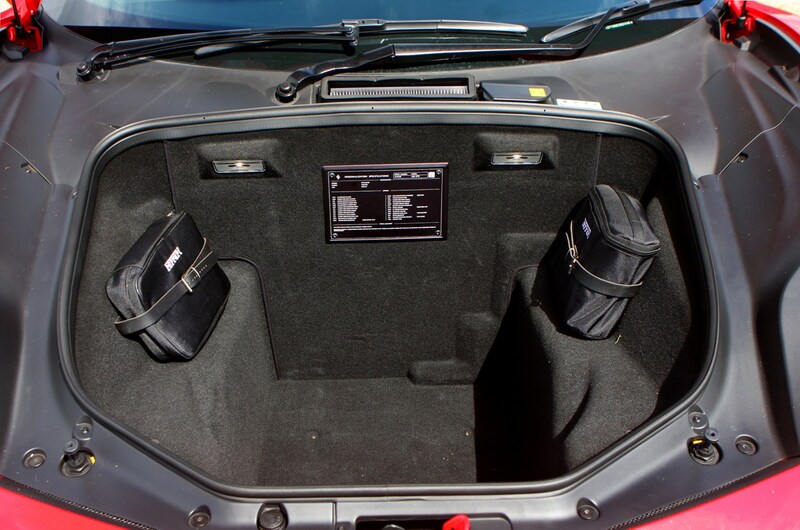 So far only available in GTB coupe guise, the 3.9-litre unit is smaller than the 458’s 4.5-litre V8, and it also features a pair of turbochargers. 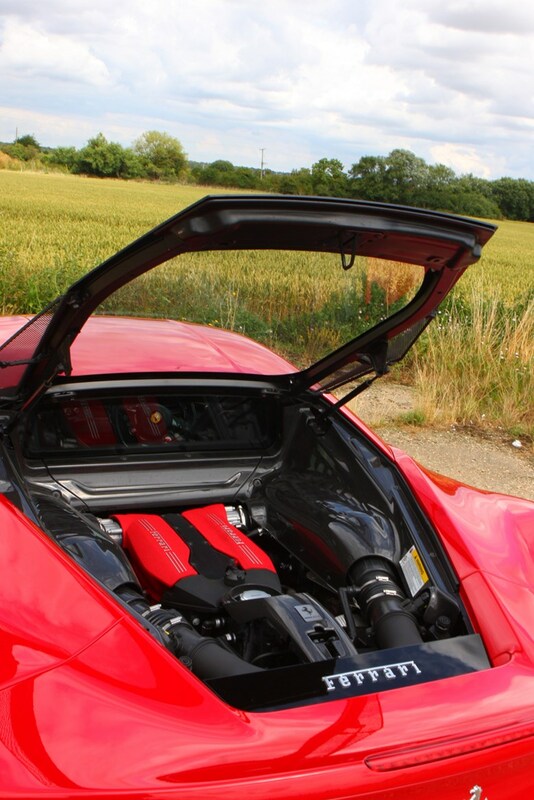 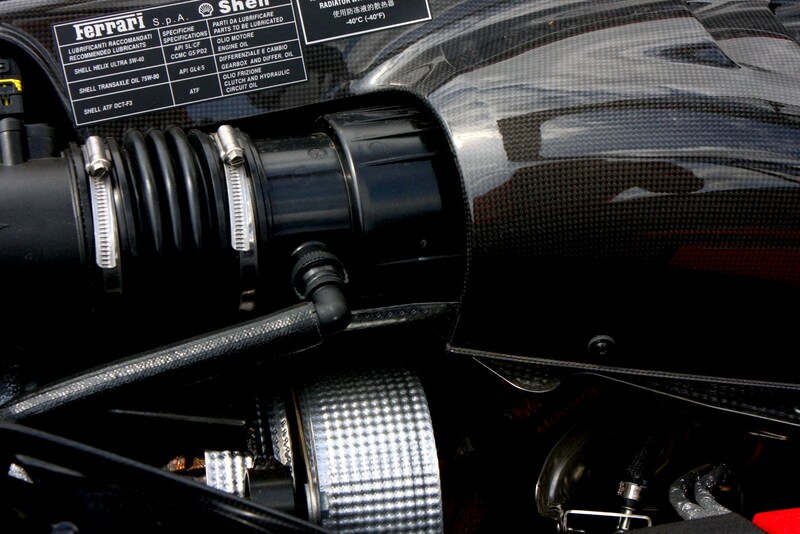 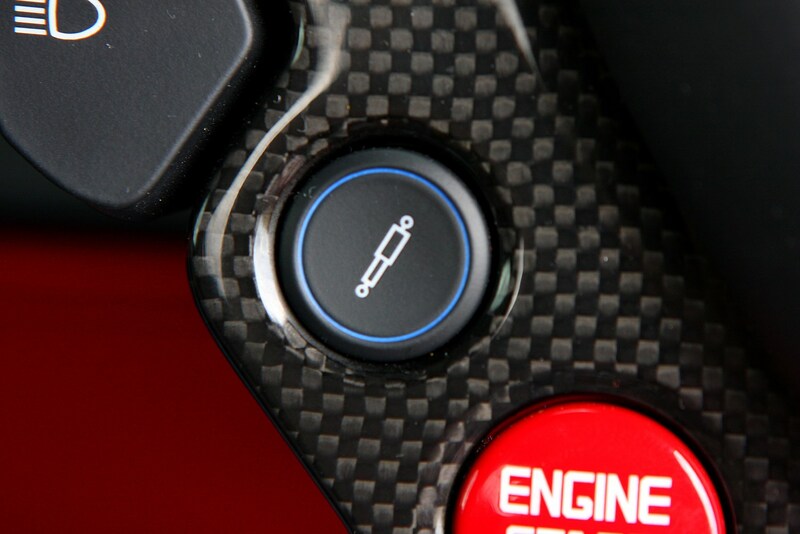 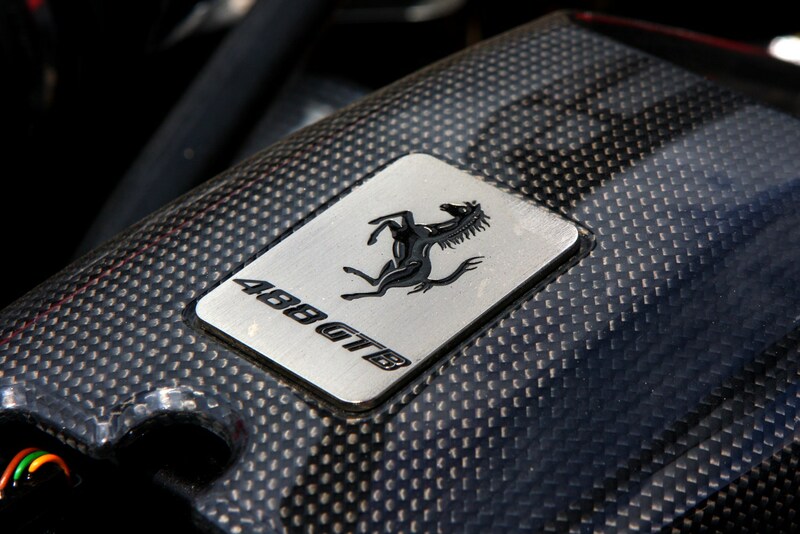 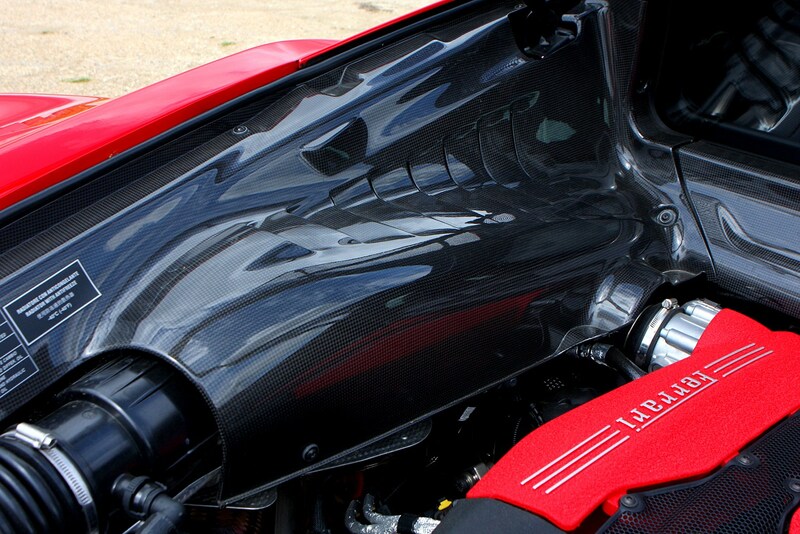 Incidentally, that 488 designation comes from the capacity of one of the engine’s cylinders. 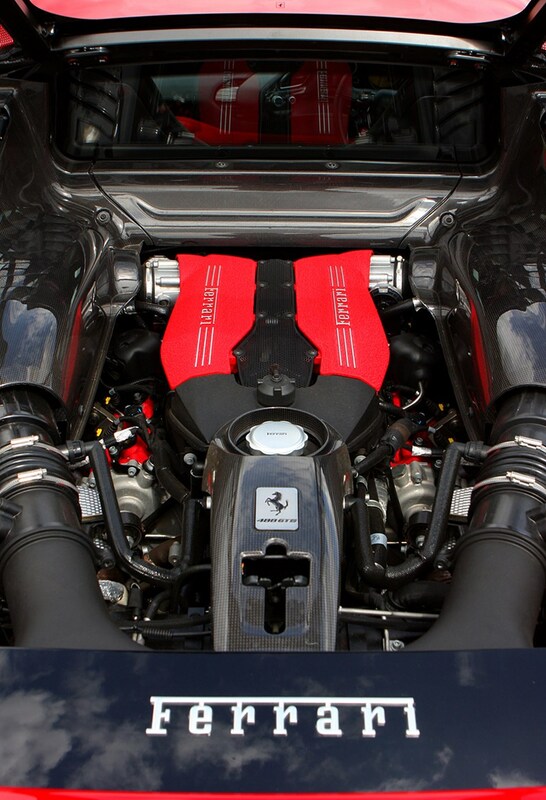 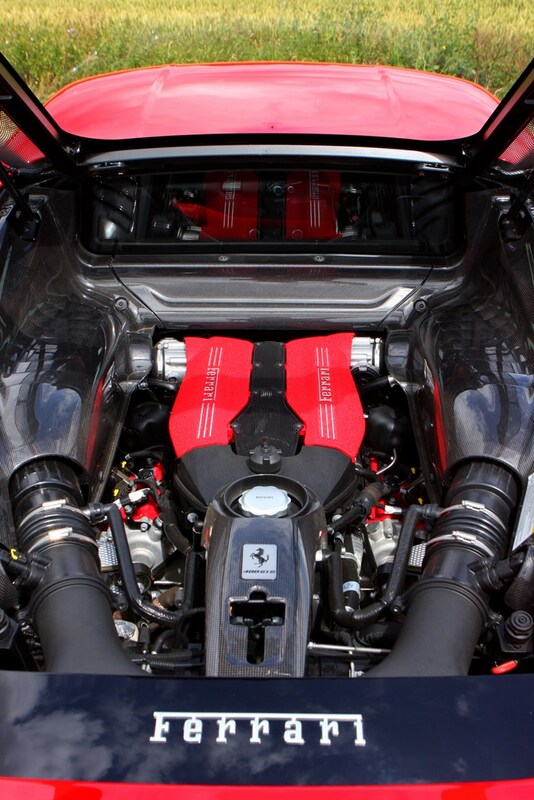 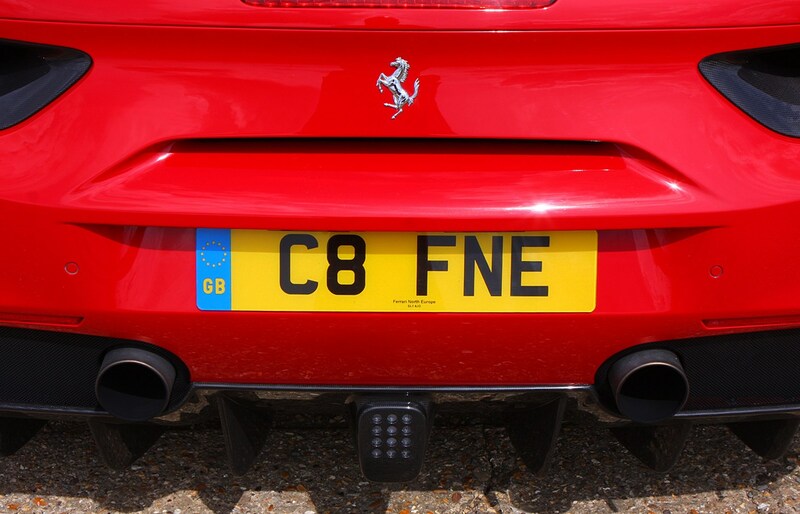 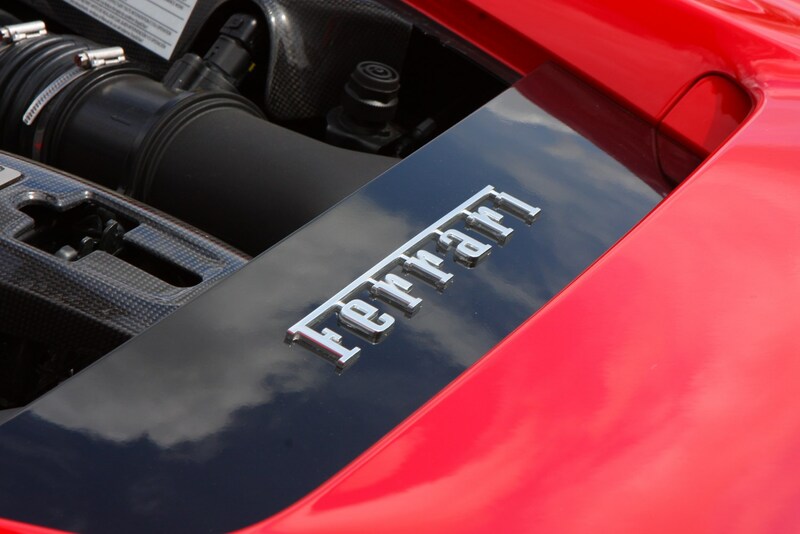 Ferrari’s not new to the turbocharging game – the revised California T also benefits from a version of this forced-induction engine – but brand purists may feel uneasy at the prospect of their beloved V8 not screaming all the way up to 9,000rpm in pure, unsullied form. 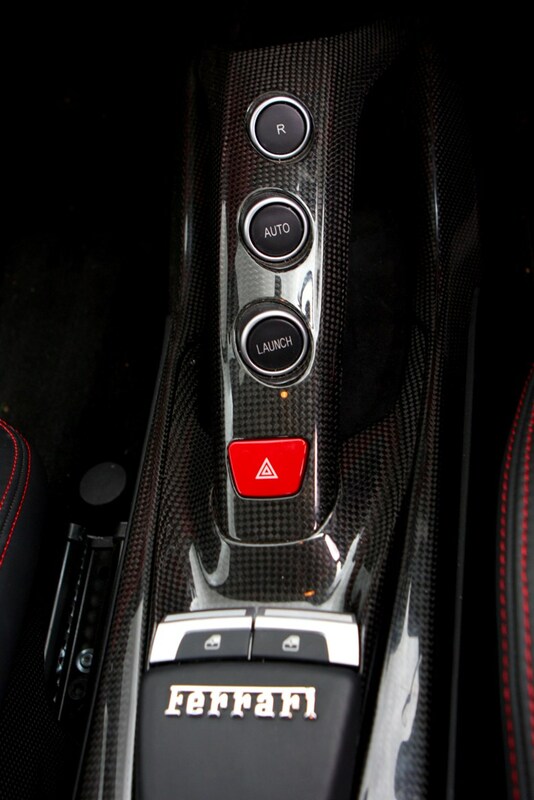 They needn’t be concerned. 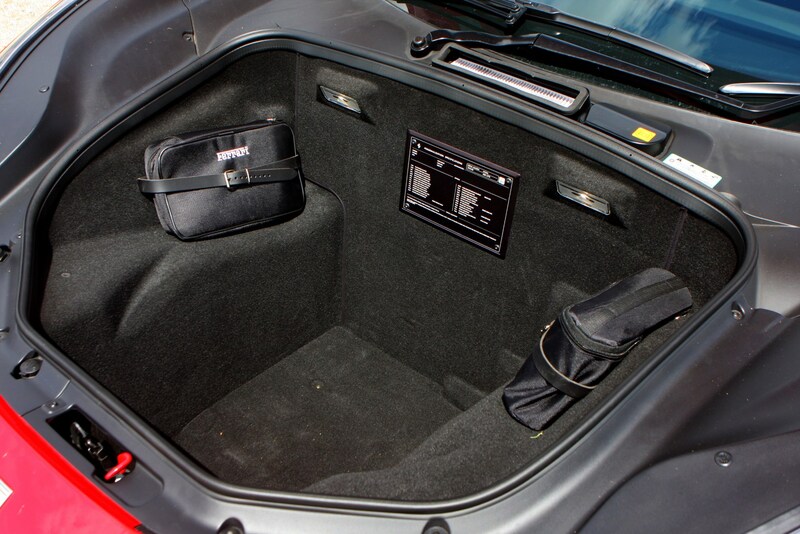 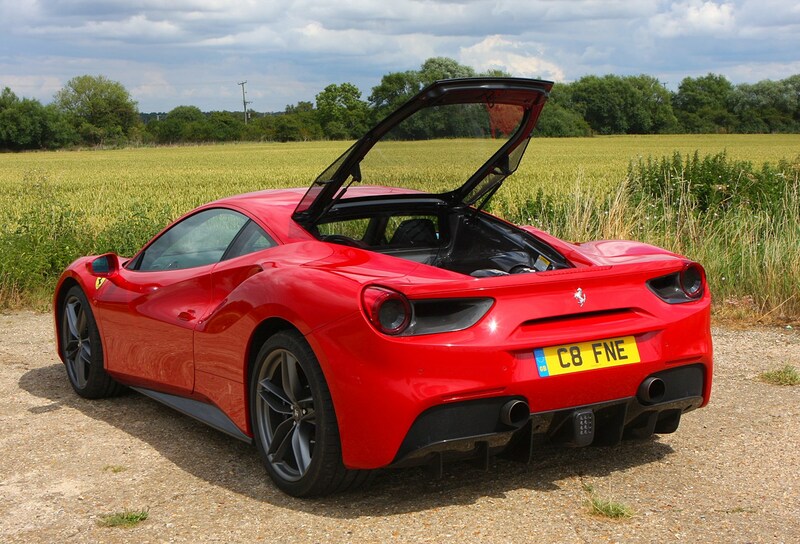 Yes, it sounds different – there’s that familiar whoosh as the turbos spool, and the V8’s as charismatically throaty, if not quite as loud. 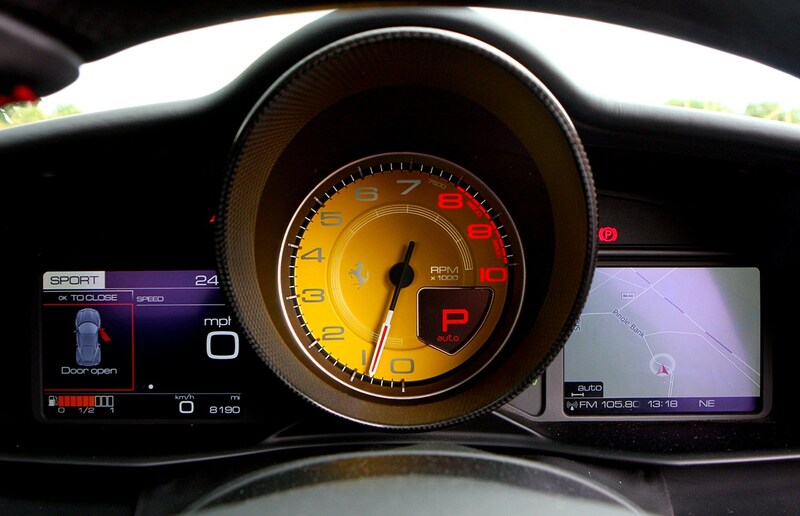 If the hairs on the back of your neck don’t stand up as the rev counter arcs towards 8,000rpm, then there’s something wrong with you. 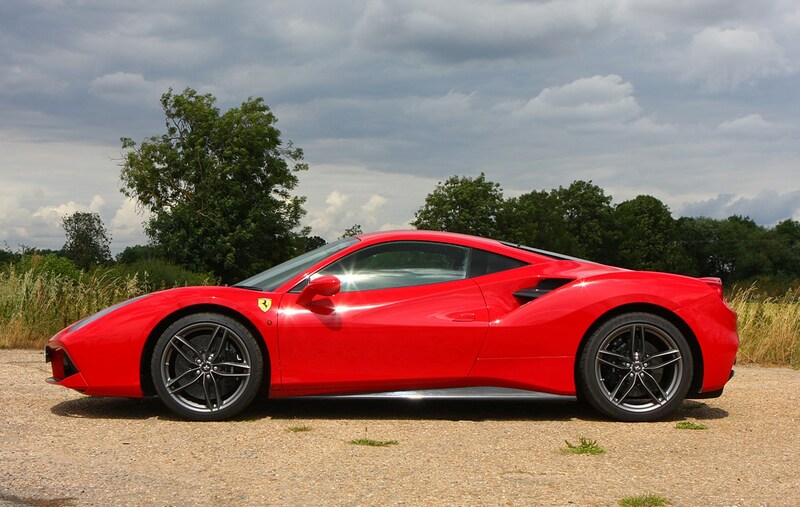 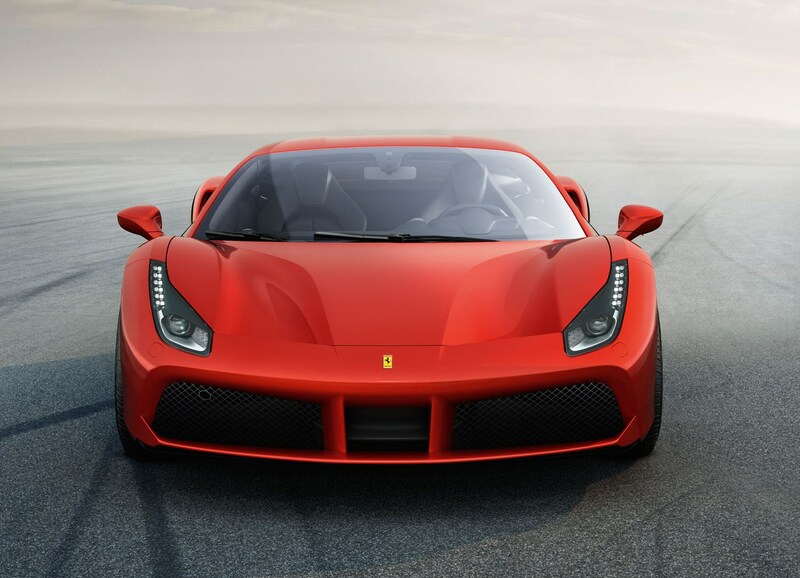 In purely statistical terms the 488’s 670hp (a 100hp increase over the 458) and 760Nm of torque (up 40 percent) are enough to propel it from 0-62mph in three seconds and on to a top speed of 205mph. 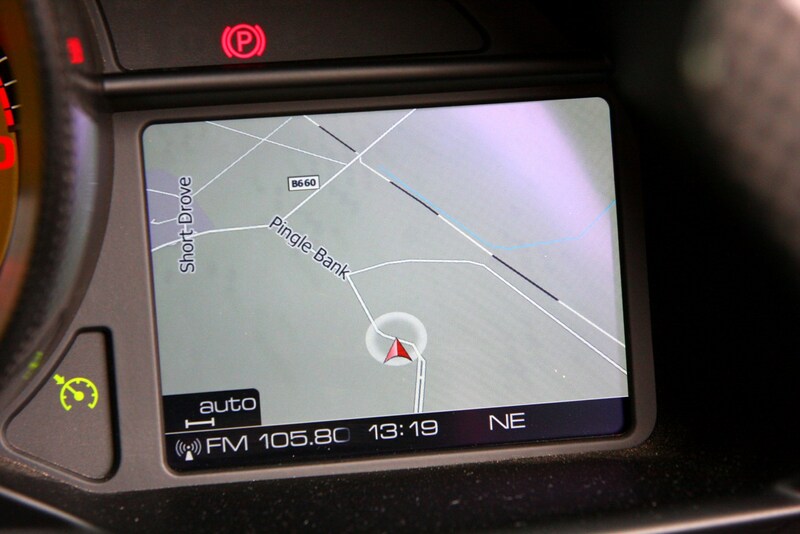 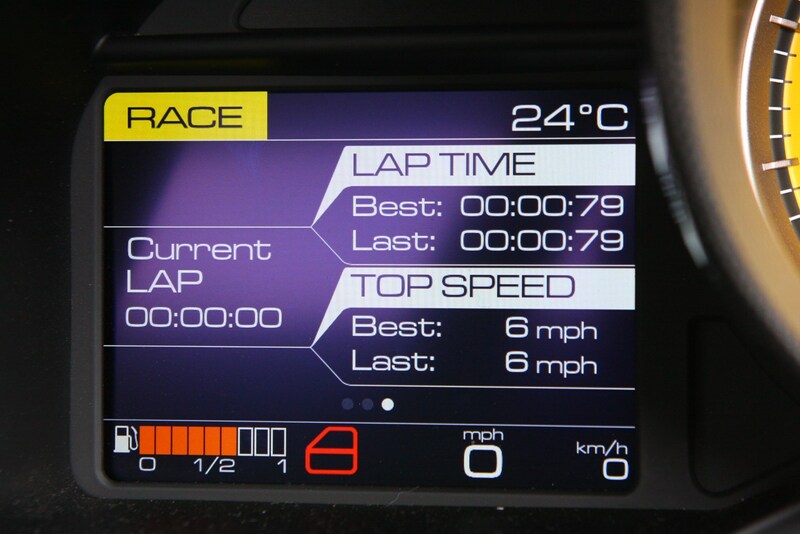 What statistics don’t tell you is how much quicker the car feels. 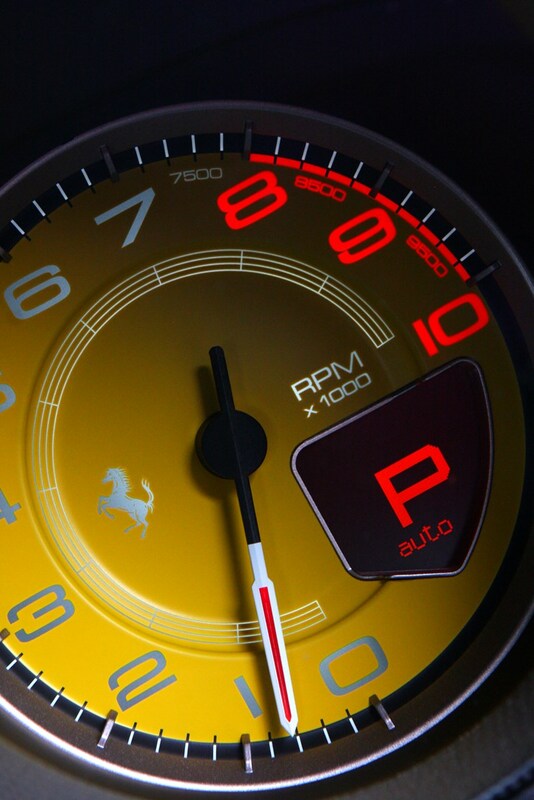 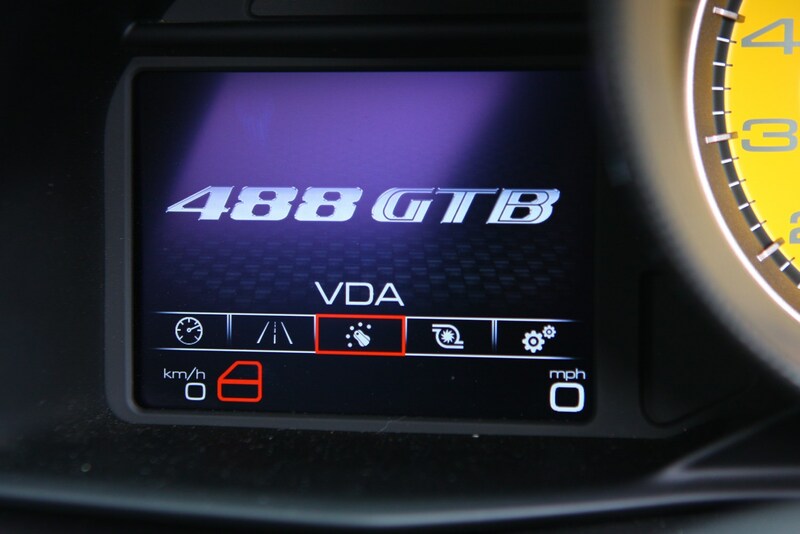 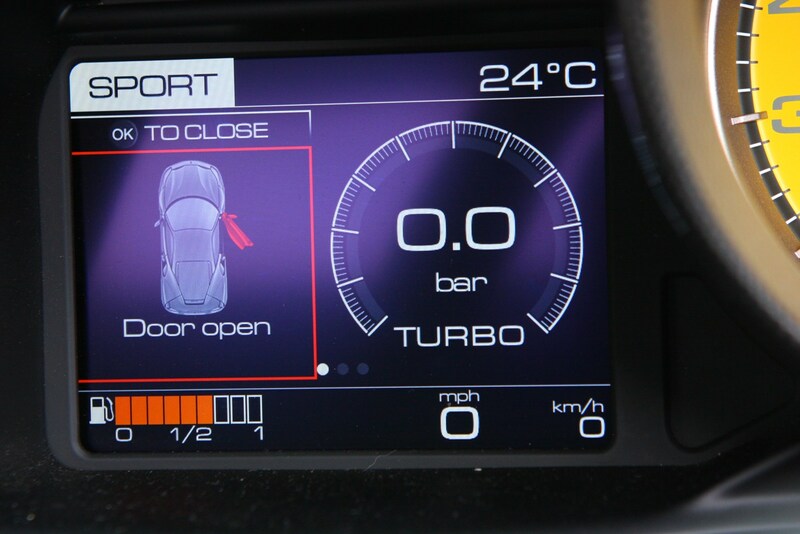 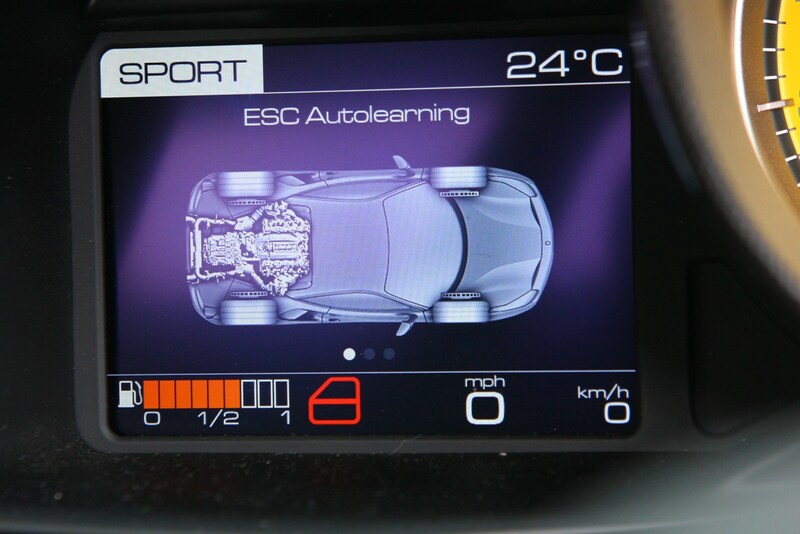 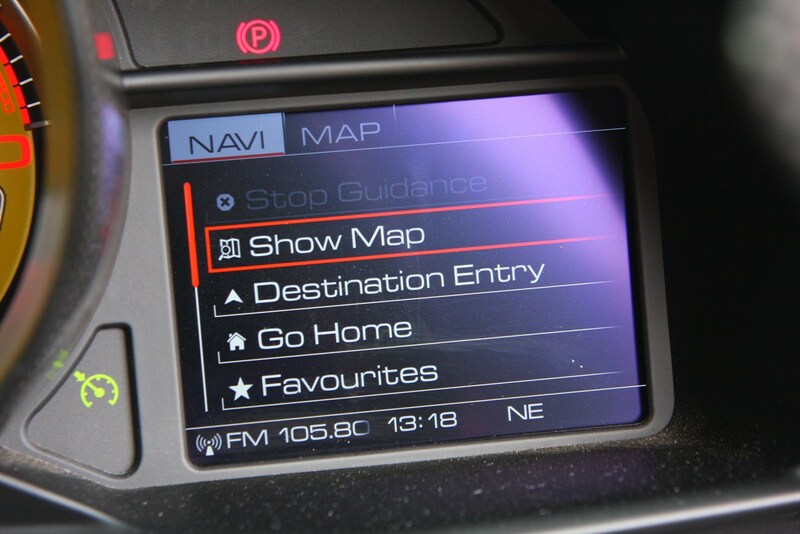 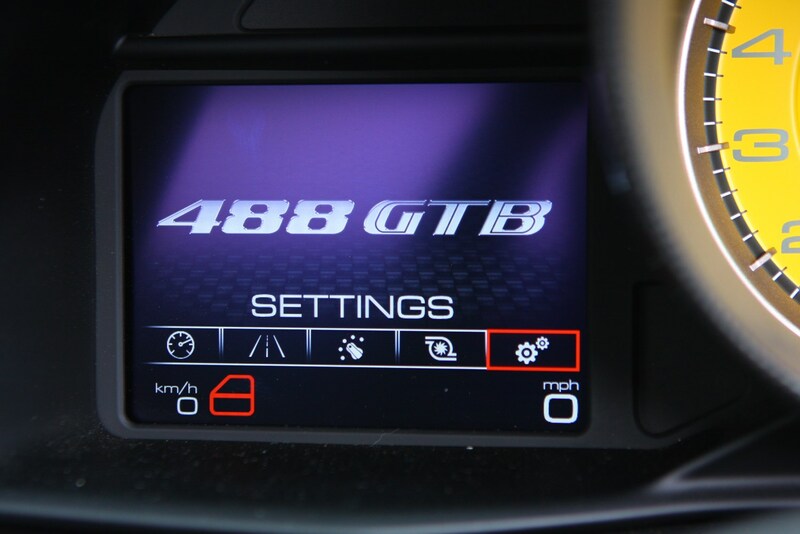 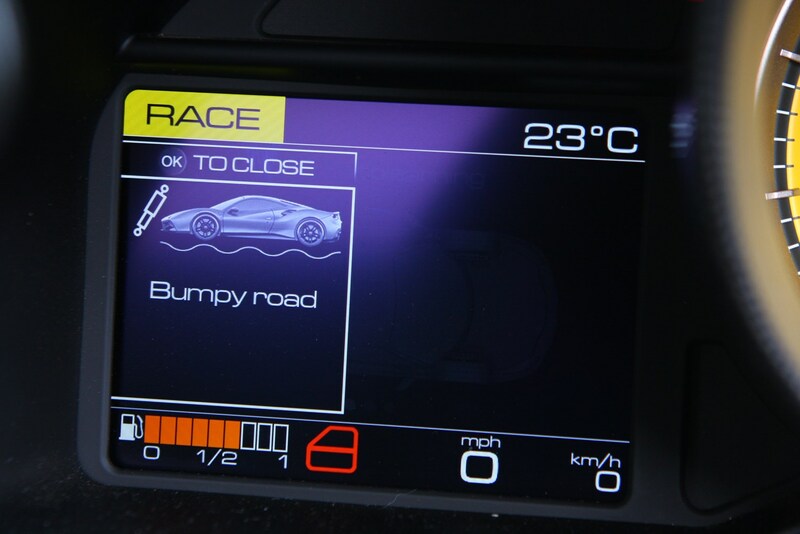 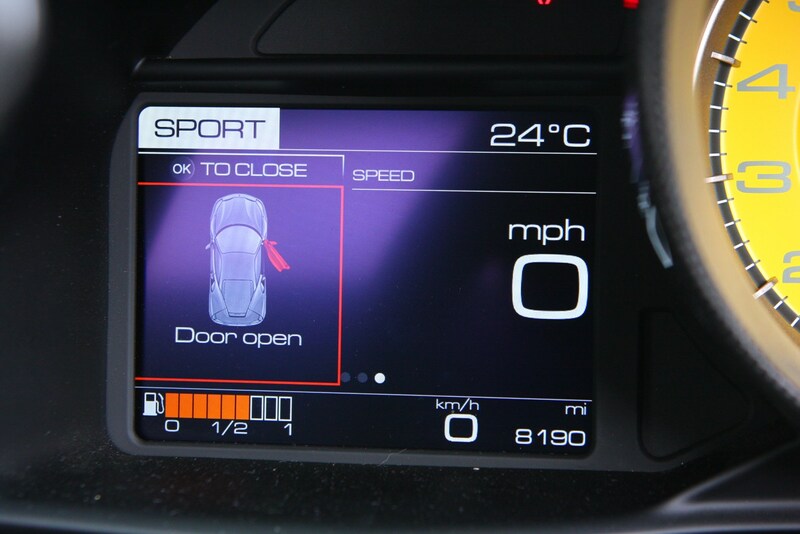 Those figures relate to the GTB version – the only model available from launch. 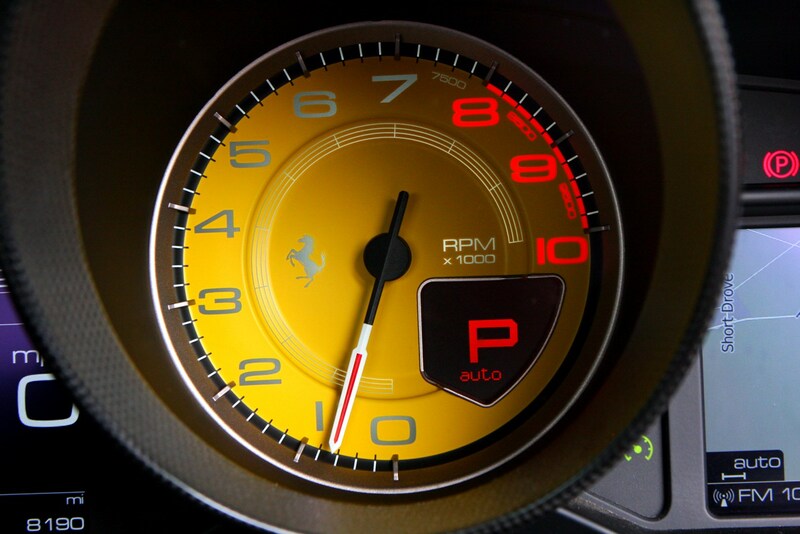 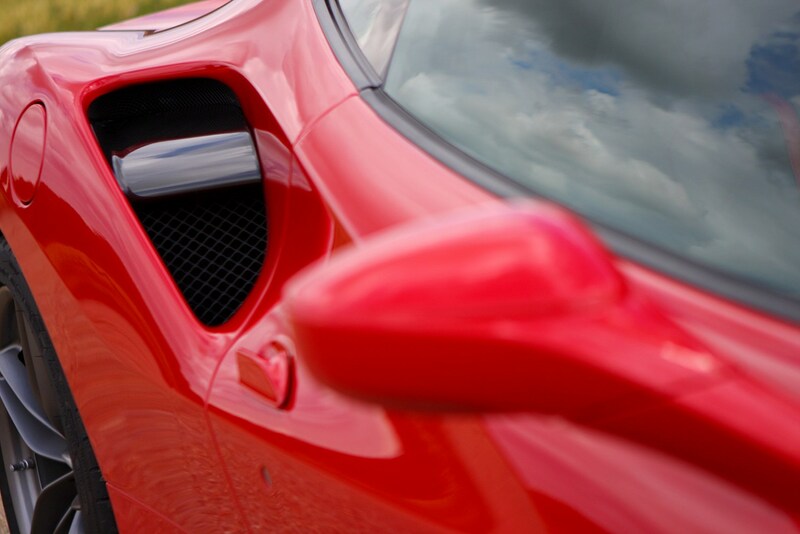 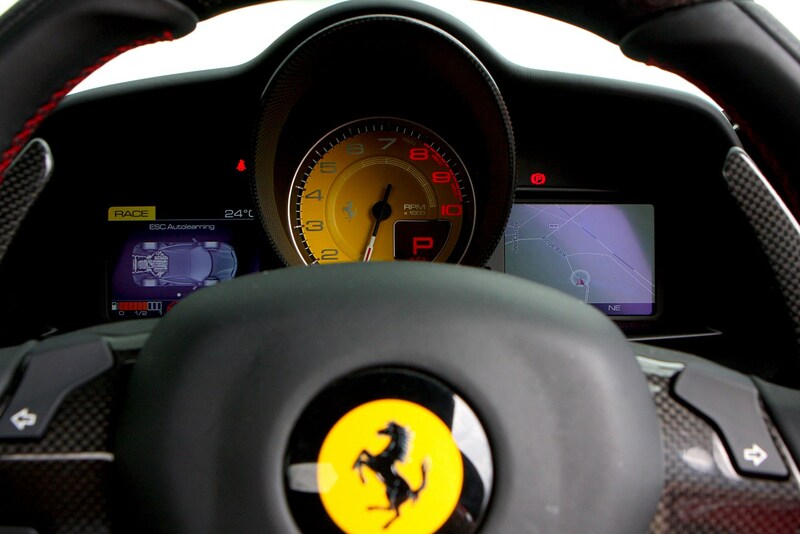 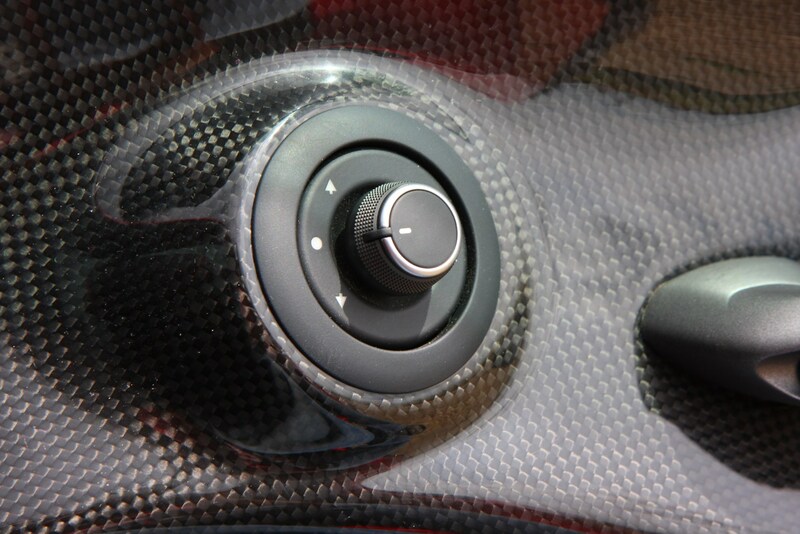 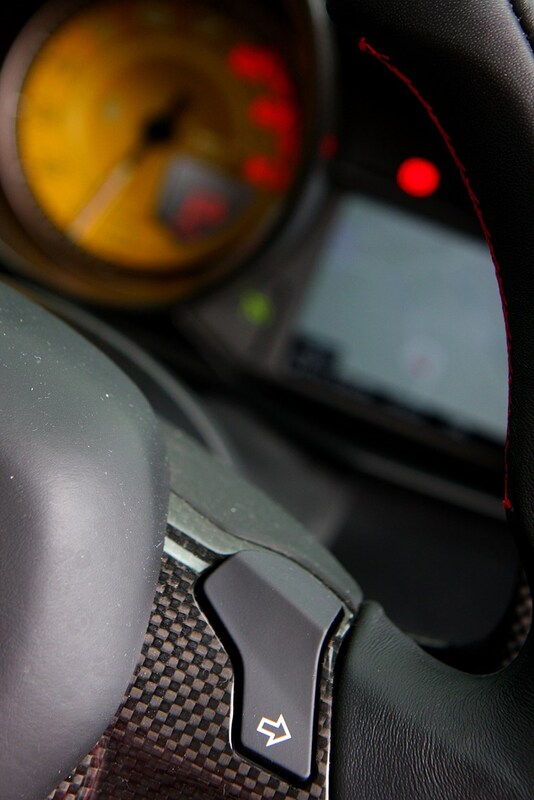 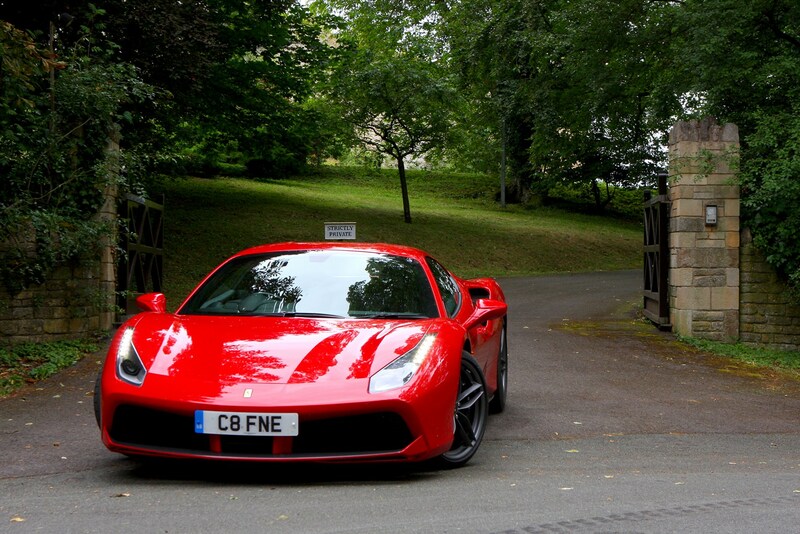 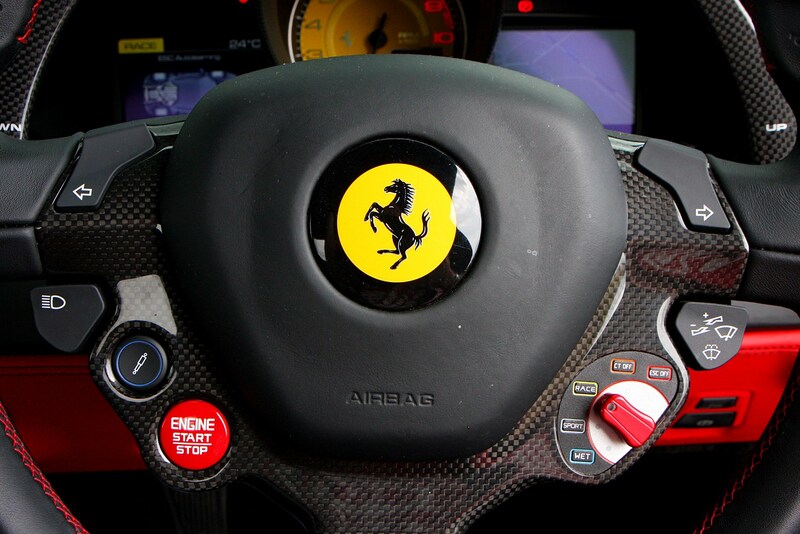 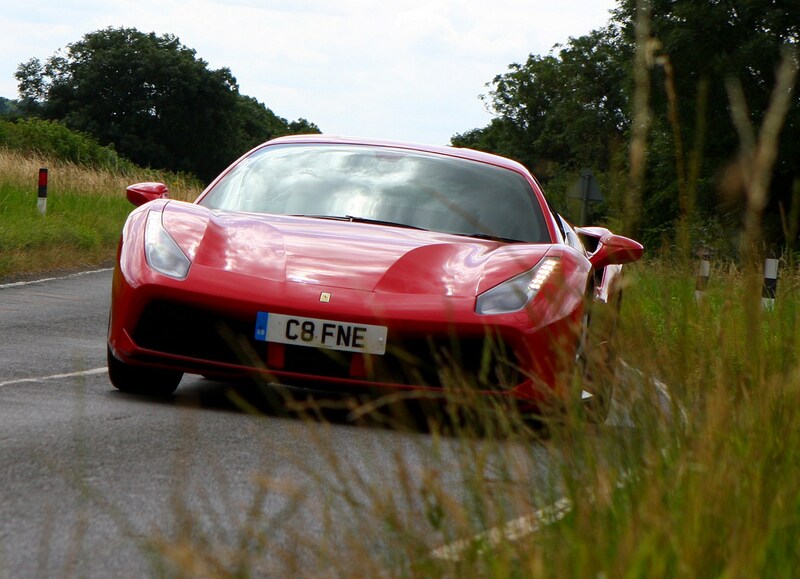 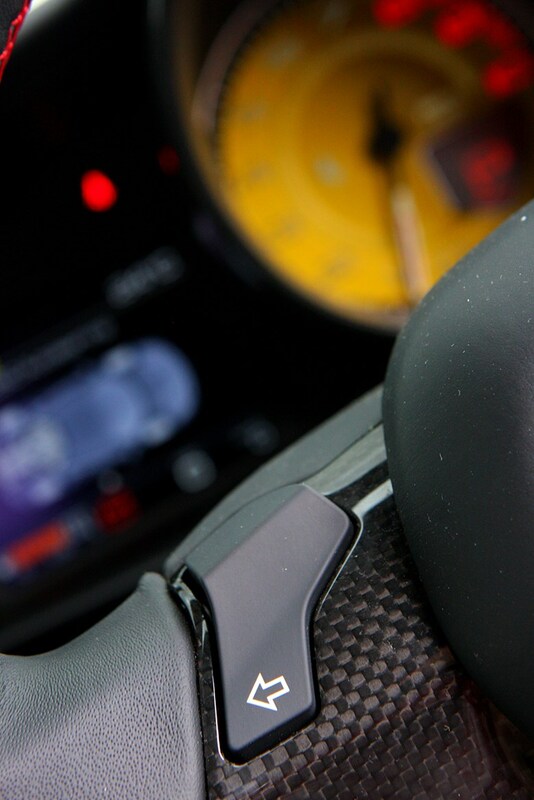 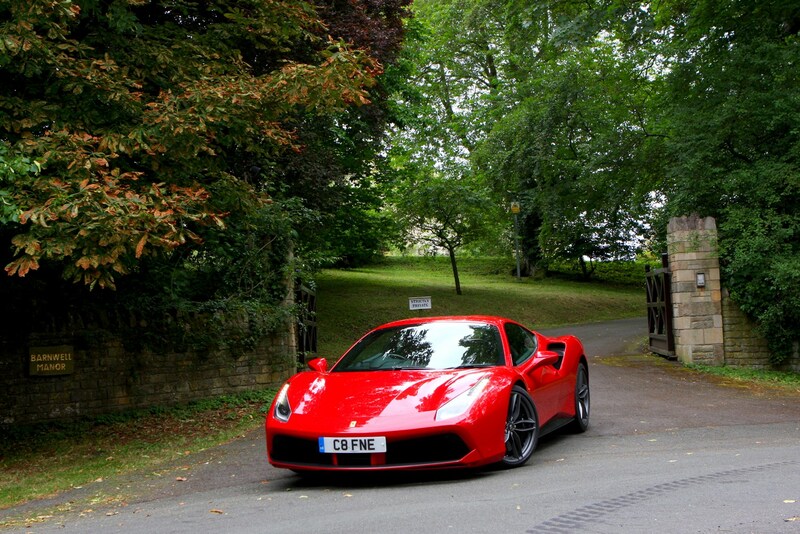 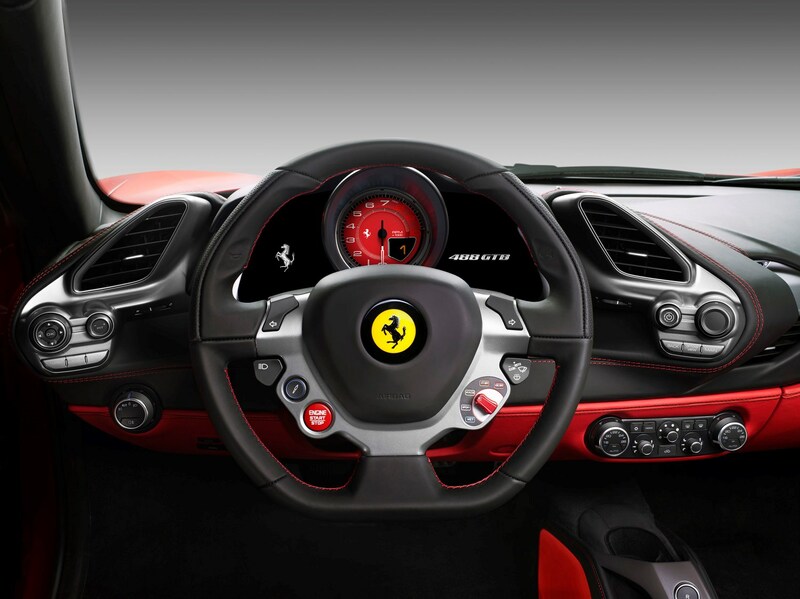 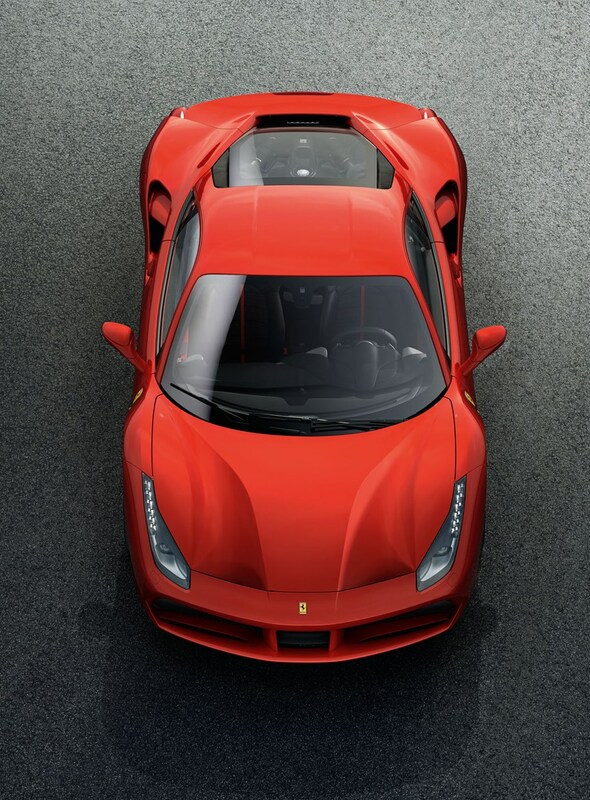 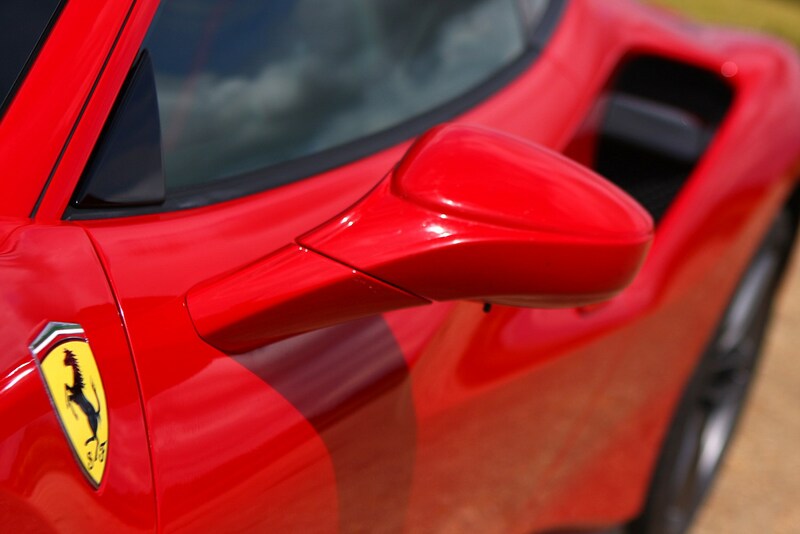 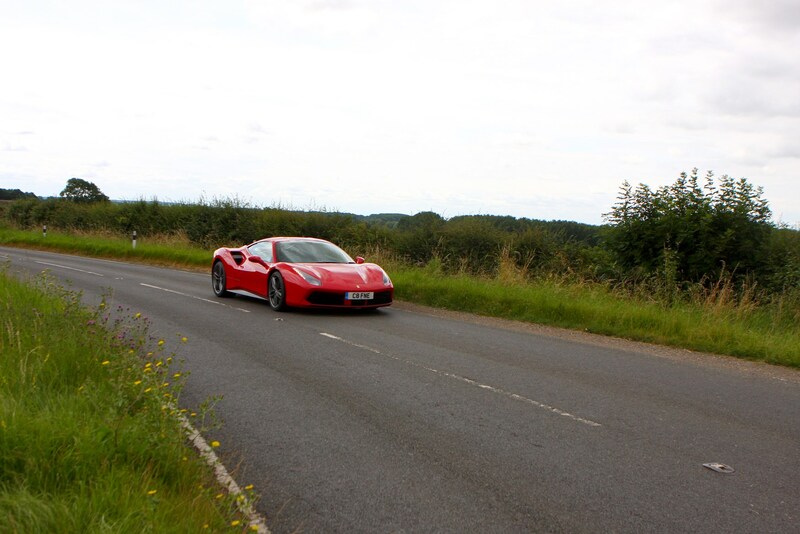 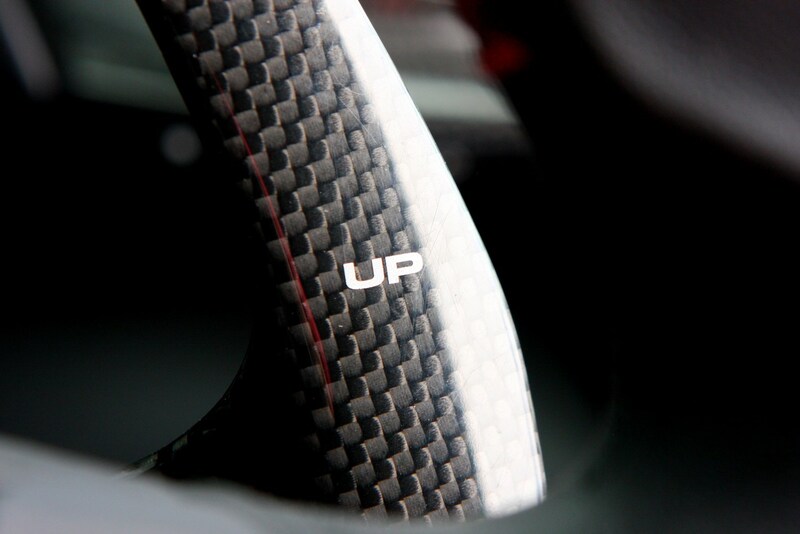 Expect an even faster model along the lines of the previous 458 Speciale to top the range in due course. 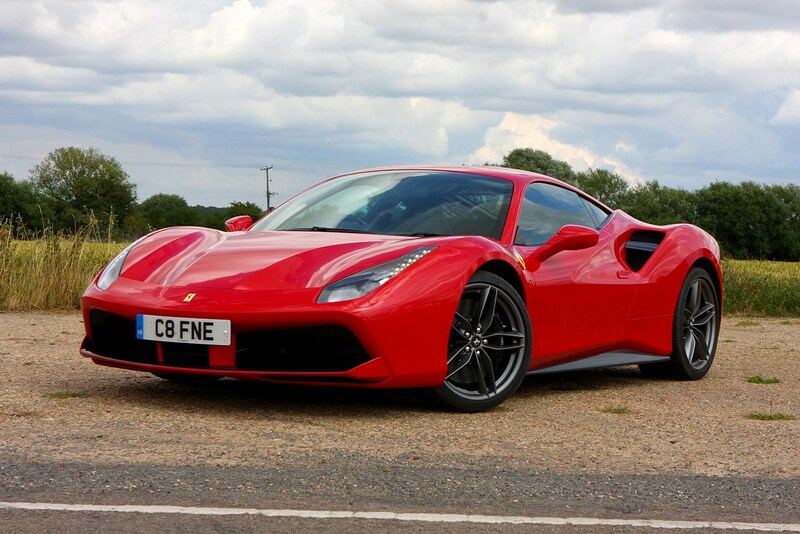 There’s much more to the Ferrari 488’s design than an extensive facelift of the 458 before it. 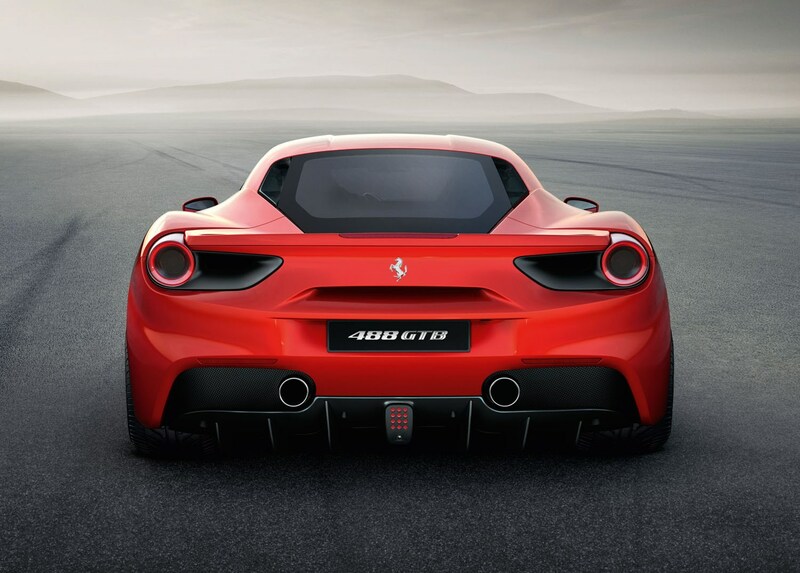 Clearly it’s based on its predecessor but all of the bodywork is fresh and designed with improved aerodynamics and increased downforce in mind. 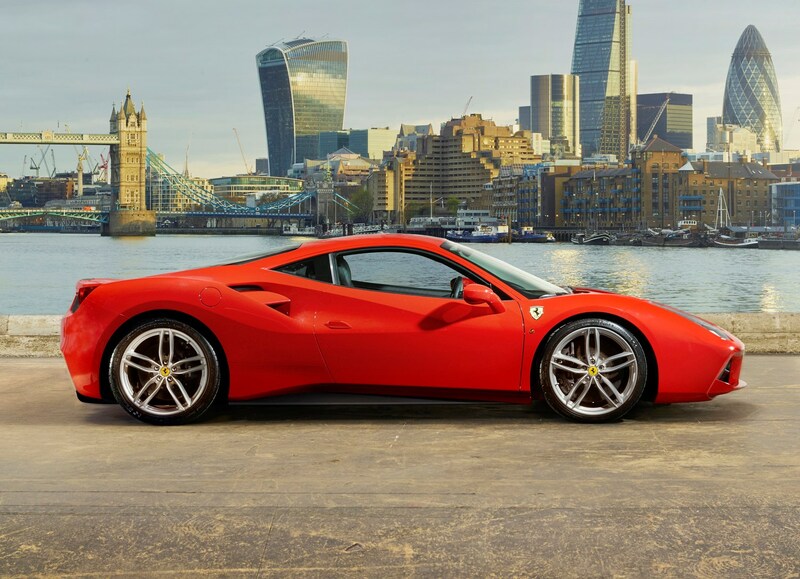 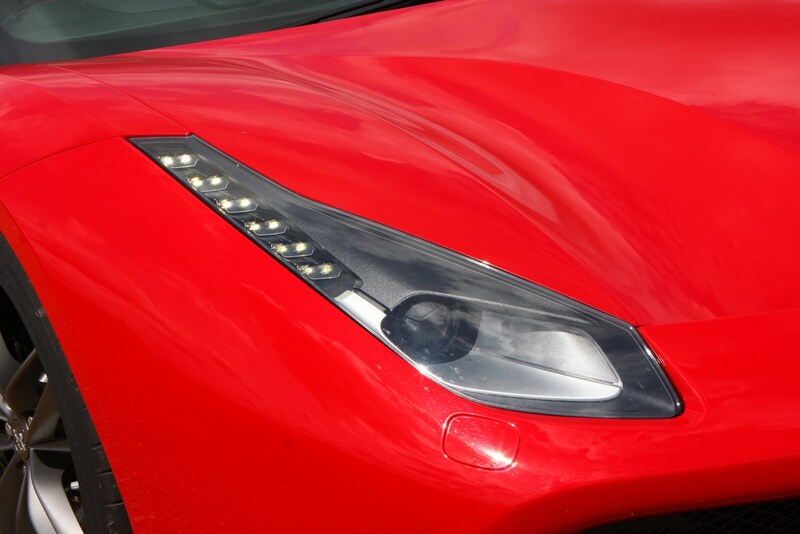 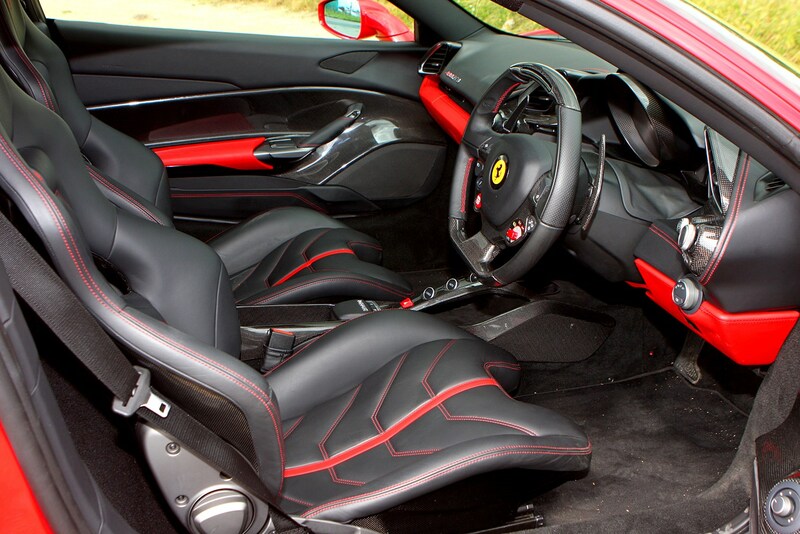 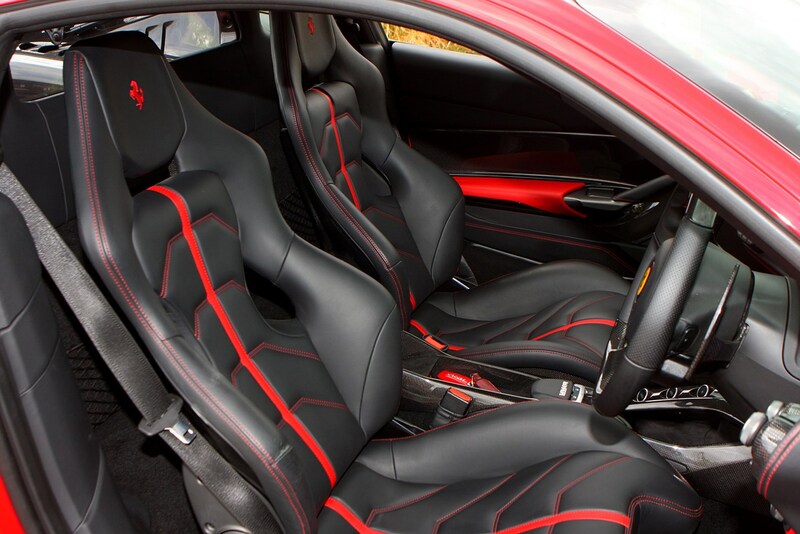 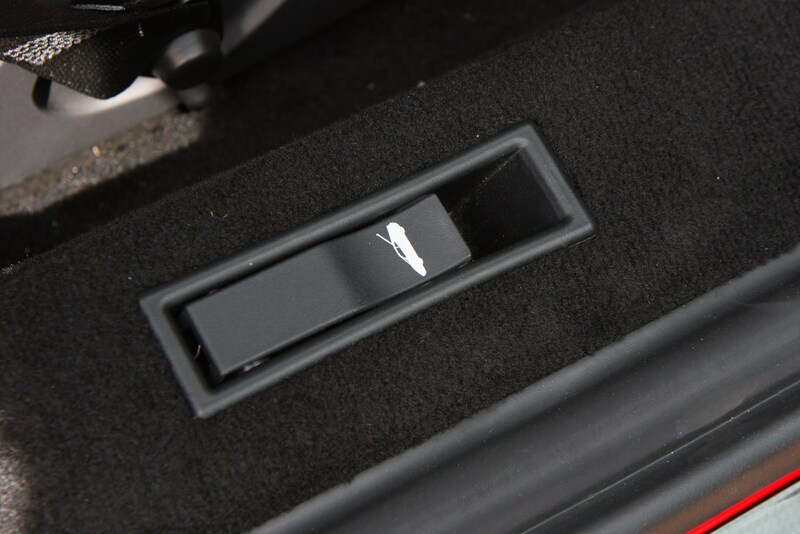 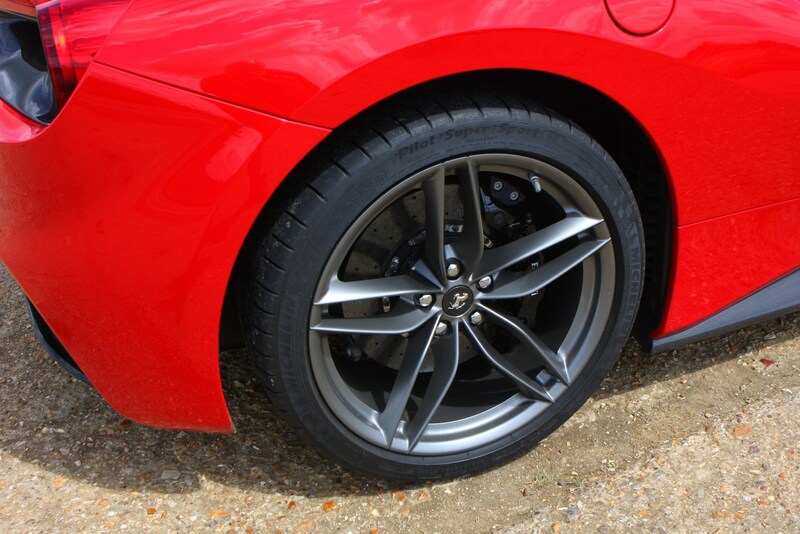 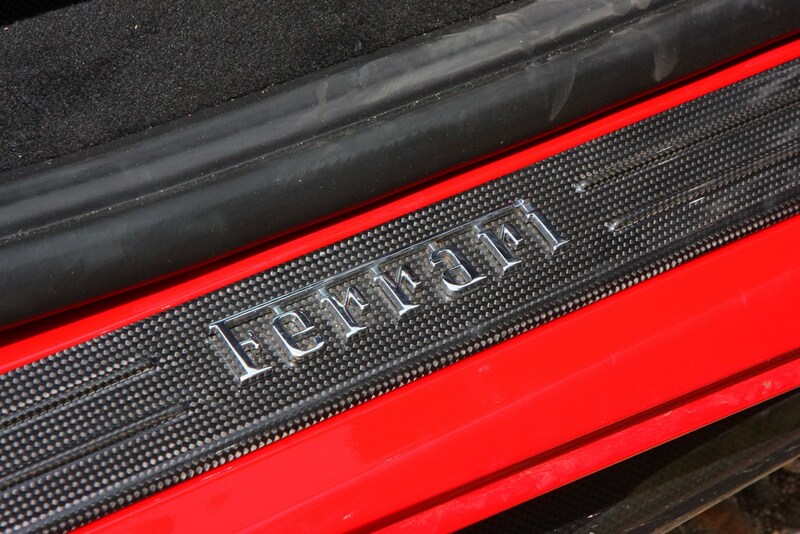 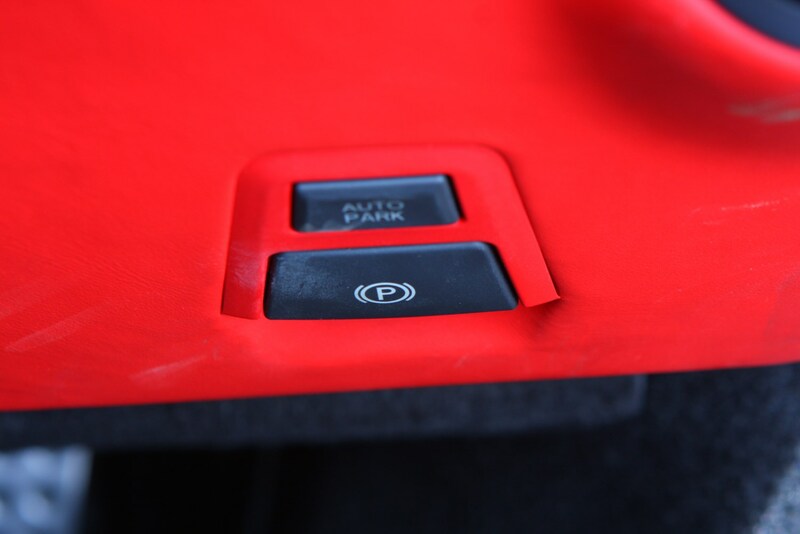 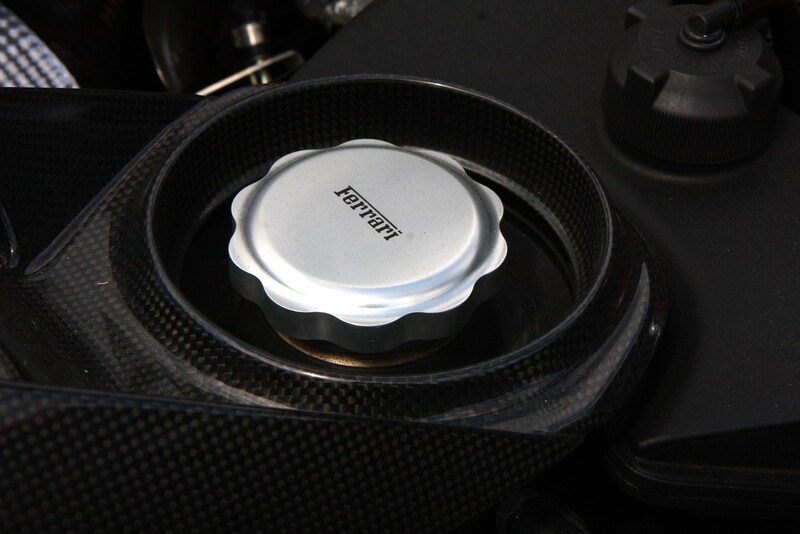 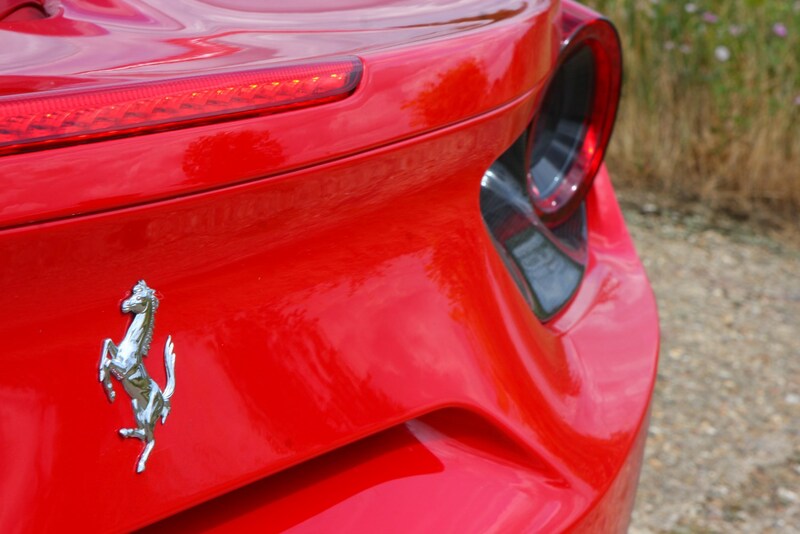 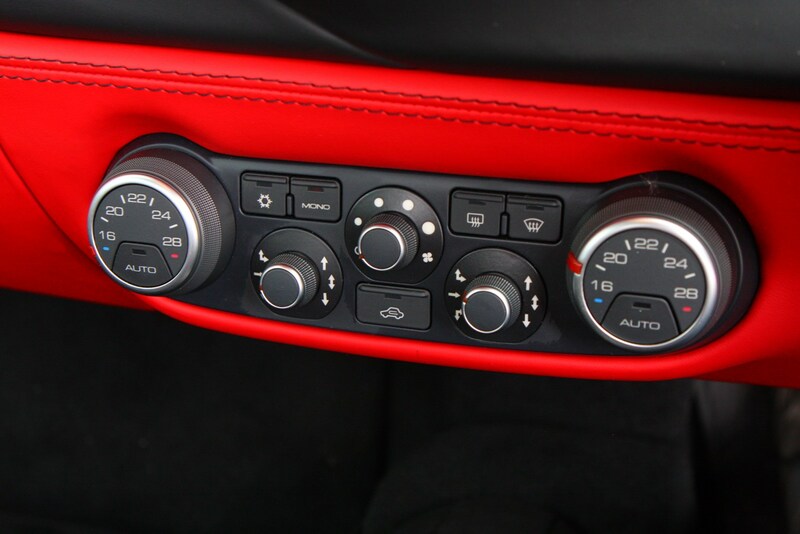 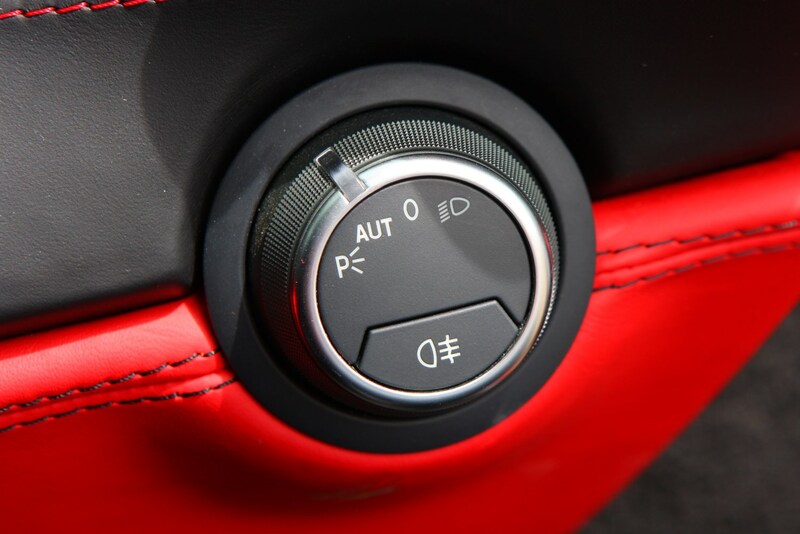 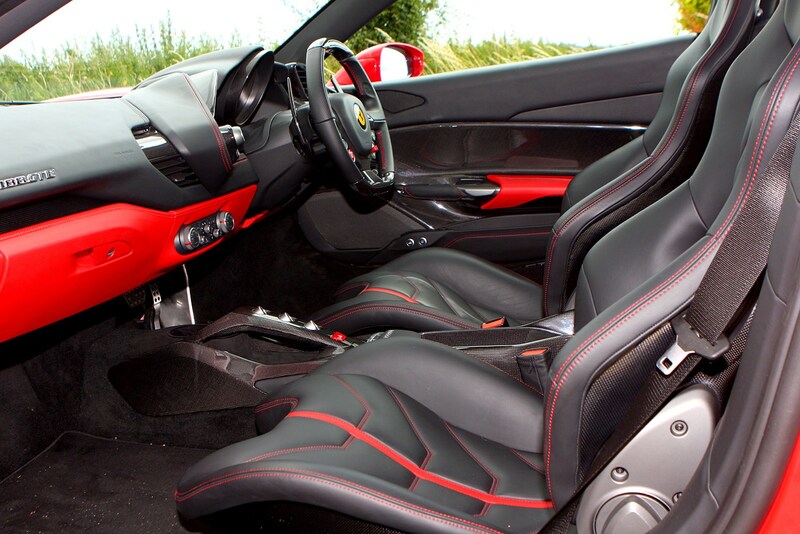 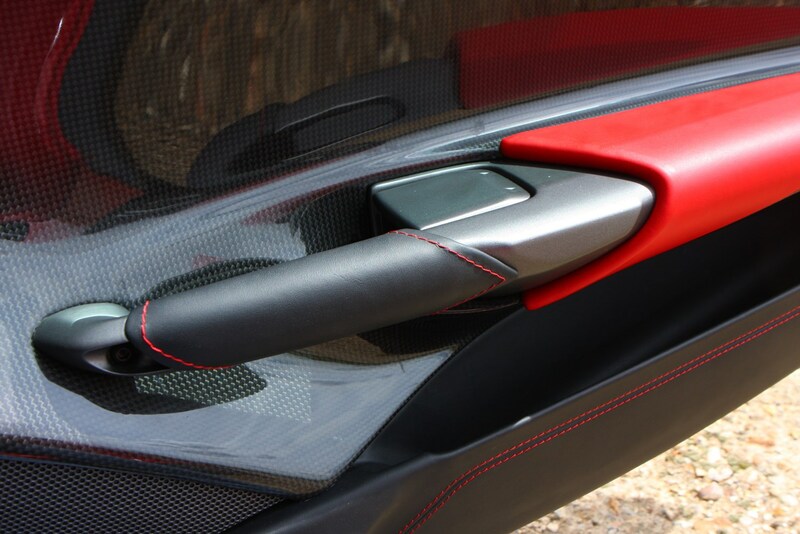 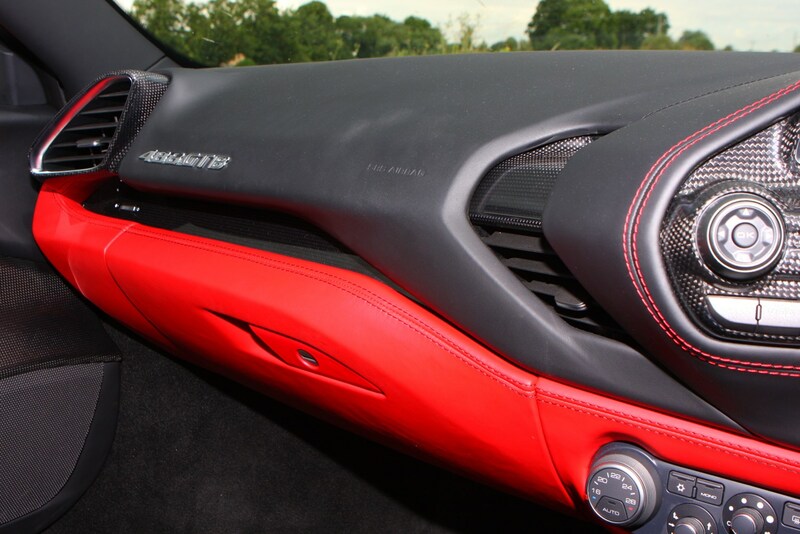 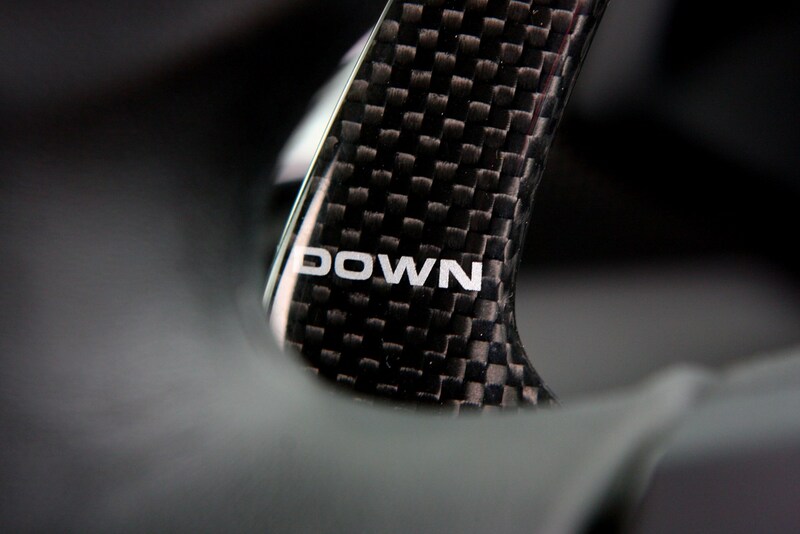 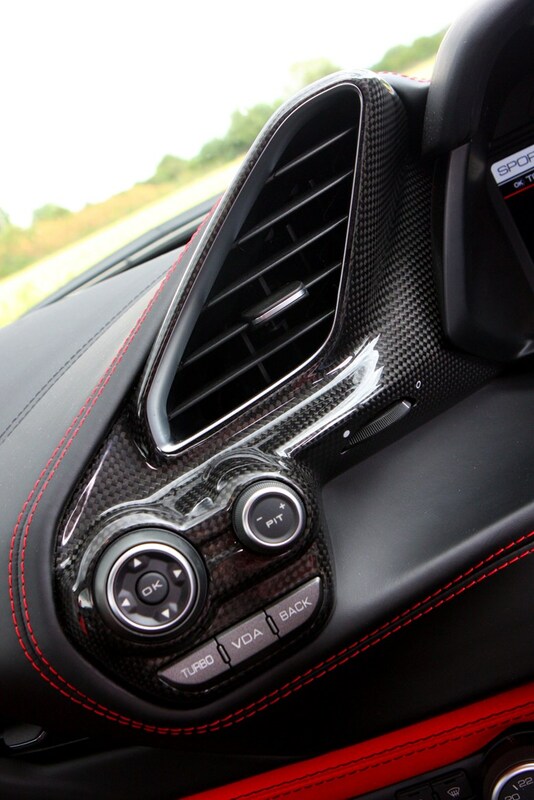 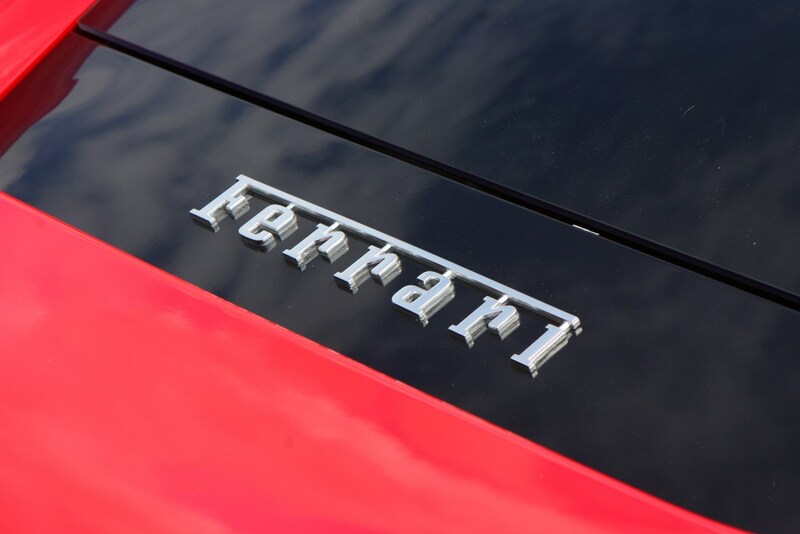 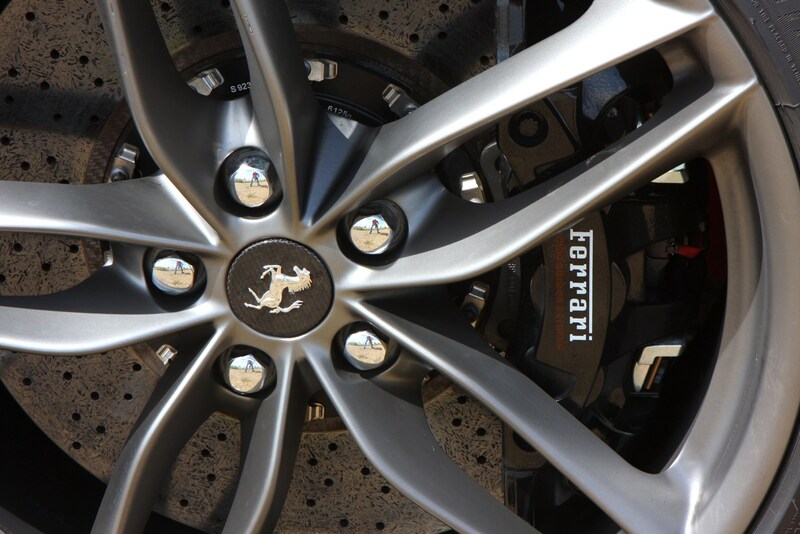 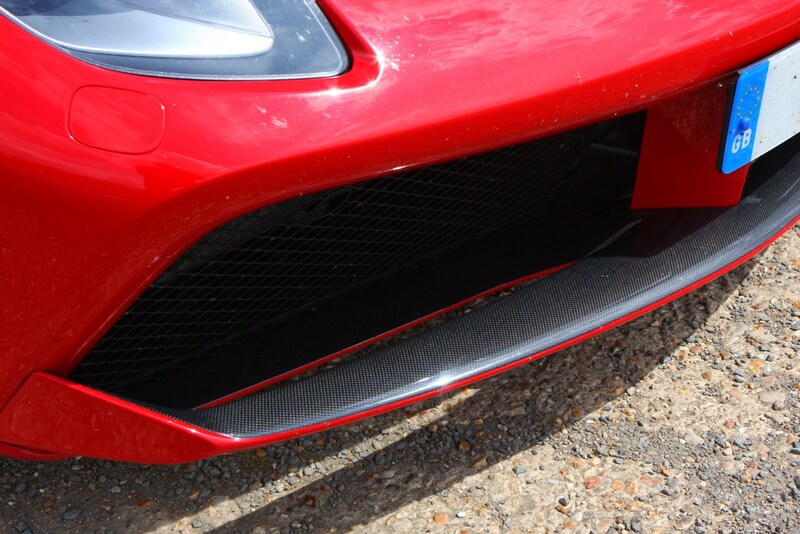 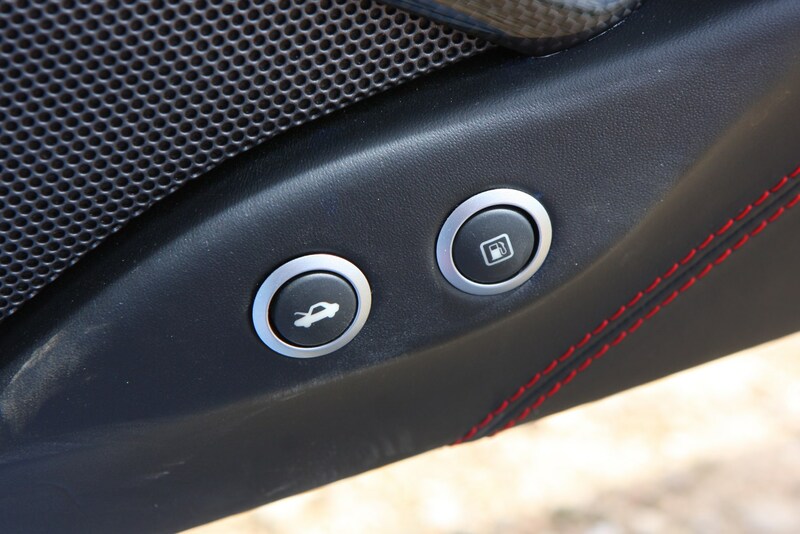 All of the slots, grilles and inlets are first and foremost functional – there’s no chamfering simply for stylistic purposes, although it goes without saying that aesthetics are a constant in all Ferraris’ appeal. 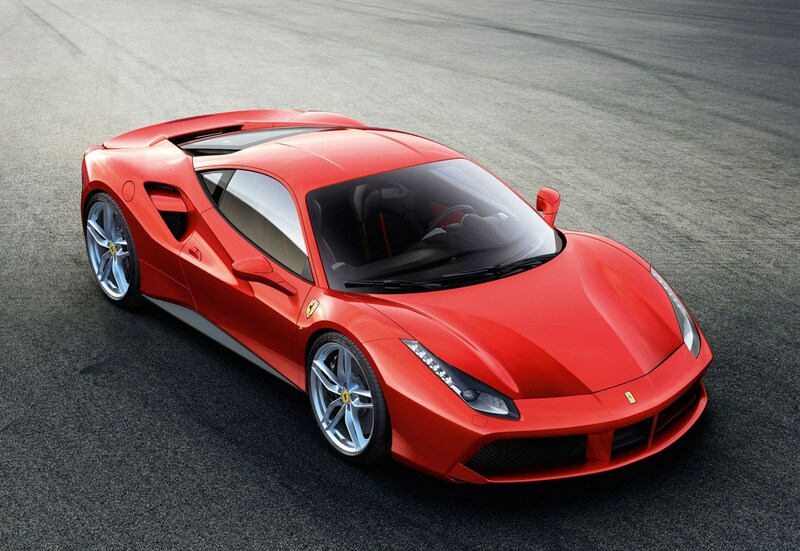 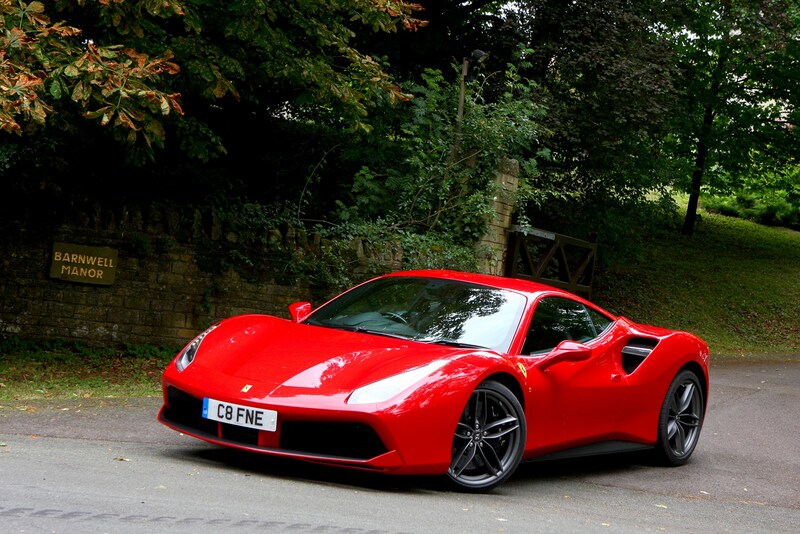 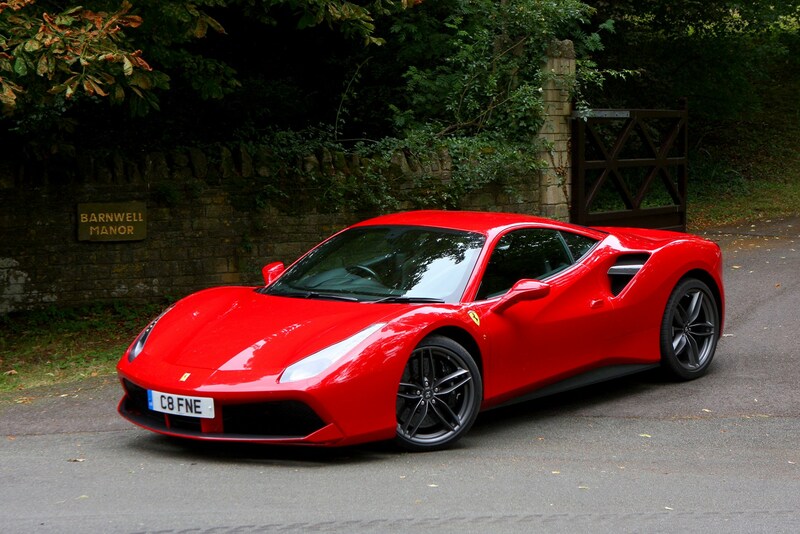 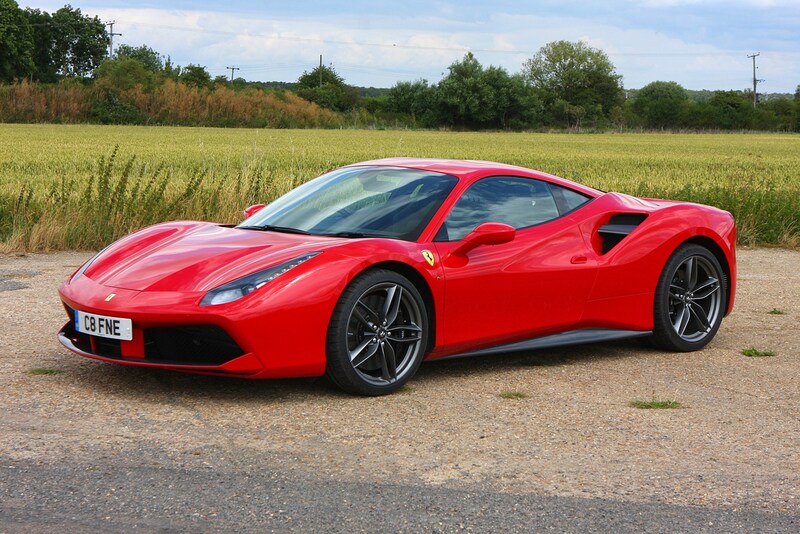 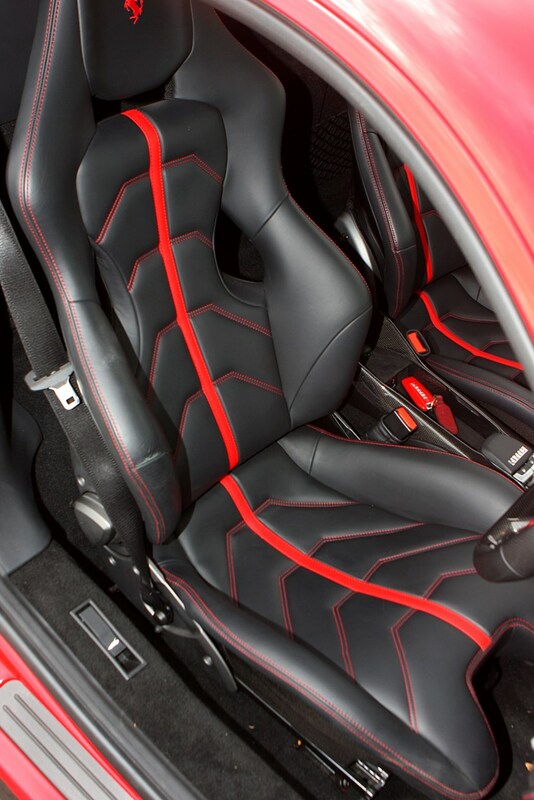 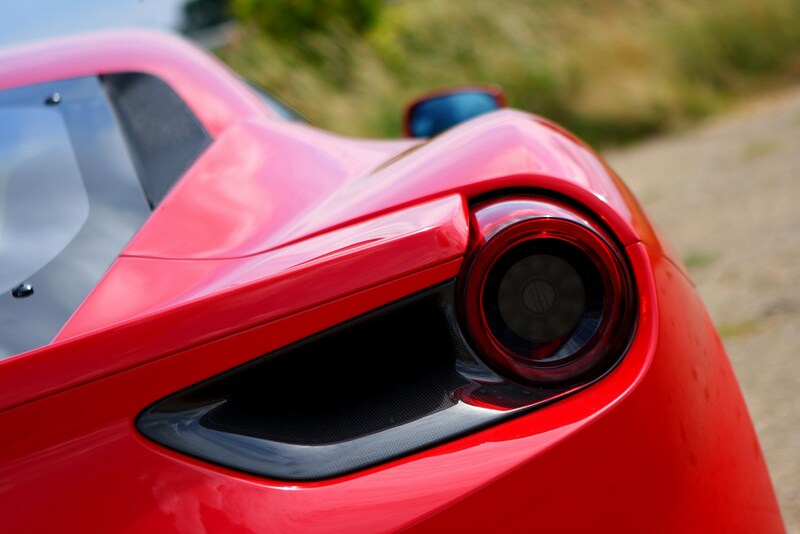 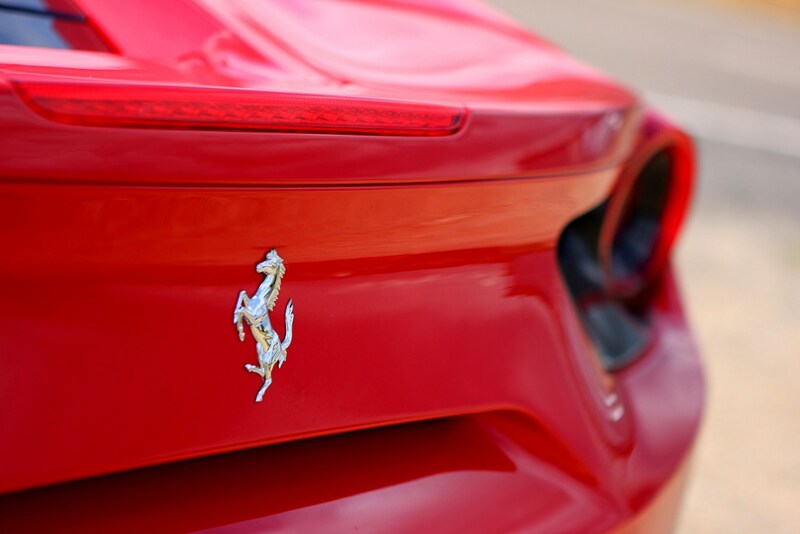 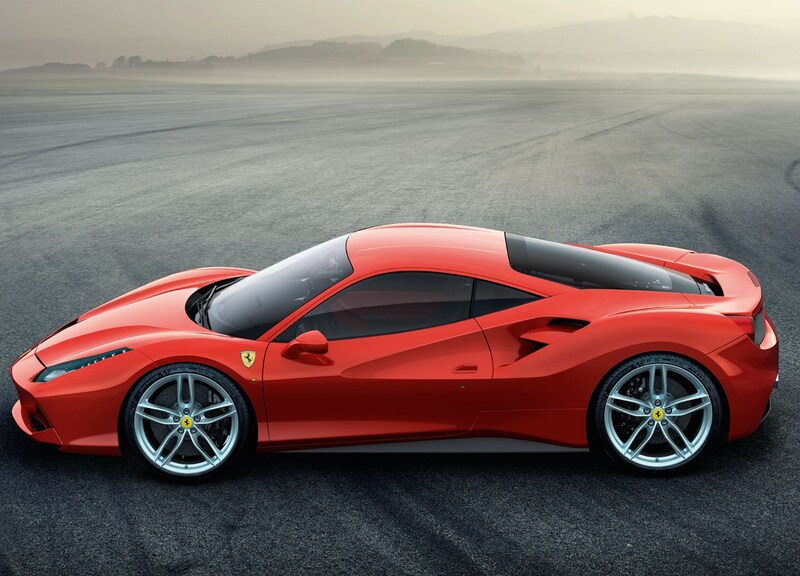 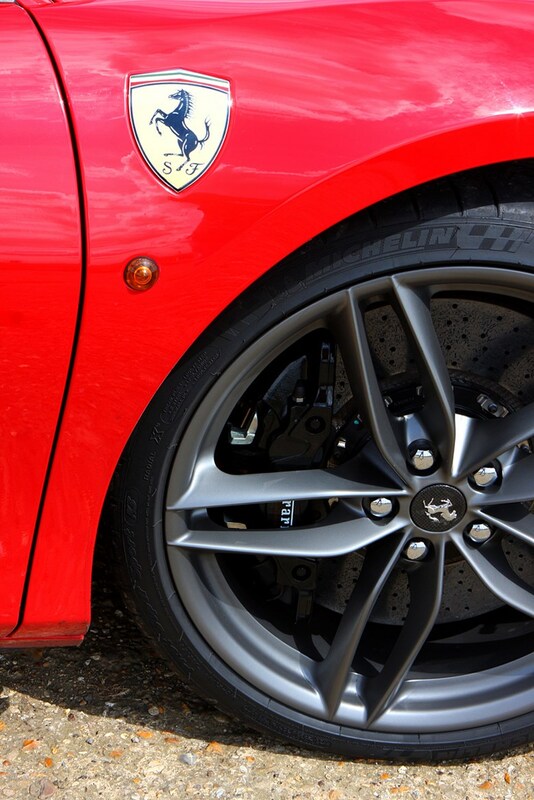 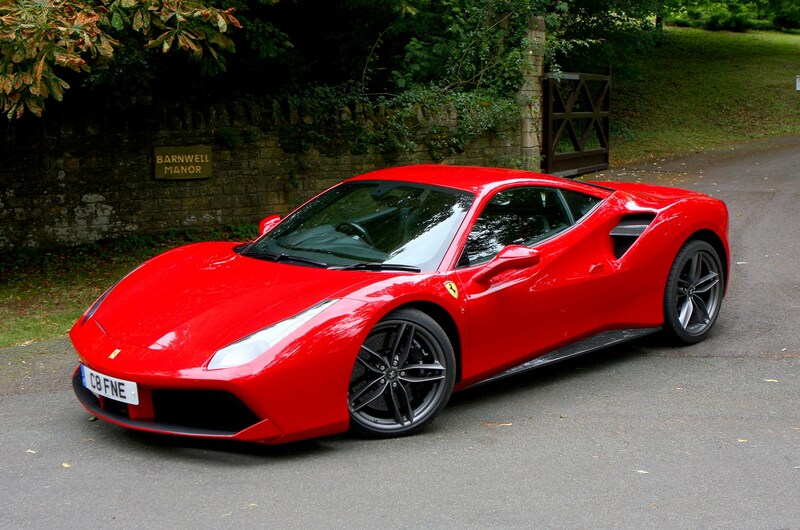 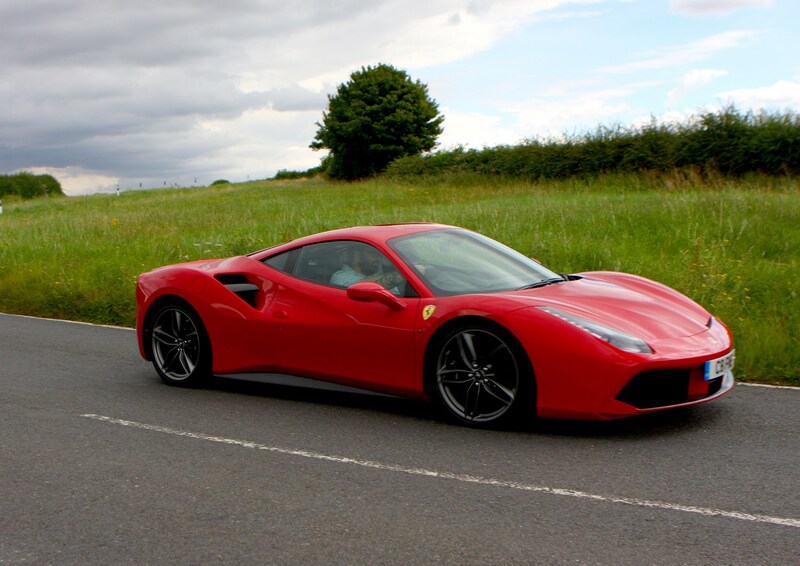 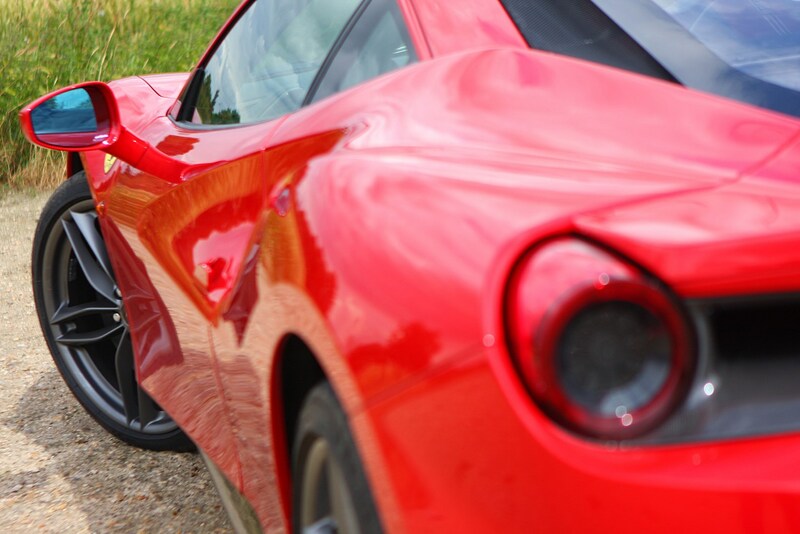 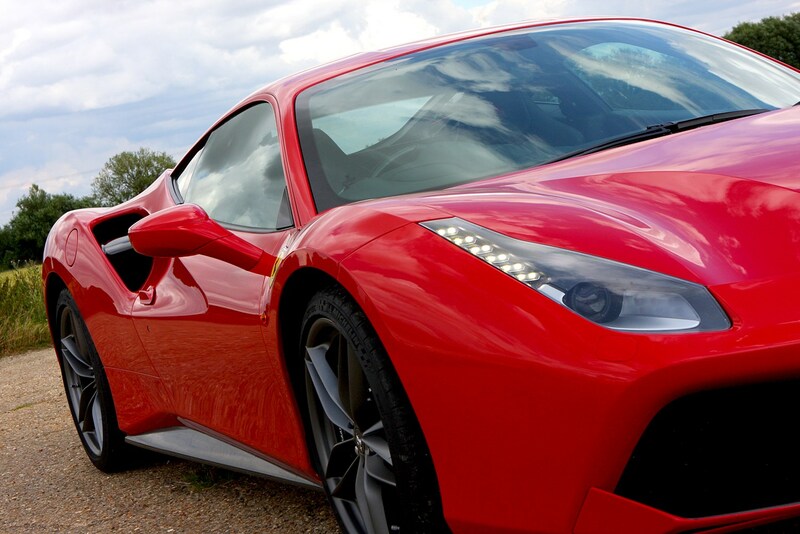 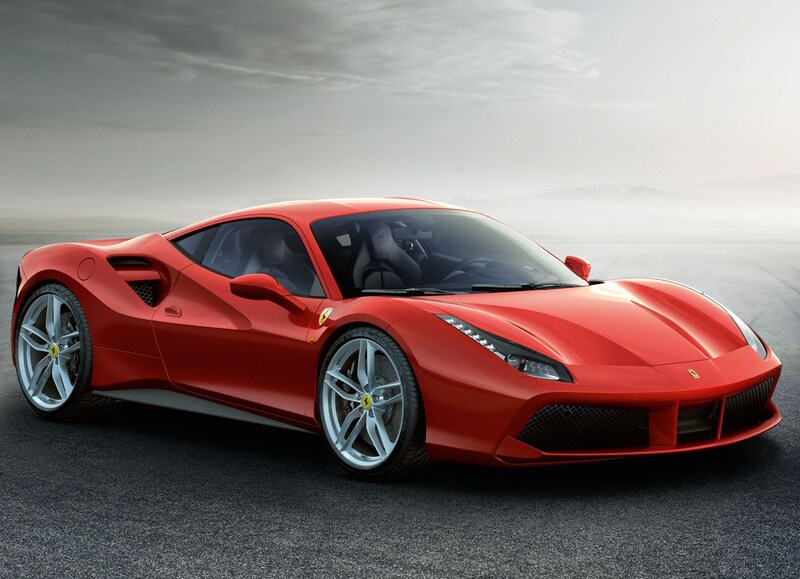 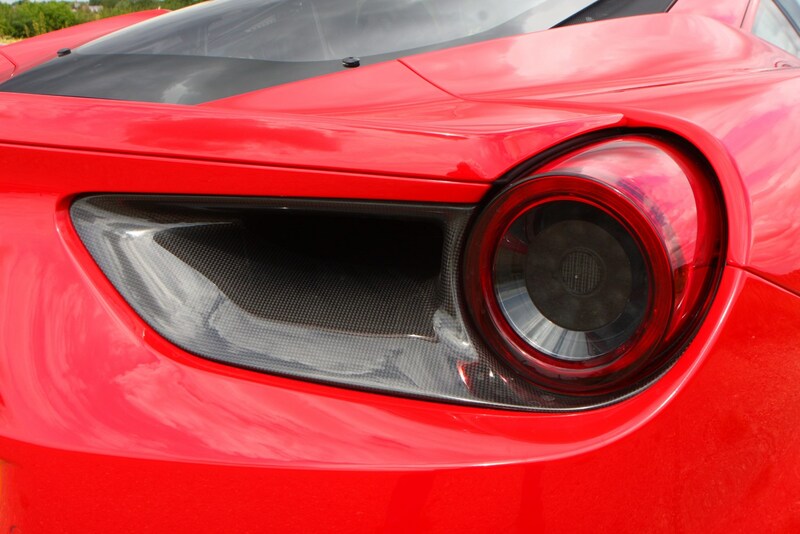 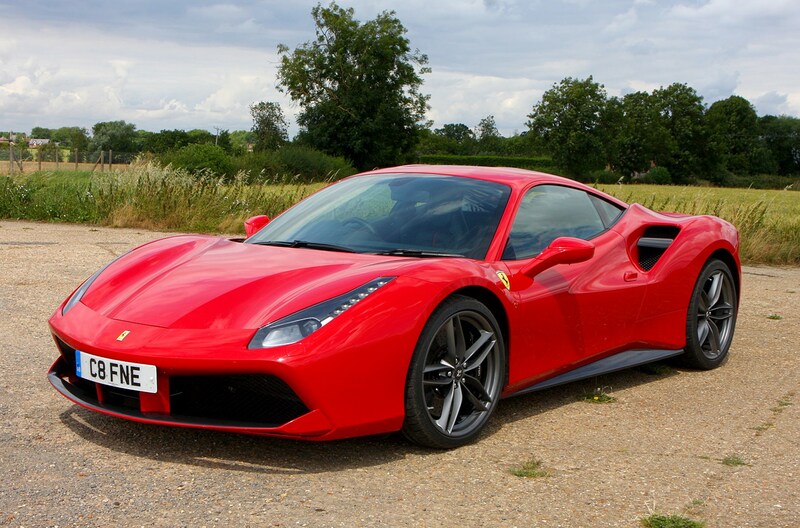 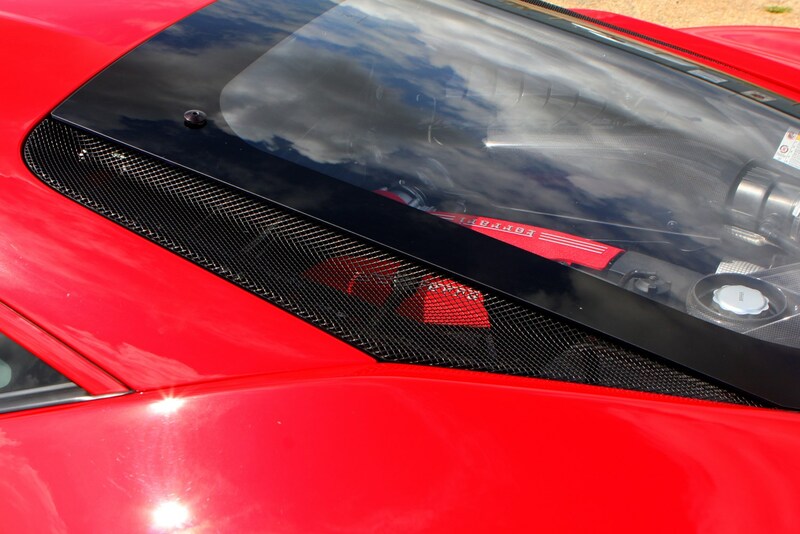 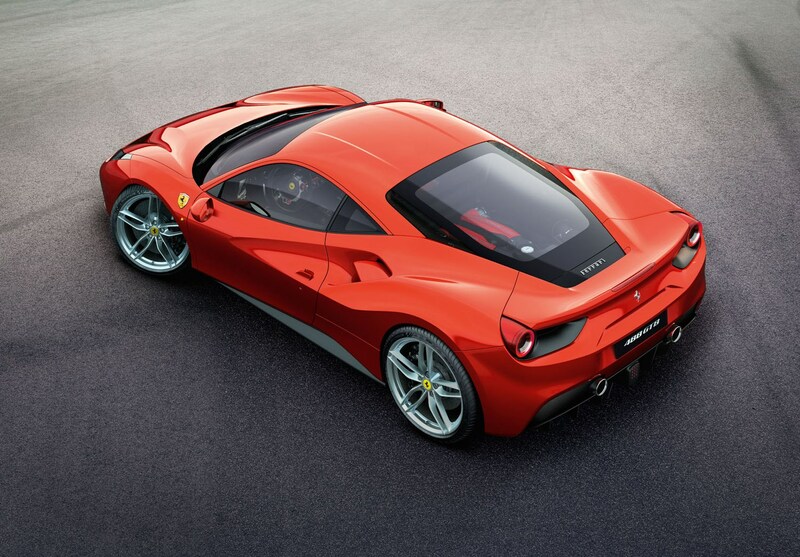 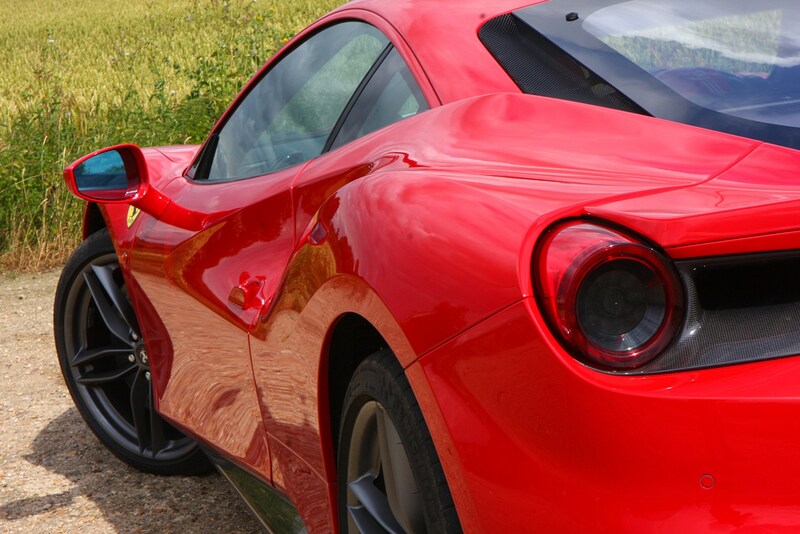 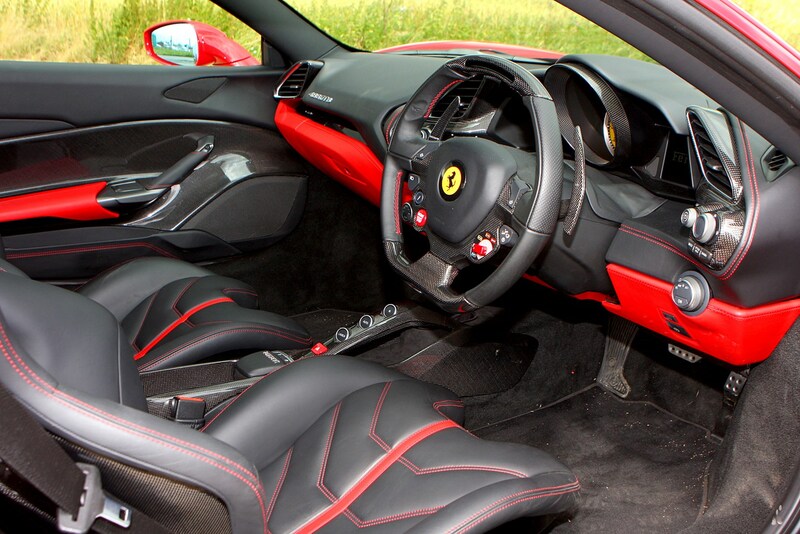 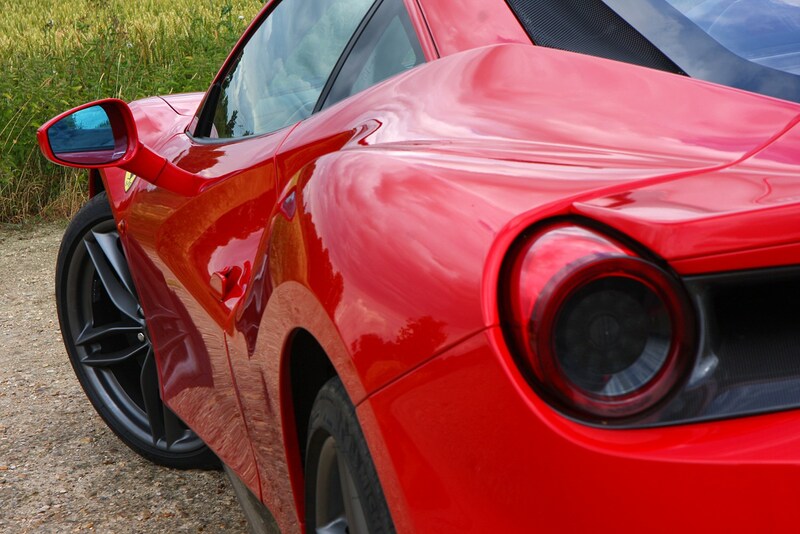 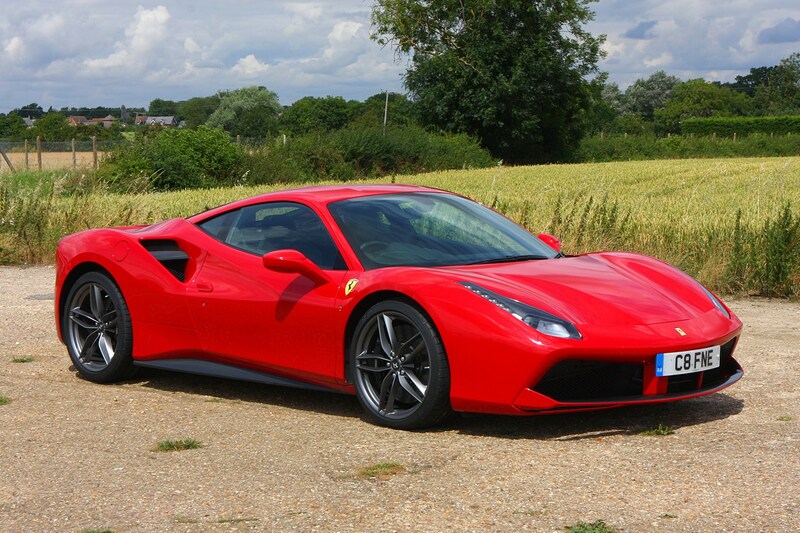 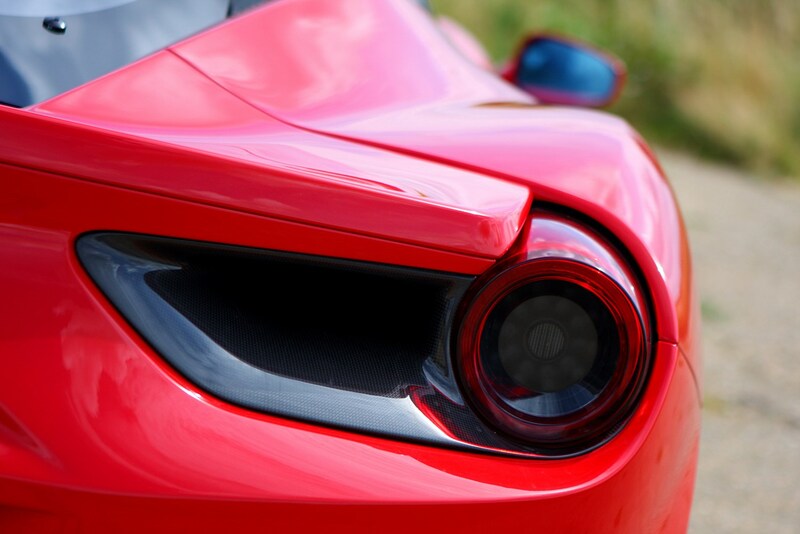 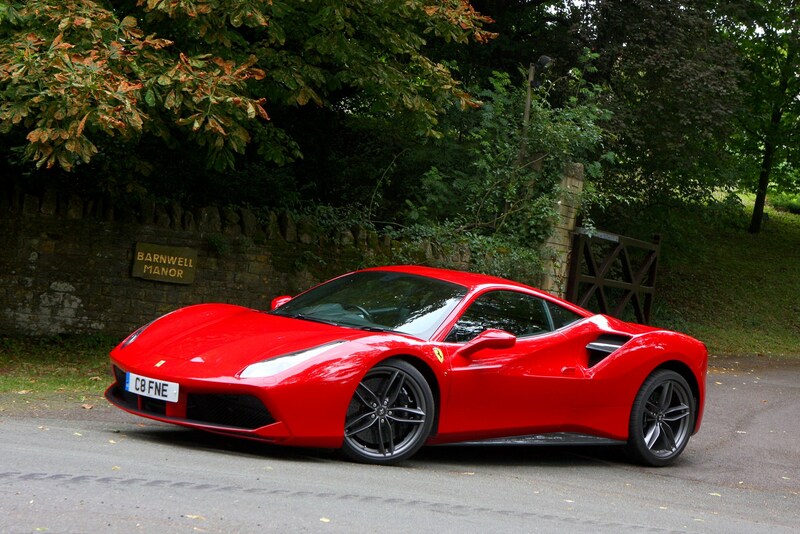 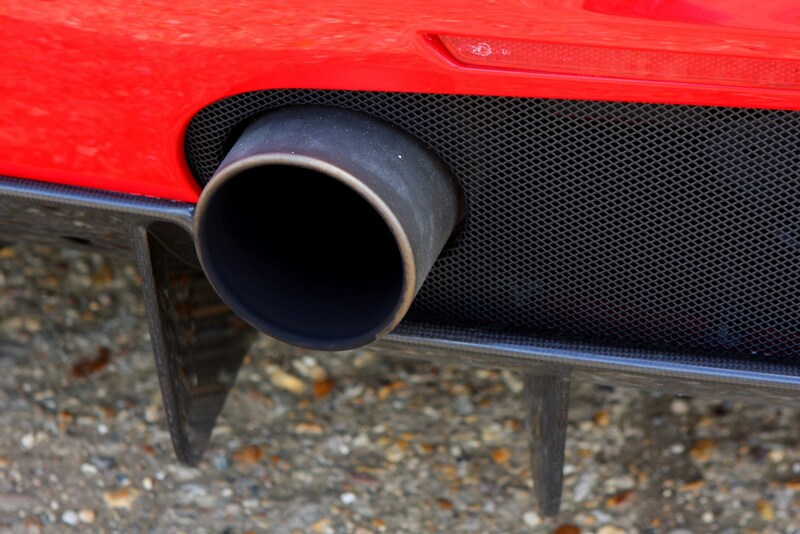 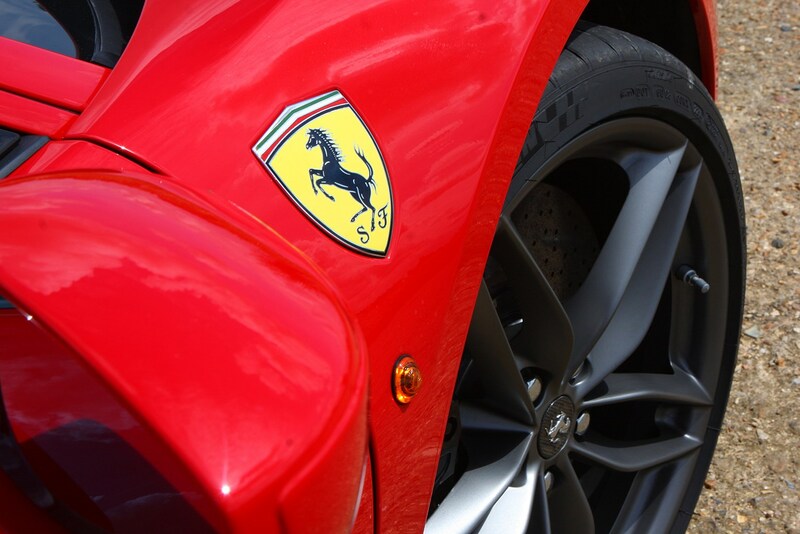 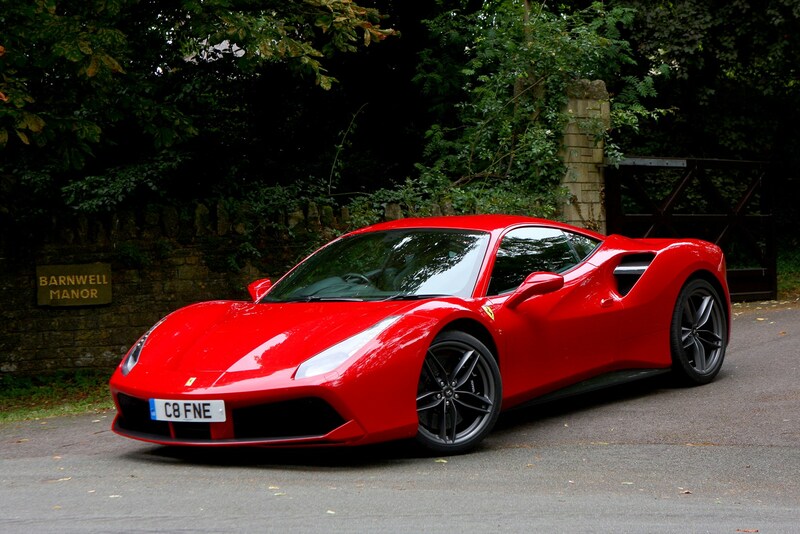 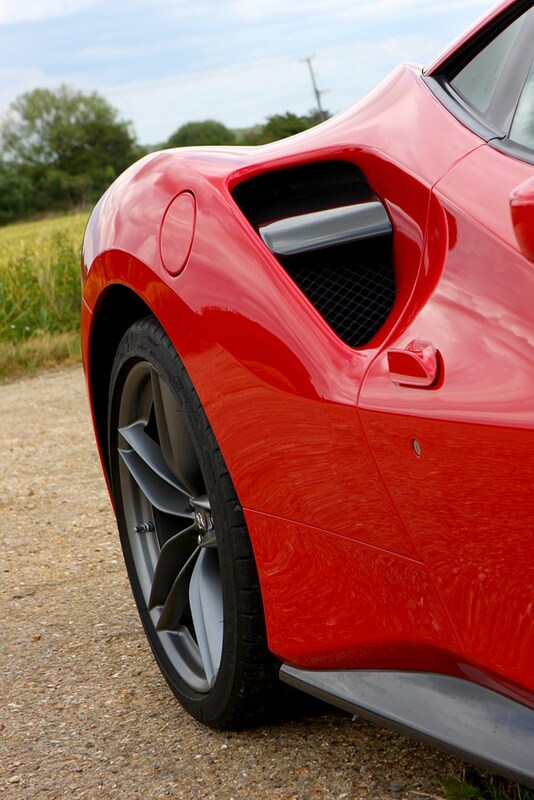 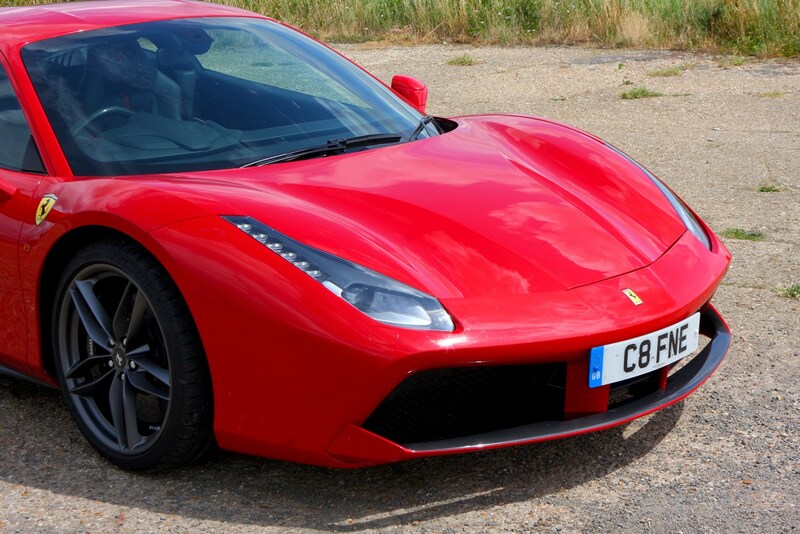 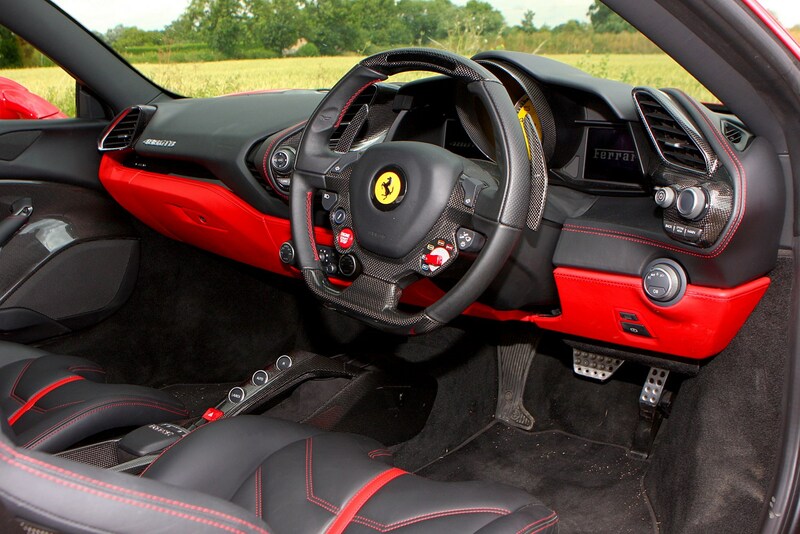 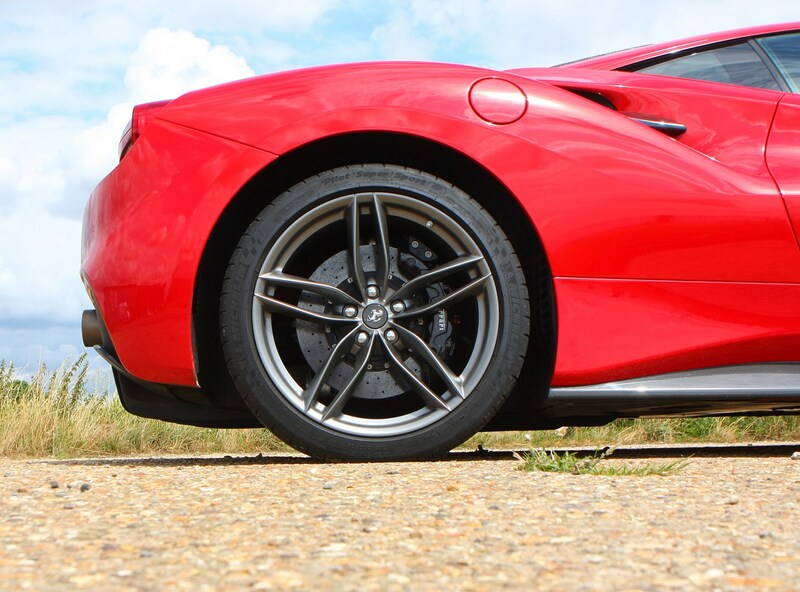 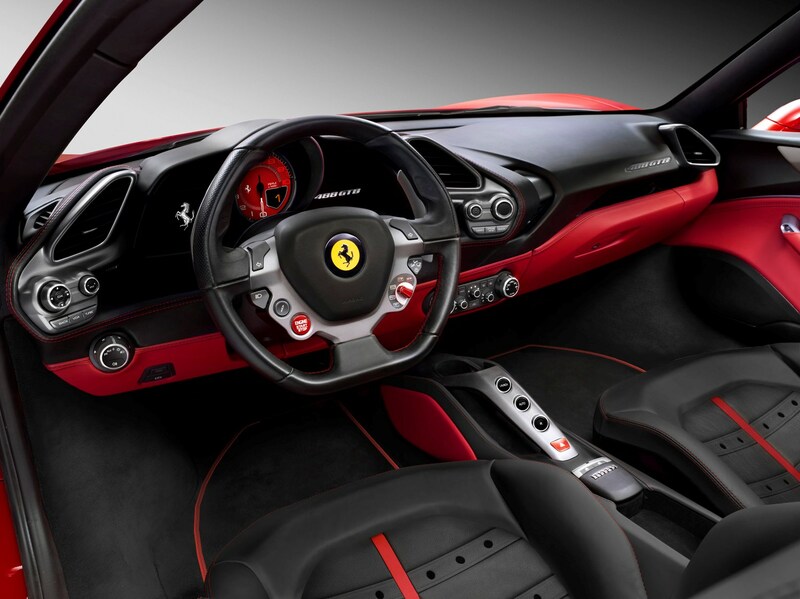 What’s especially impressive is that the Italian marque has used its racing knowhow – both from Formula 1 and the World Endurance Championship – to cleverly manipulate the flow of air over and under the 488. 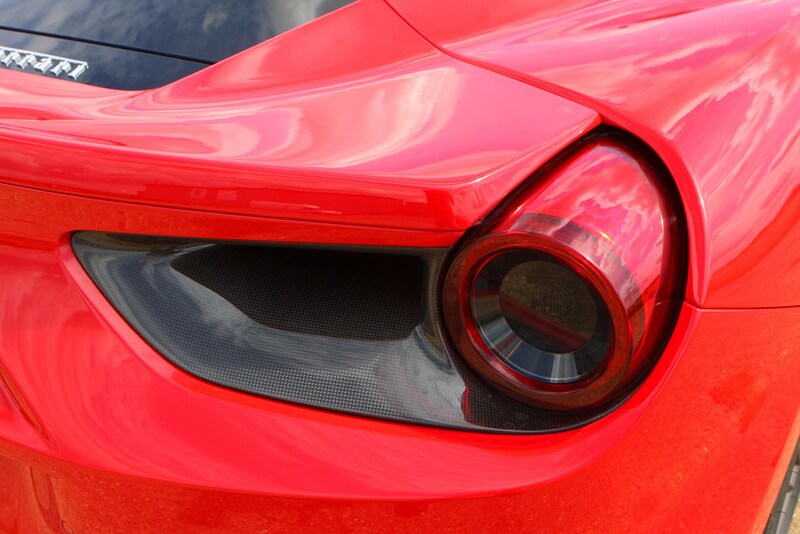 At the front is an F1-style wing mounted ahead of the radiators, while the underbody is designed in such a way that the faster the 488 goes, the more it gets sucked towards the ground. 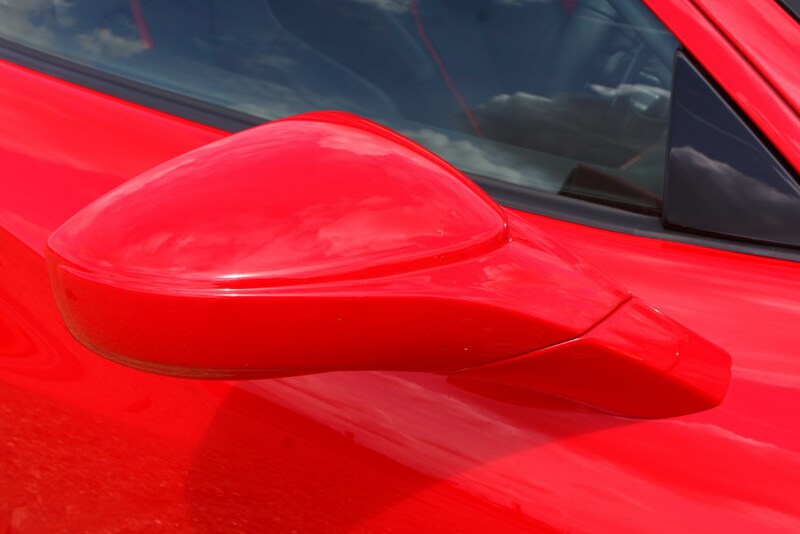 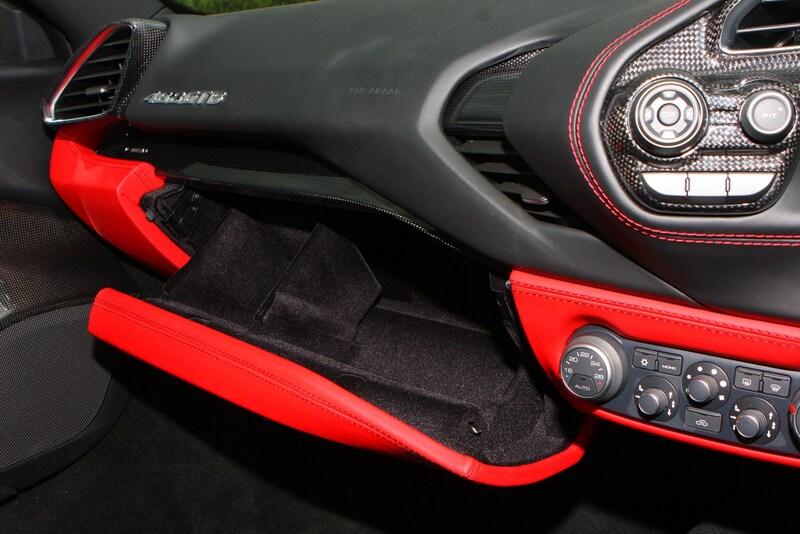 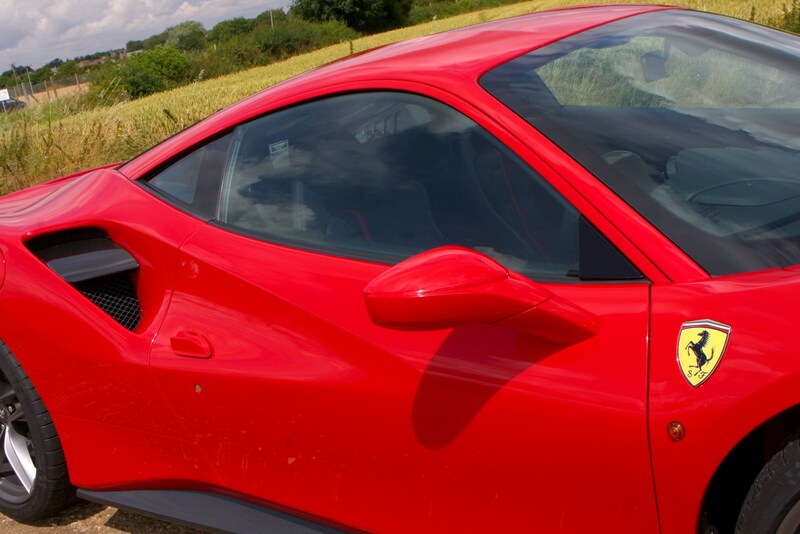 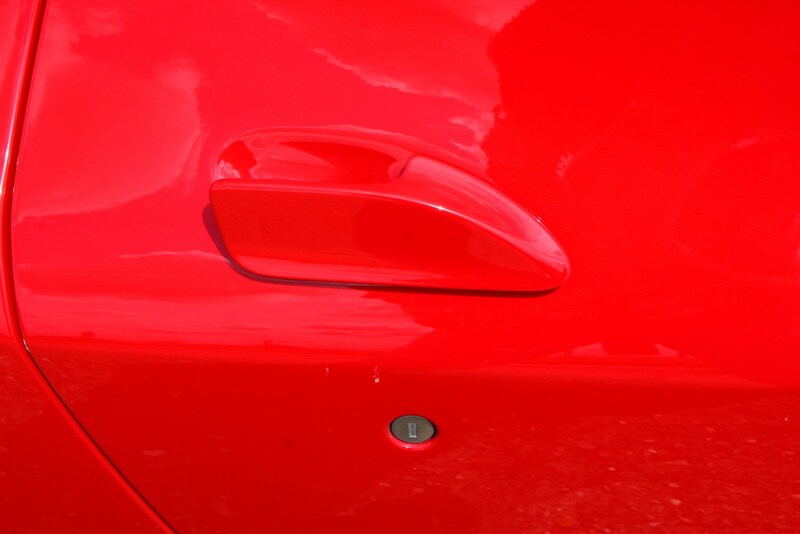 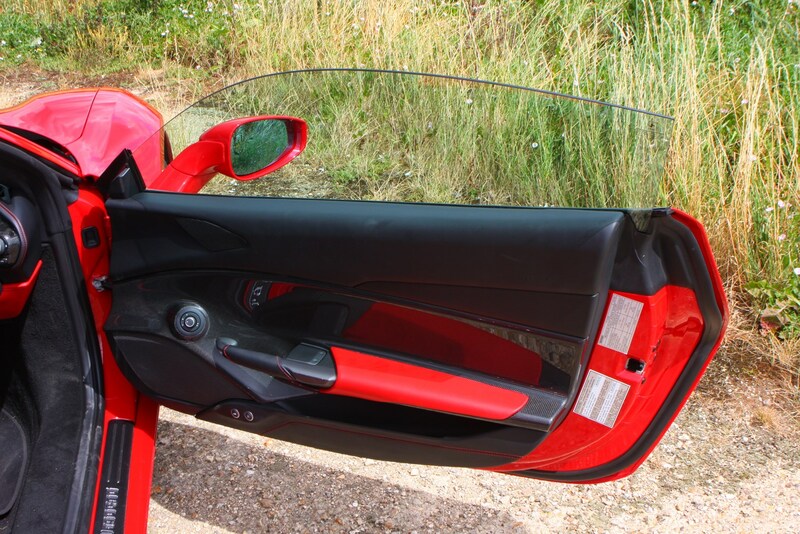 Note also the air’s forced to work around the Ferrari’s tail: there’s a slot running from the base of the engine cover window and back out of the rear bumper, eliminating the need for an extendable spoiler, while beneath is a racing car-style diffuser that channels air away from the car in a stable manner. 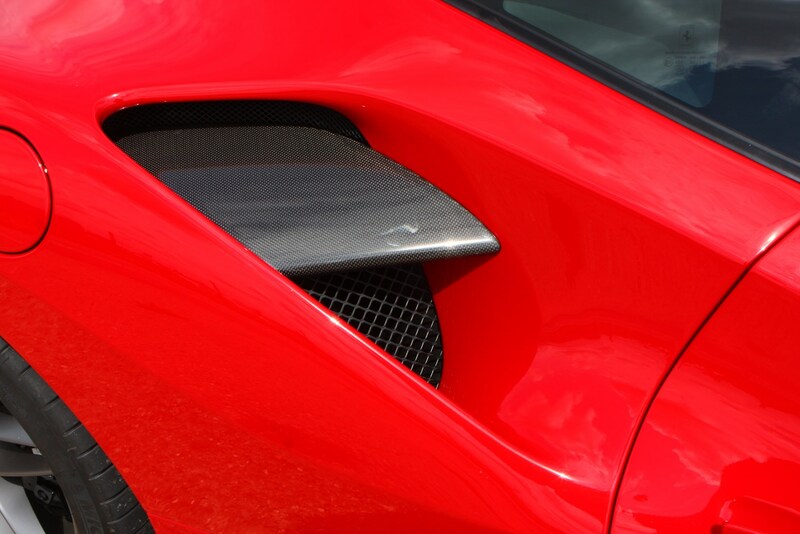 Even those gaping holes in the rear wings serve a dual purpose: the lower element feeds air into the turbos’ intercoolers, while the upper channel directs it efficiently out of the back of the car. 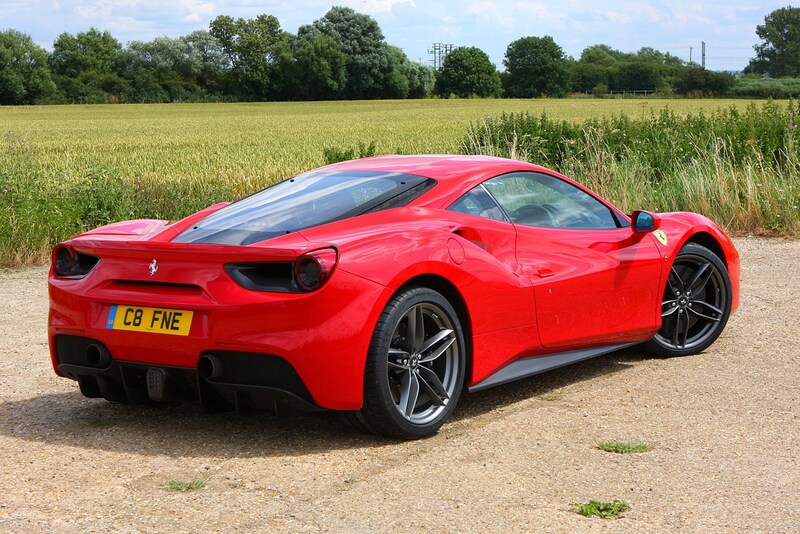 All that performance is all well and good but the chassis needs to be able to handle the sheer grunt being directed to the rear wheels. 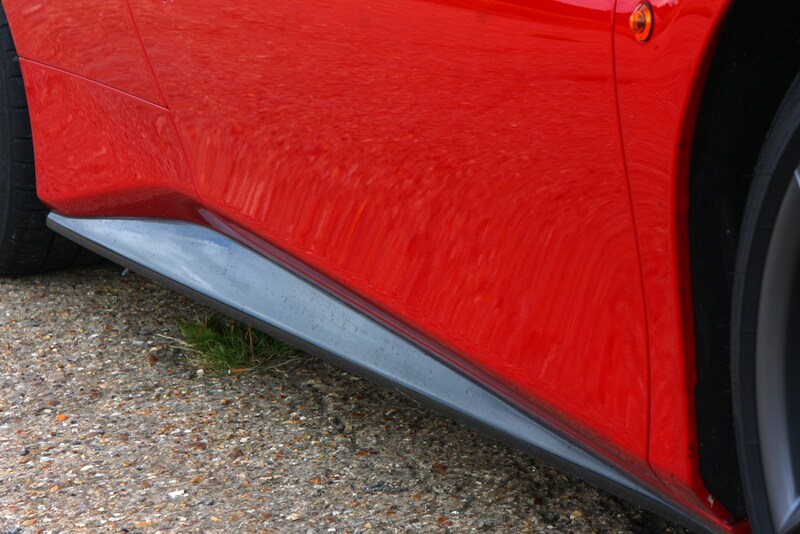 This it does magnificently, cornering with negligible degrees of body roll. 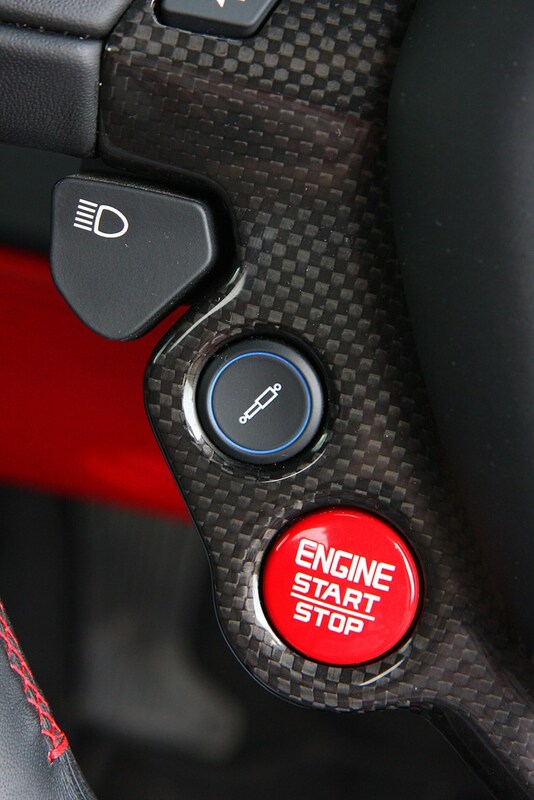 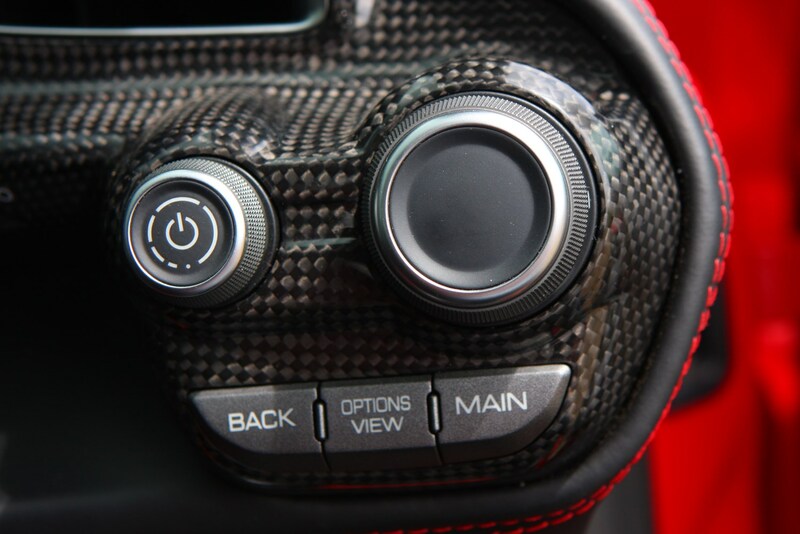 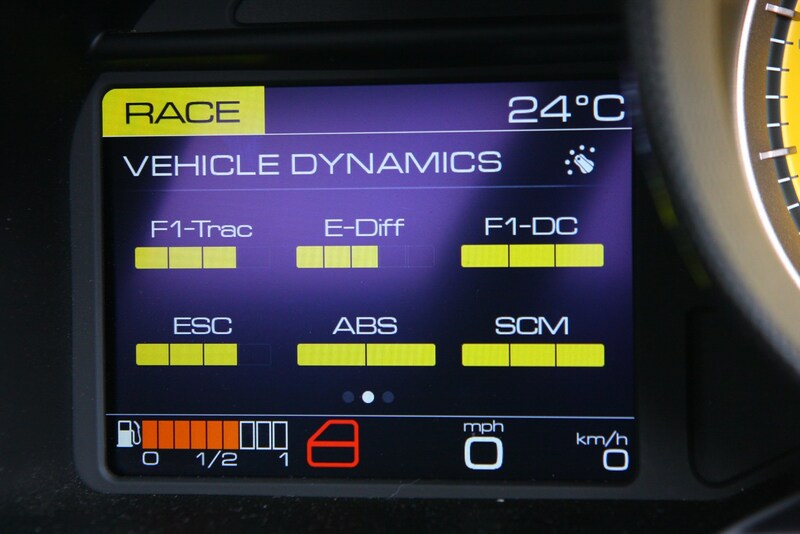 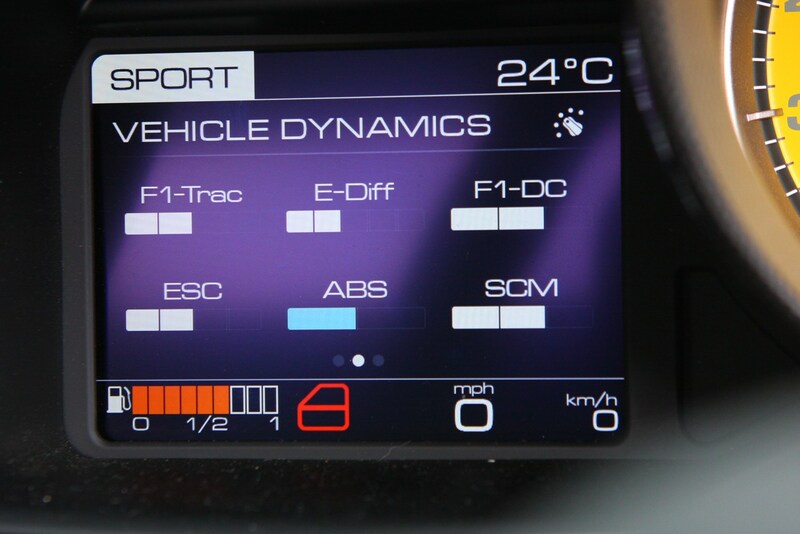 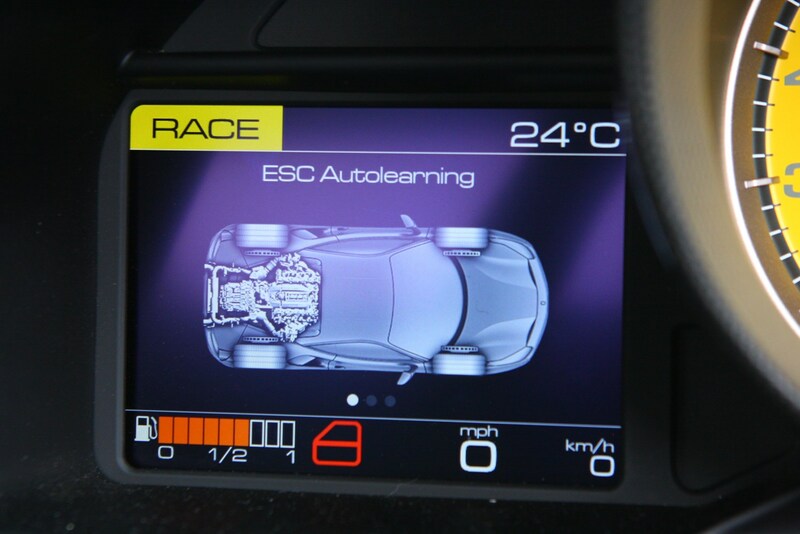 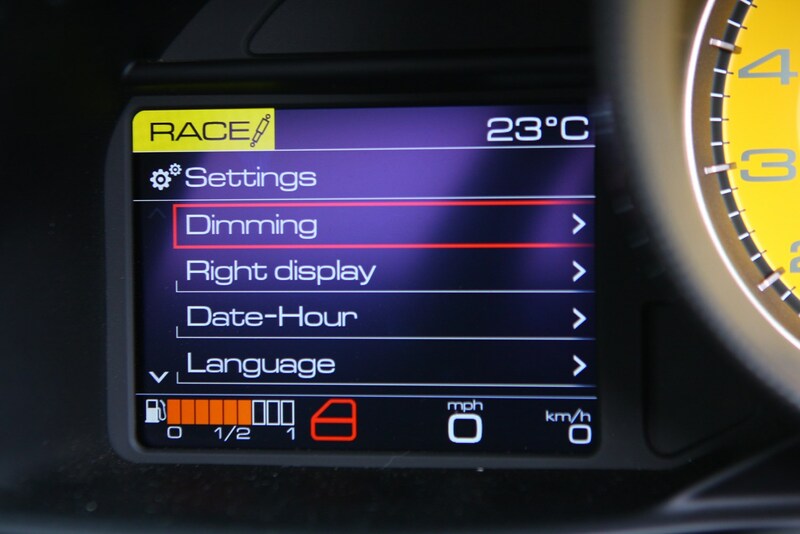 Using the suspension and damping arrangement from the 458 Speciale as a starting point, the Ferrari’s five driving modes, adaptive suspension and cutting-edge electronics work in unison to deliver a driving experience that’s playful and tail-happy when you want it to be and surprisingly compliant when you need it. 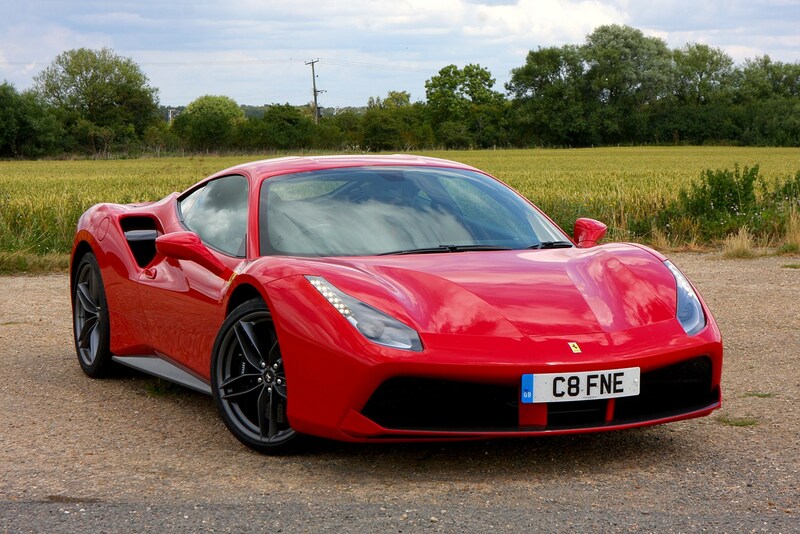 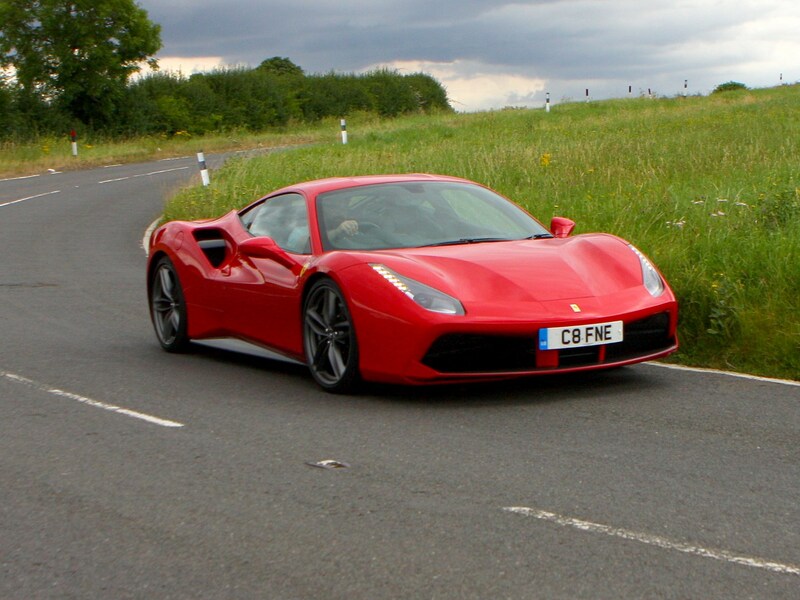 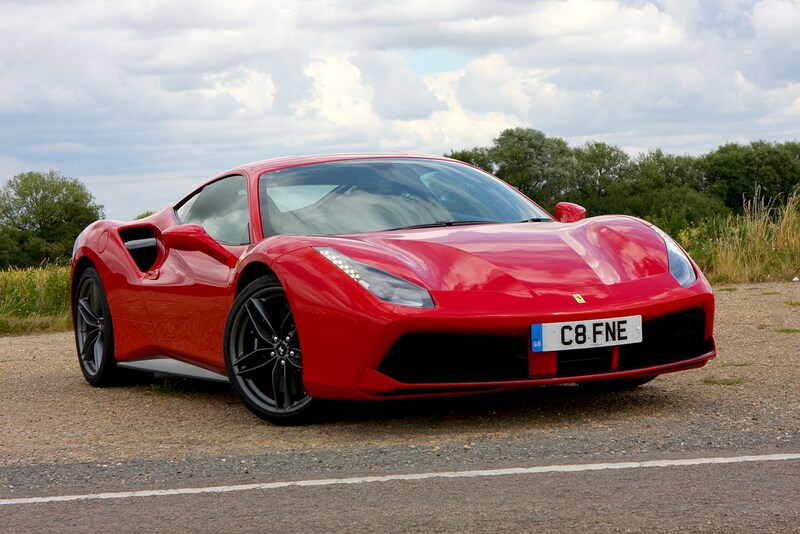 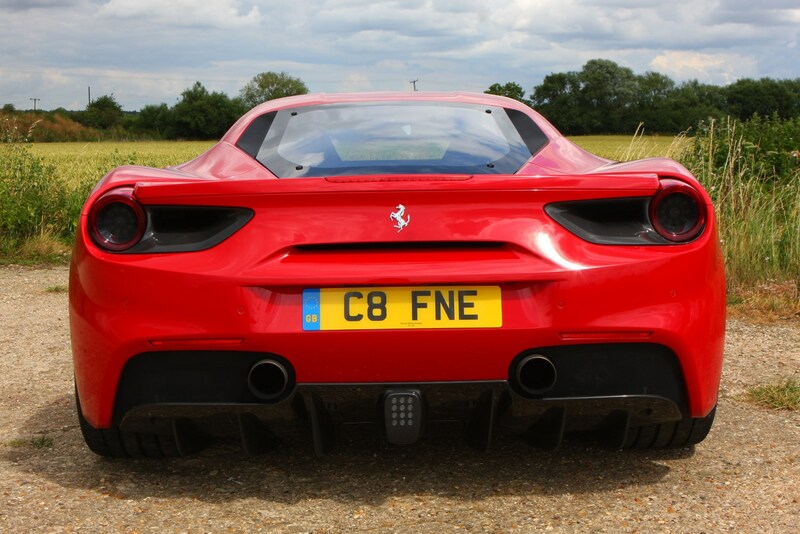 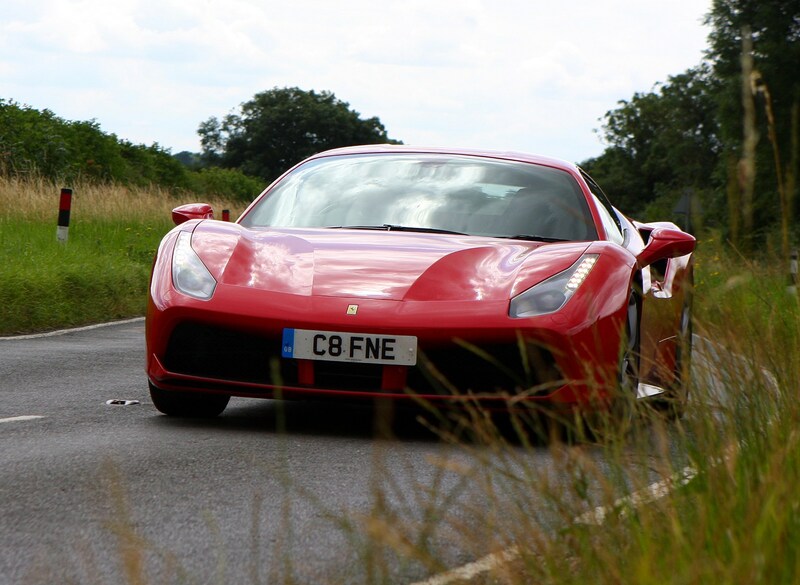 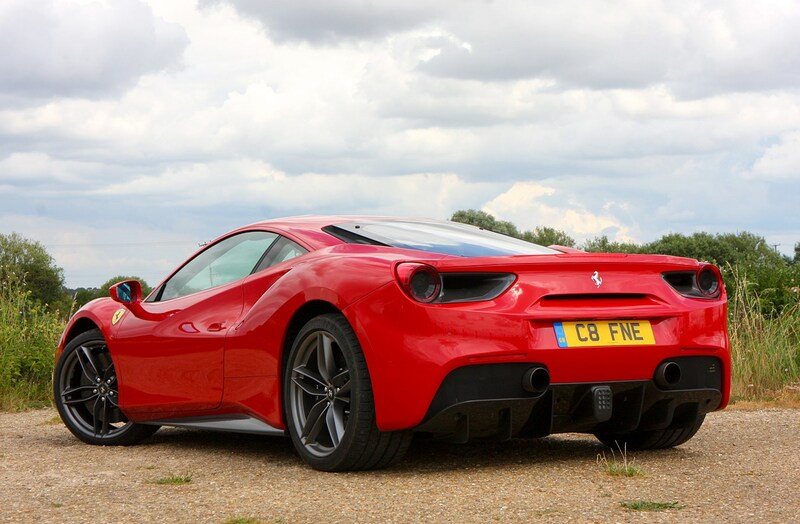 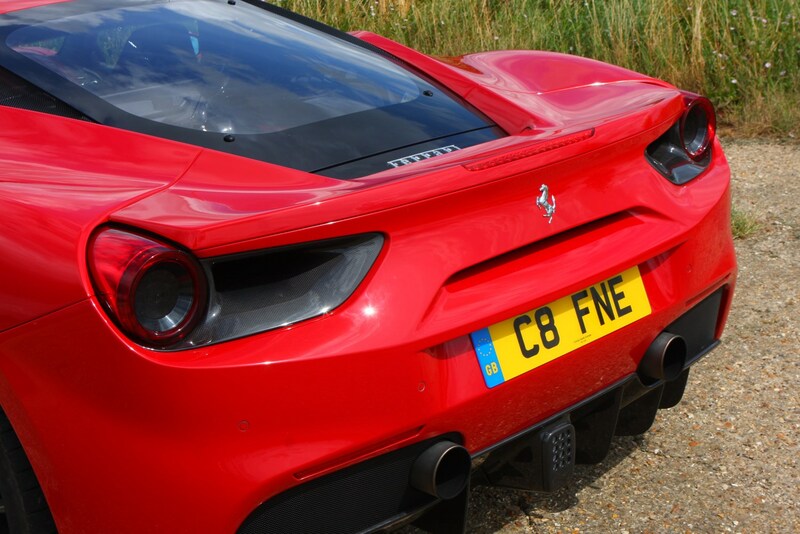 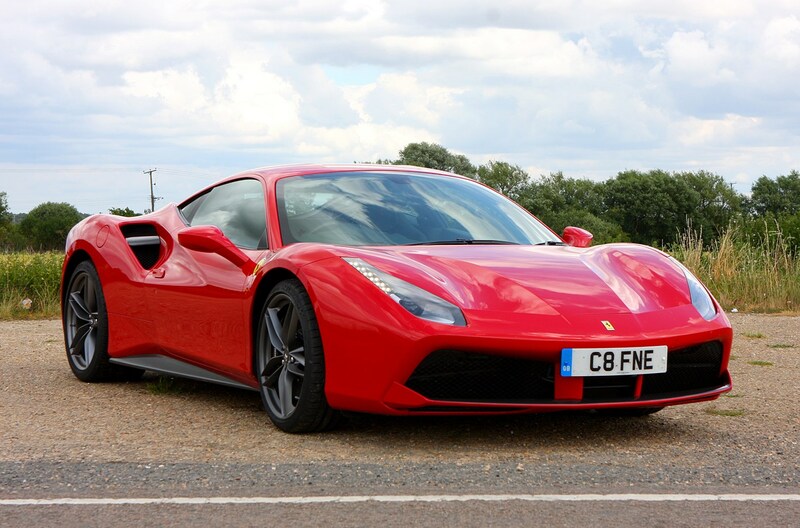 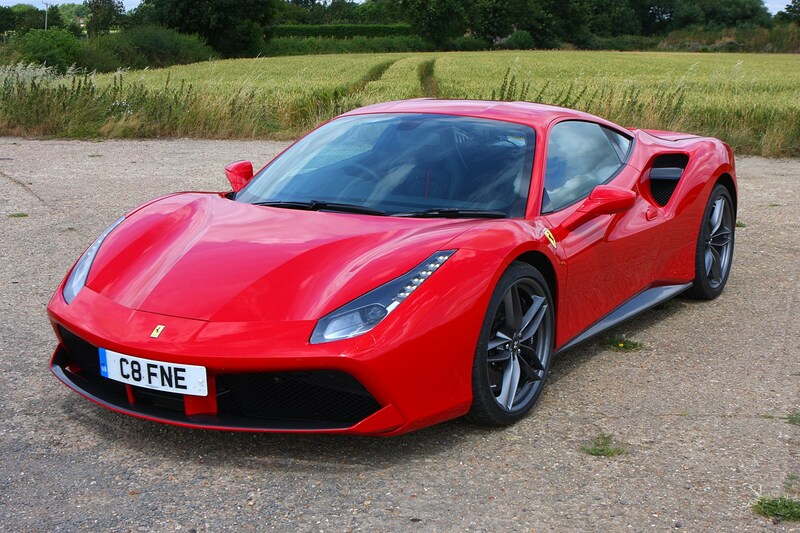 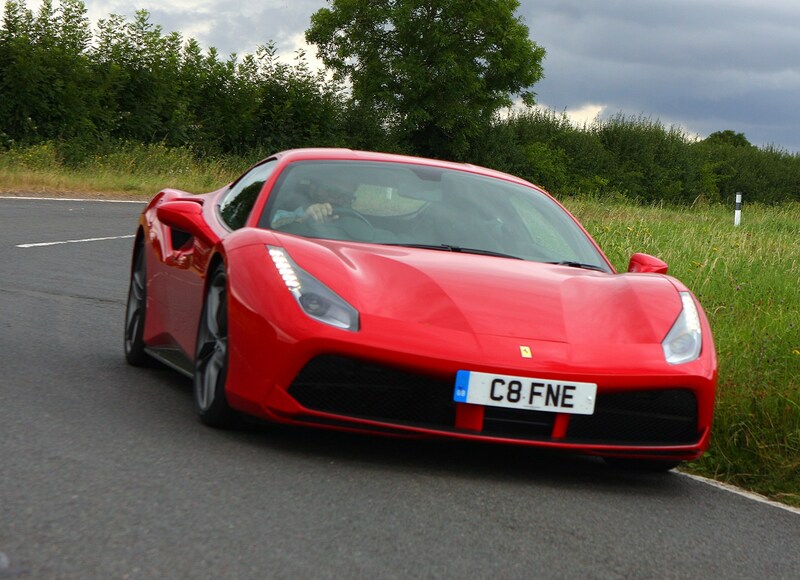 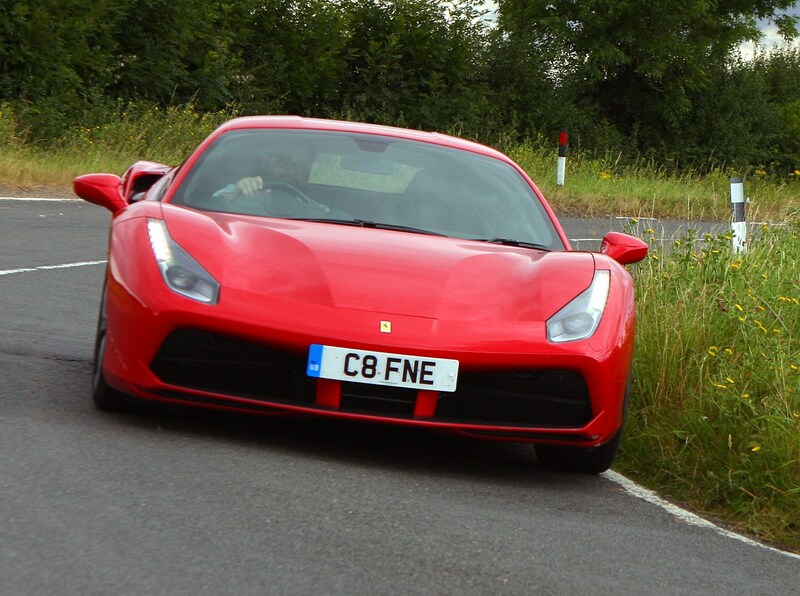 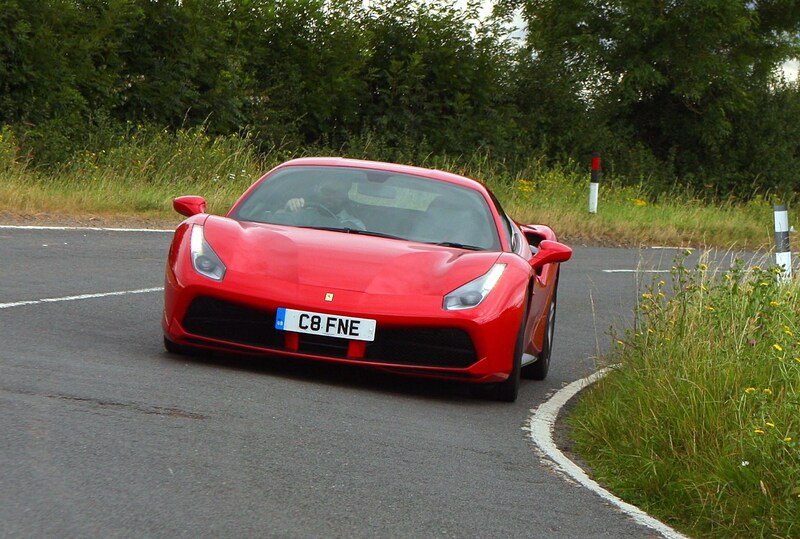 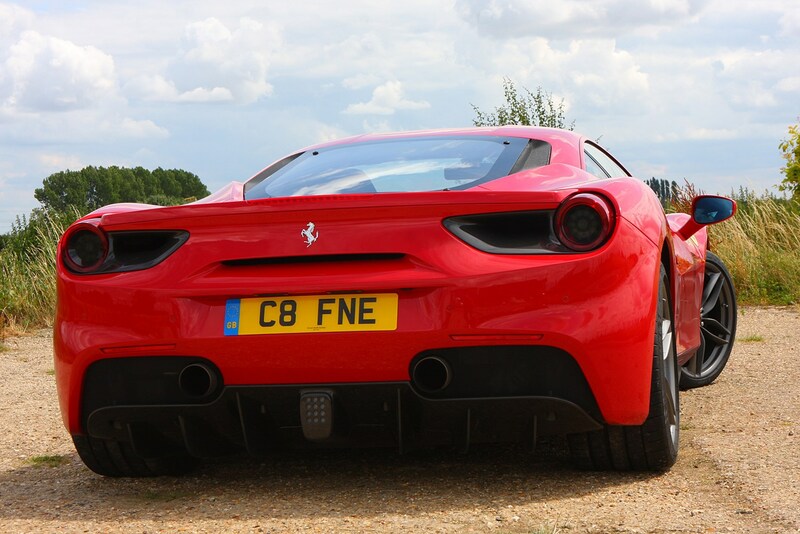 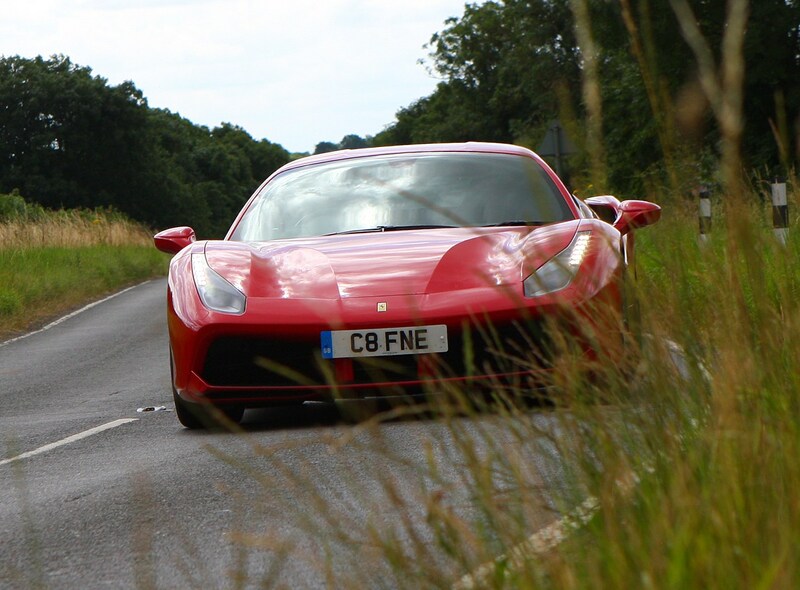 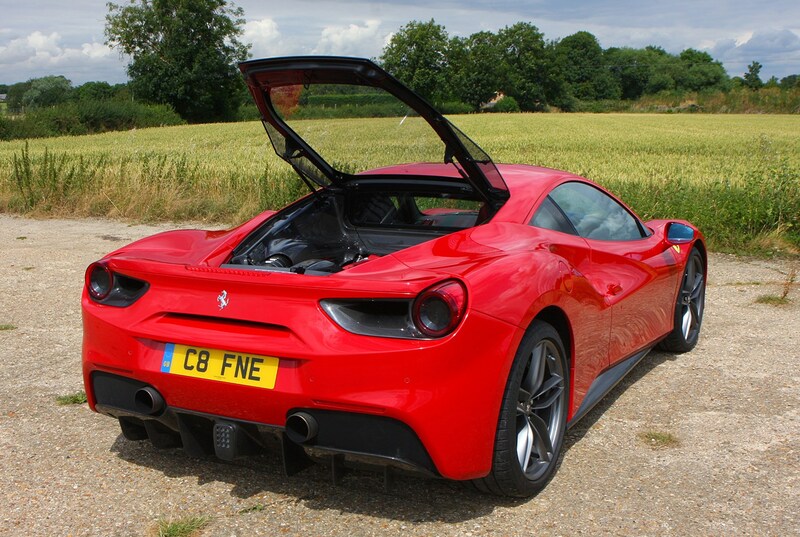 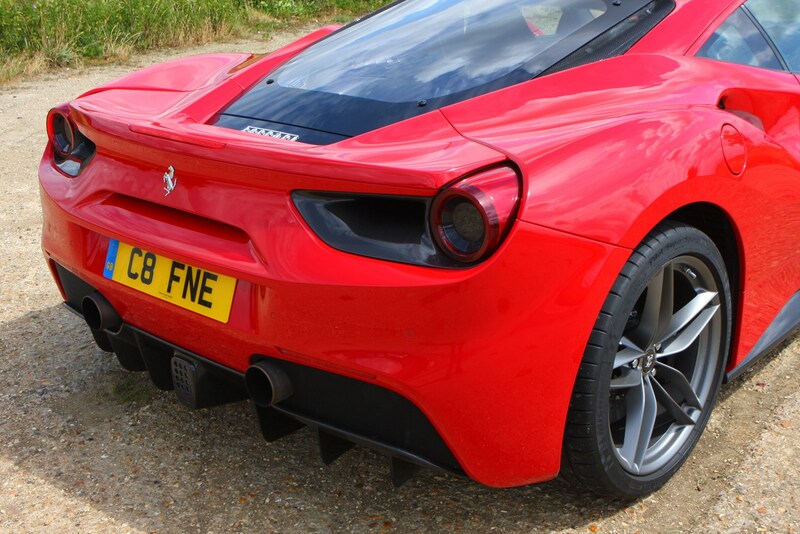 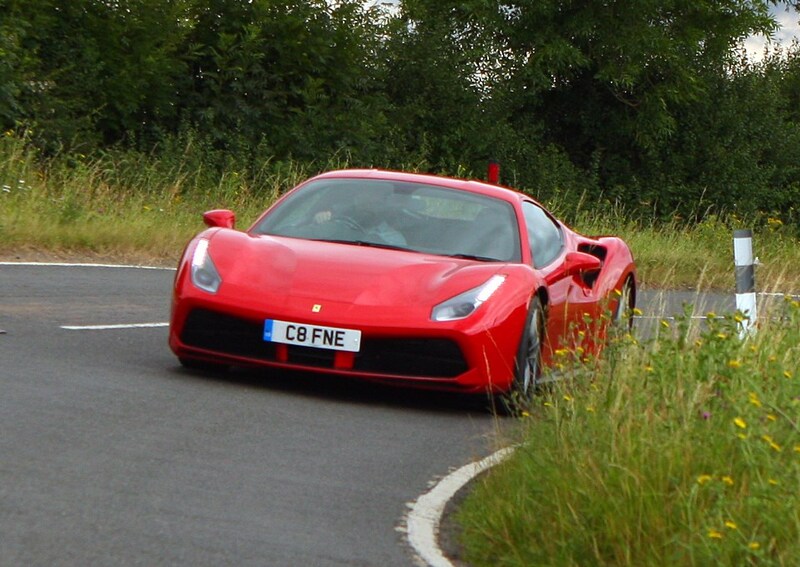 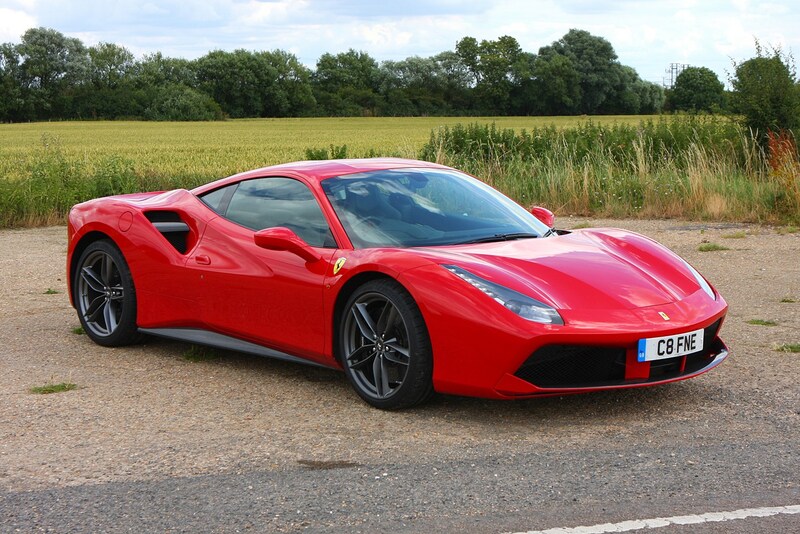 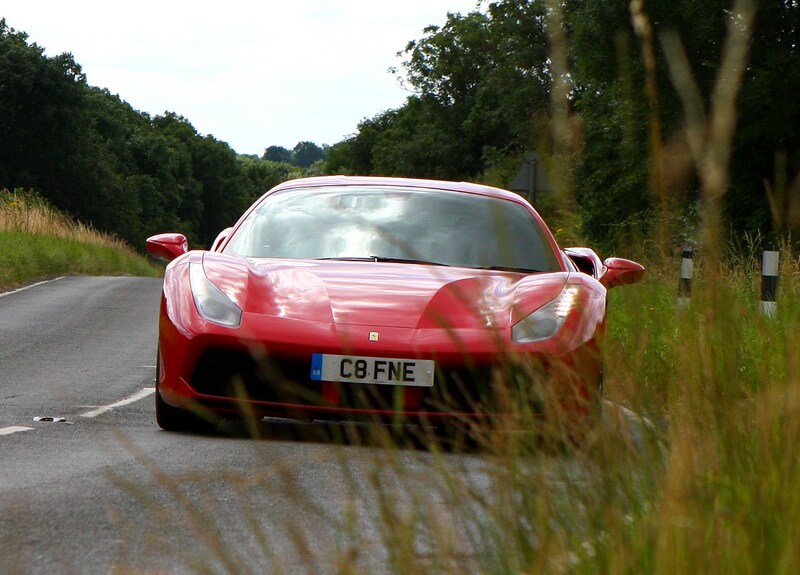 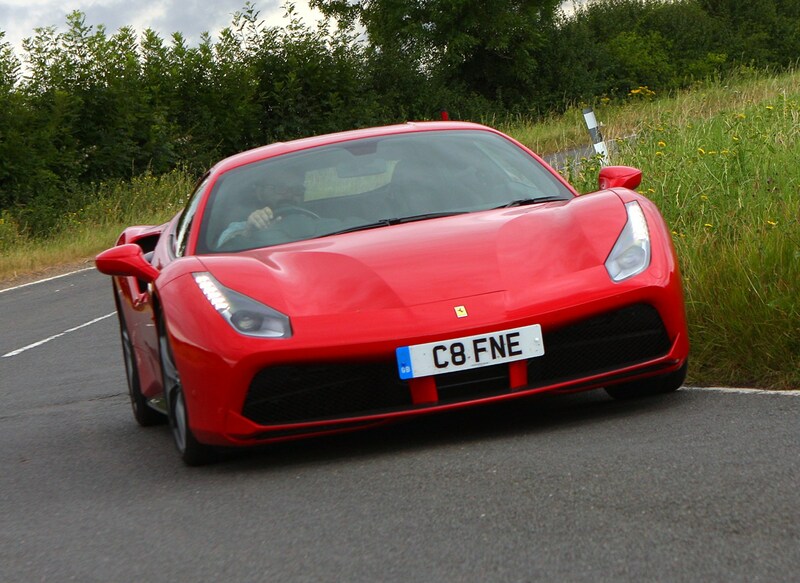 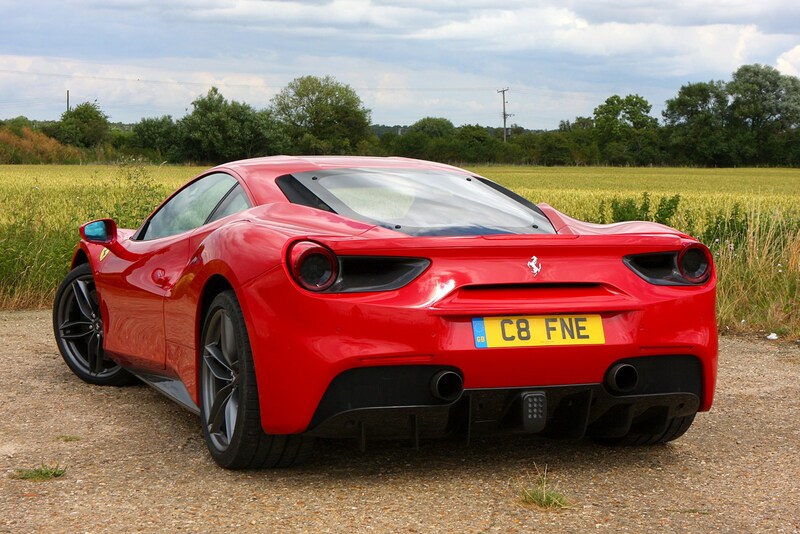 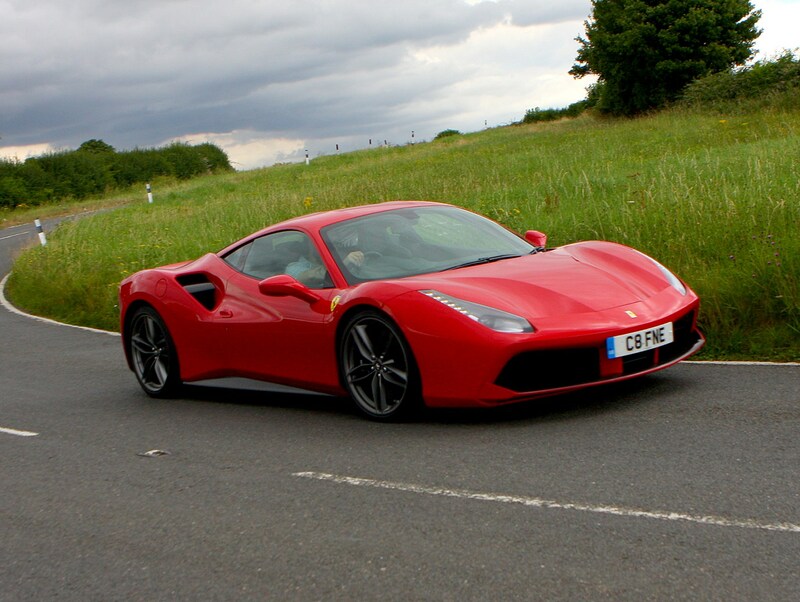 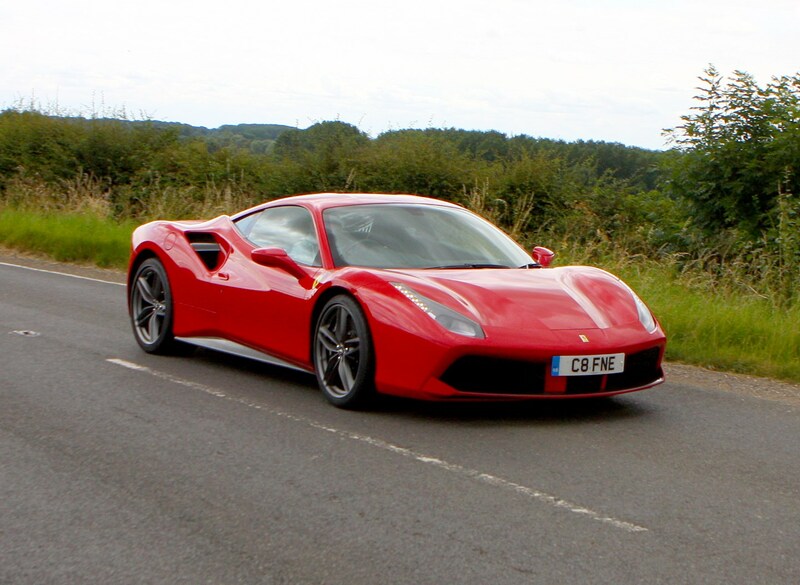 Read the full Ferrari 488 review to find out how good this latest take on the mid-engined V8 sports car really is.